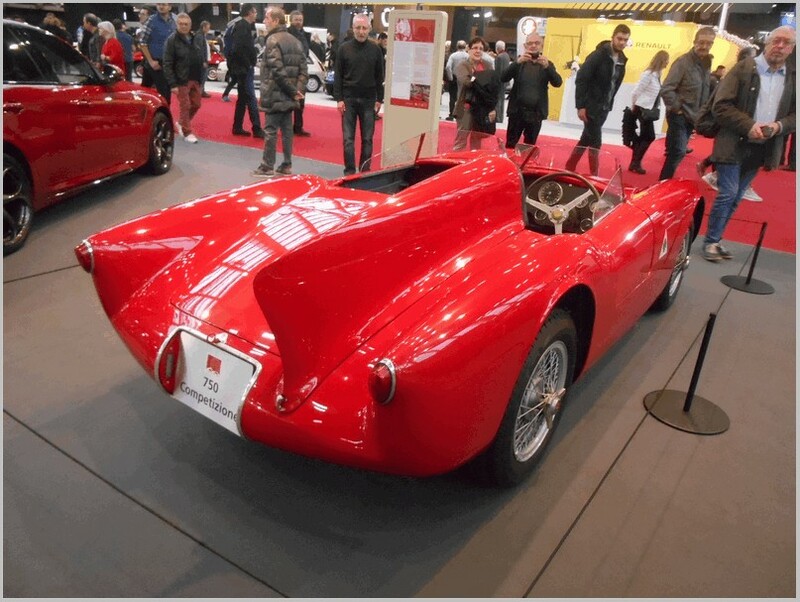 Styled by Pininfarina this is a rare and expensive car. 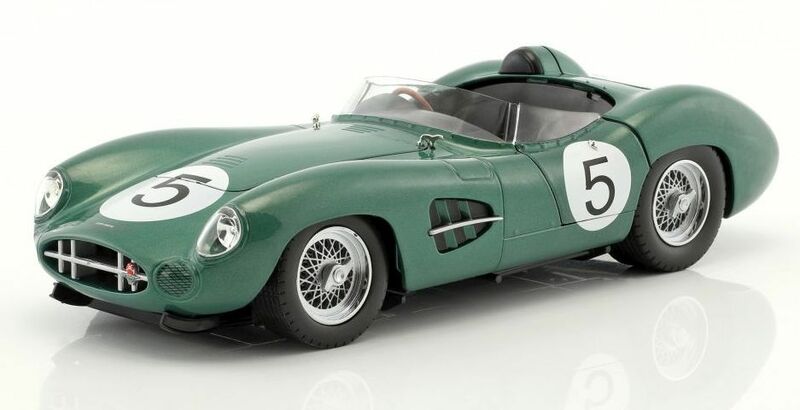 One in a similar colour sold recently for over 600,000 US Dollars. 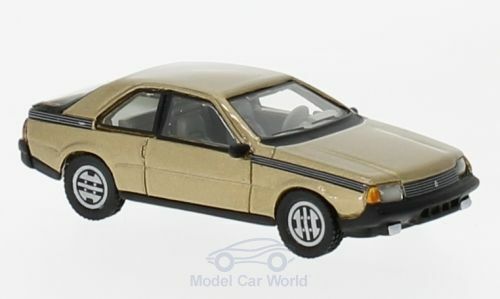 Here the Best model is stated as being painted in a hazelnut brown metallic finish. 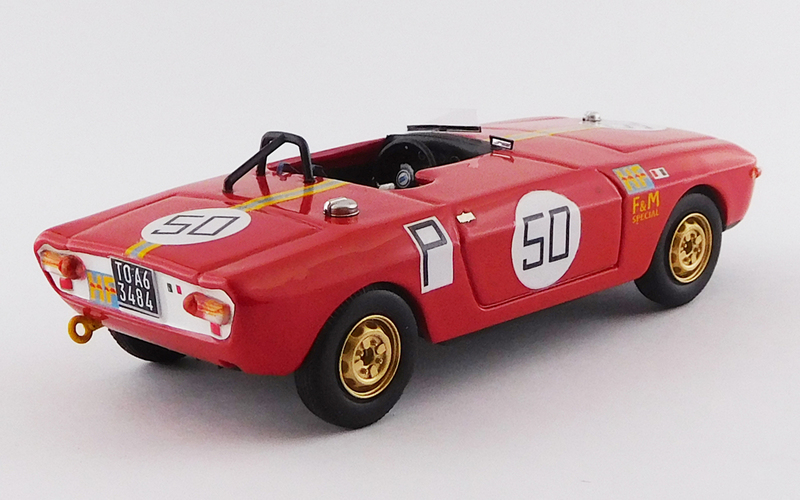 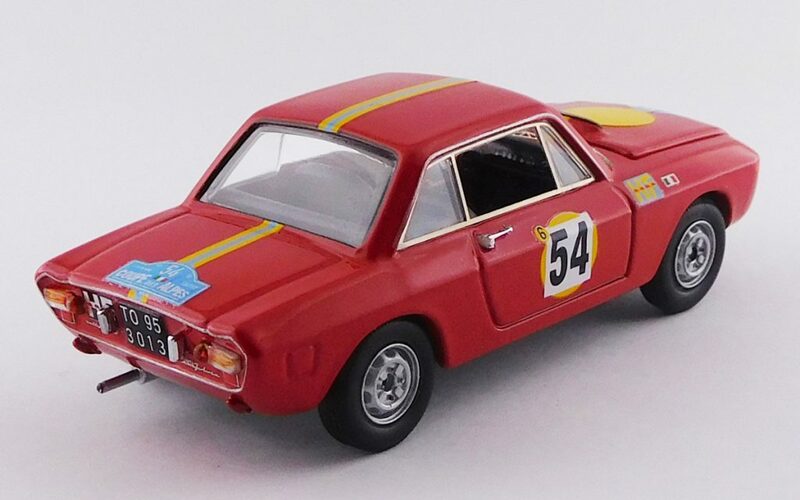 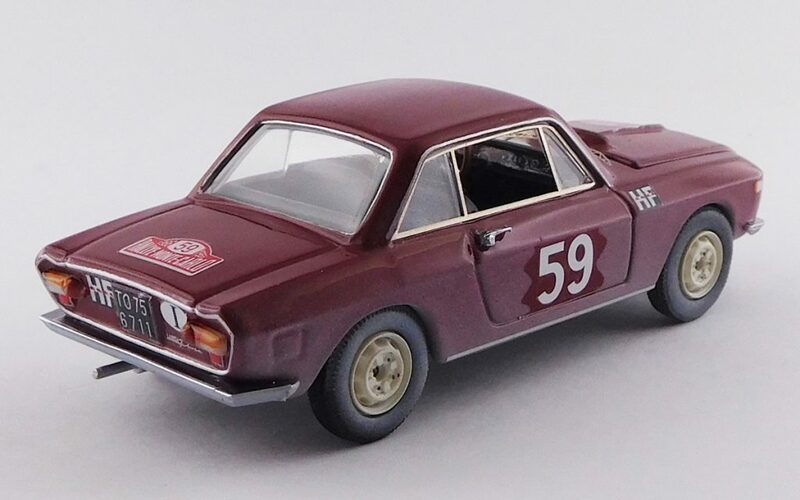 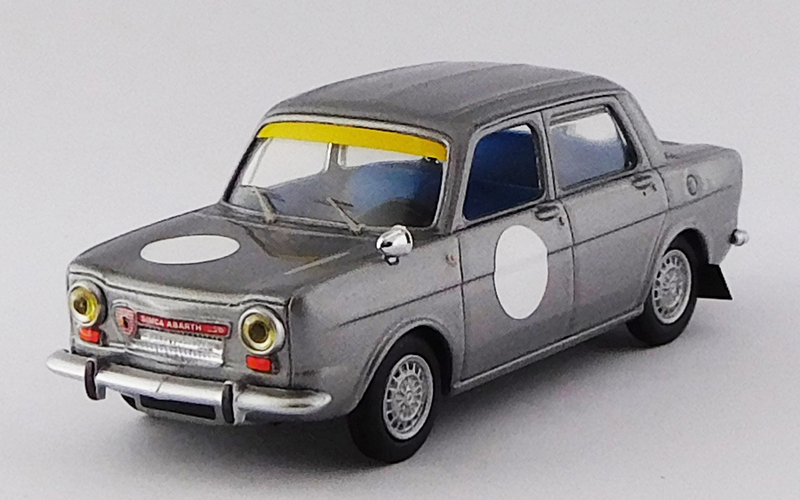 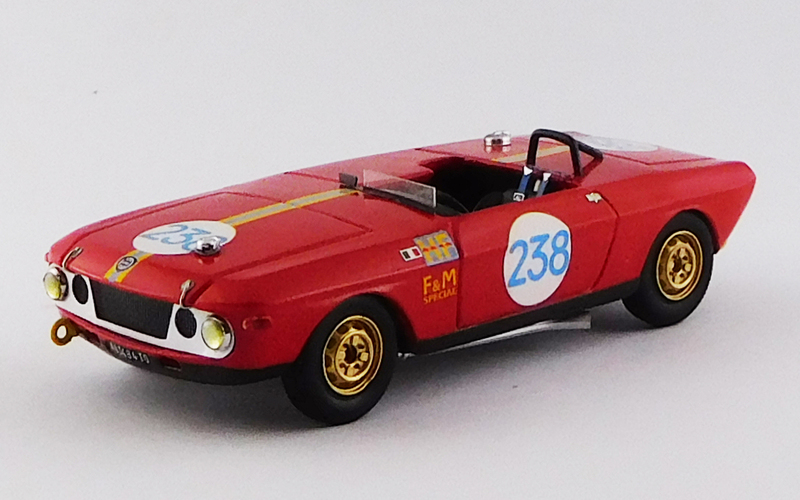 Here the Fulvia casting is liveried for the car which finished third in the Coppa delle Alpi in 1968 driven by Trautmann and Trautmann. 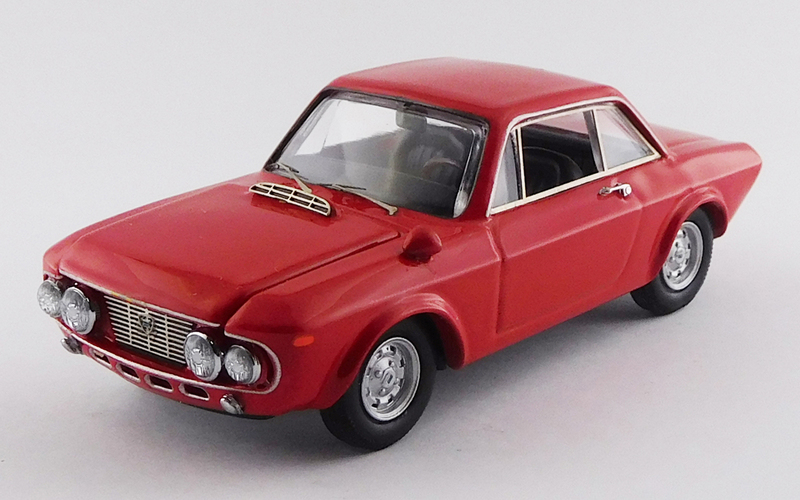 ‘Fanalone’ is the name for the cars with the large twin headlights fitted towards the end of the Fulvia’s run. 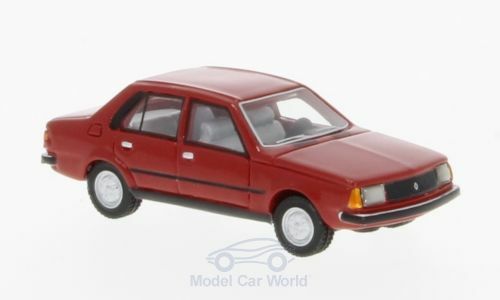 Here it is in Corsa red with the distinctive front styling. 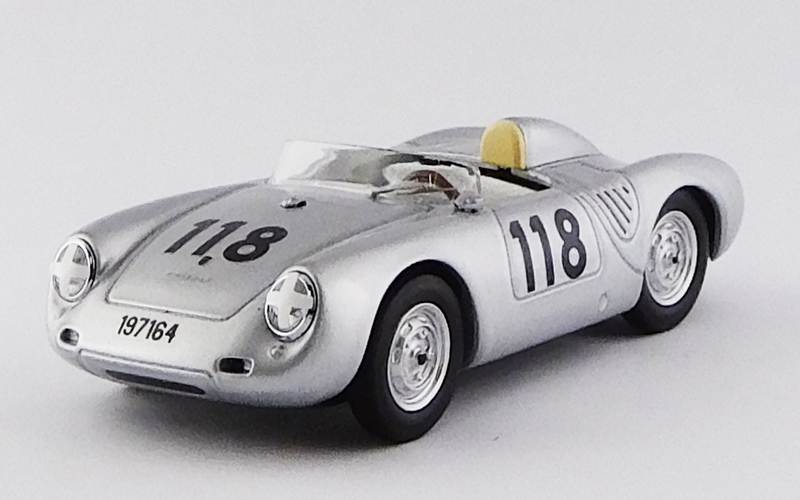 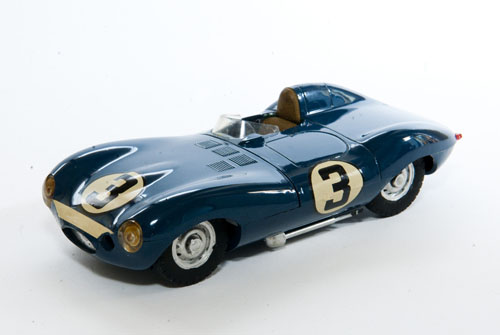 Here the RS is finished as it appeared when it ran in the Mille Miglia in 1957 driven by Heinz Schiller. 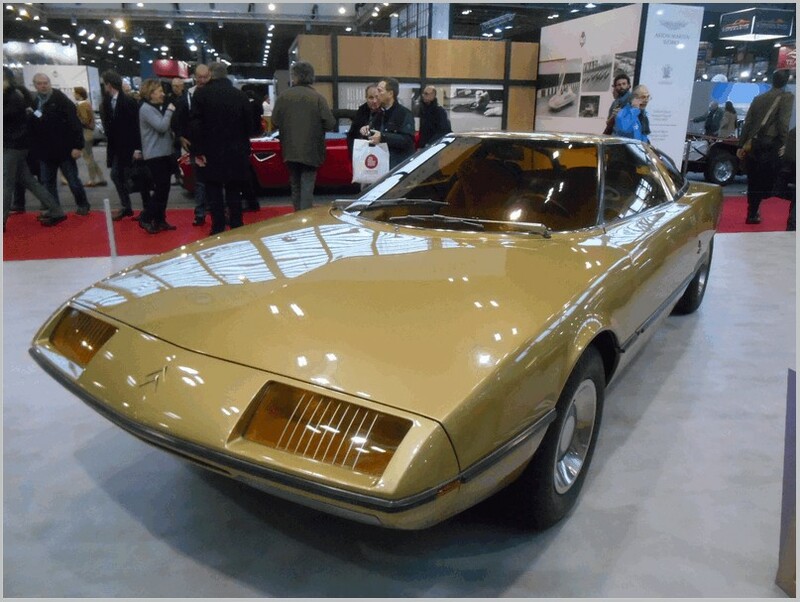 Styled by Bertone this model is in the yellow colour many of these cars were finished in. 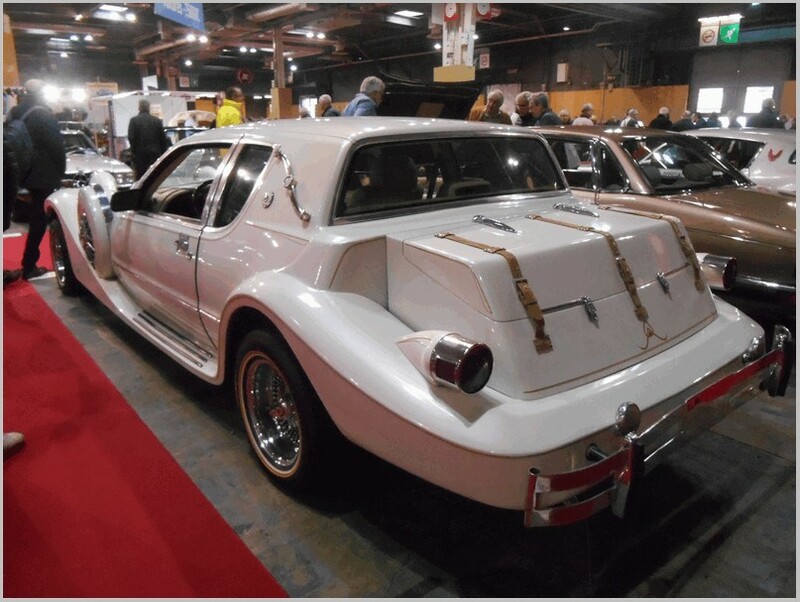 IN fact it looks very similar to the 1967 car Jay Leno has which was originally bought by Dean Martin. 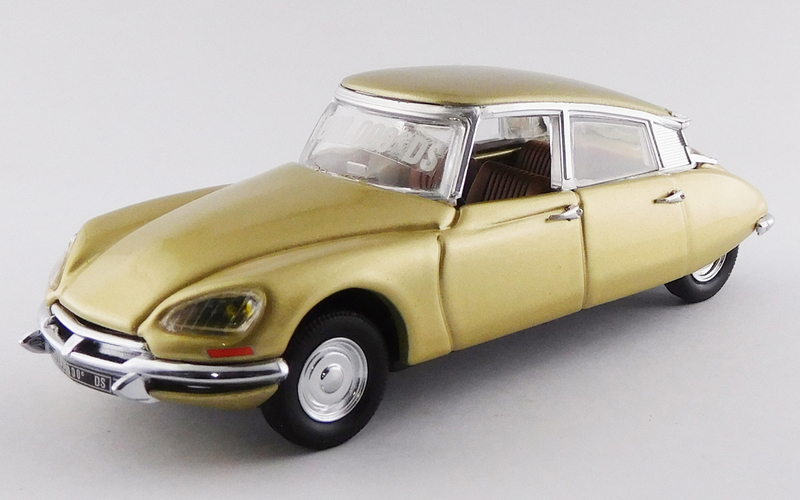 Here finished as the 1.000.000th DS car produced and painted in gold. 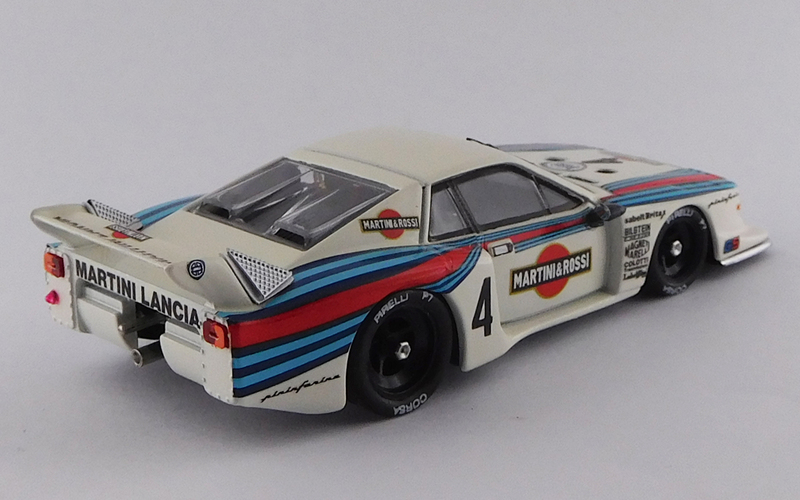 Unfortunately the painting has rather flooded all the scored body lines. 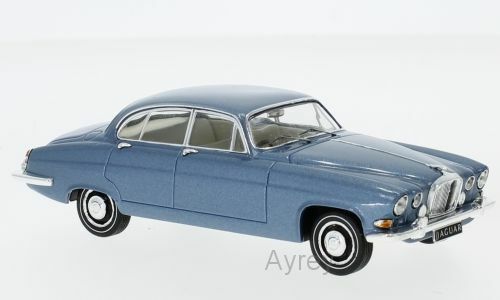 Further issues include the front amber indicators being printed crookedly and the front bumper is missing the many black inserts fitted on the real car. 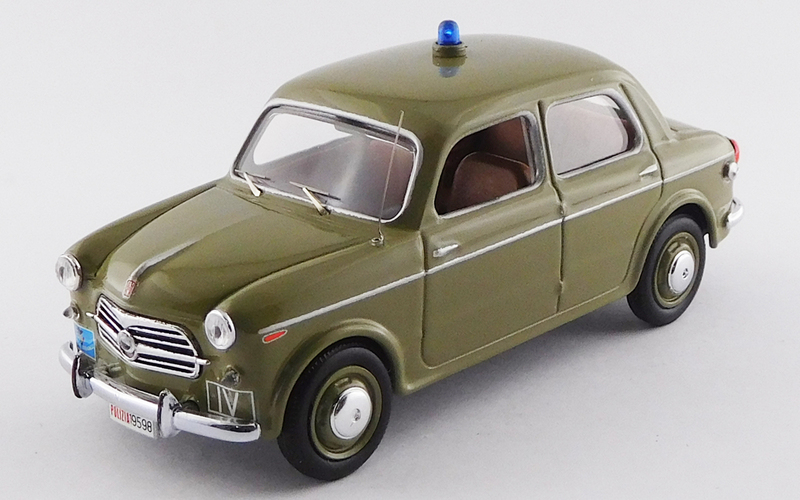 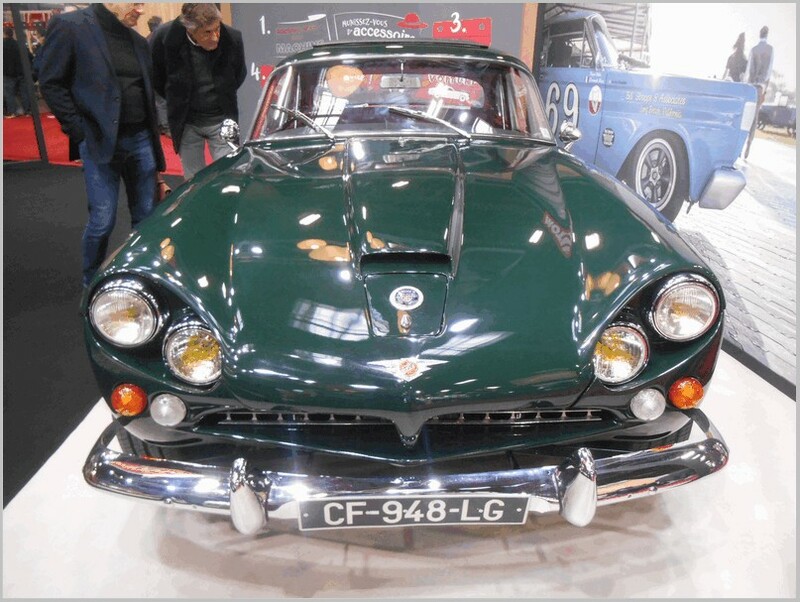 Here the RIo Fiat 1100 casting is seen again, this time as an Italian Police car from 1954. 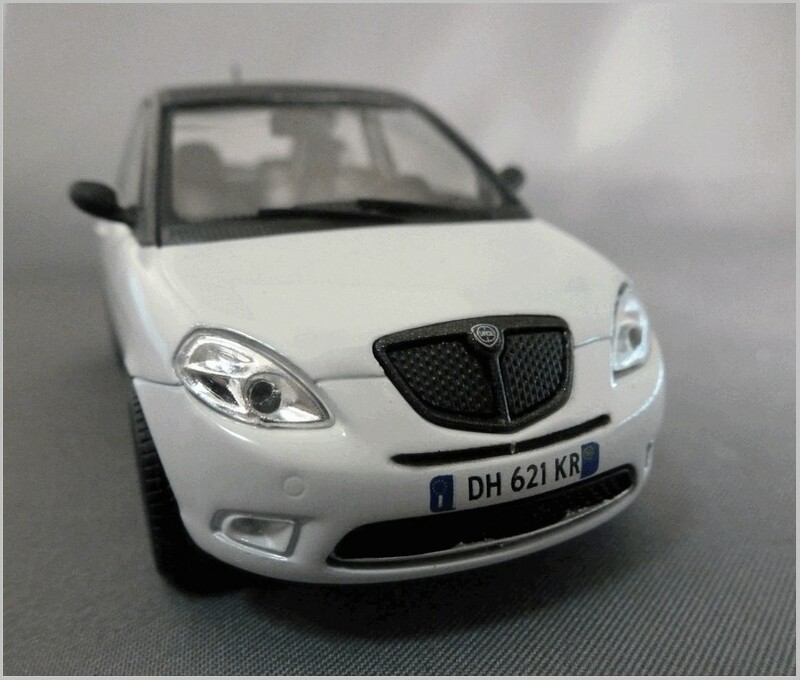 The second generation Lancia Ypsilon was Introduced in 2003 and was produced until 2011. 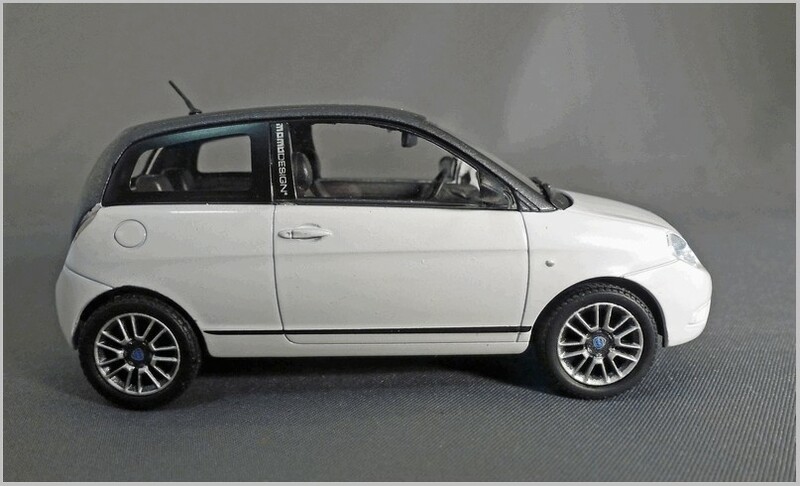 Like the Alfa Romeo MiTo it was a small three door car designed appeal to buyers who wanted something with a bit more style than the standard Fiat group offerings and who were prepared to pay a premium for it. 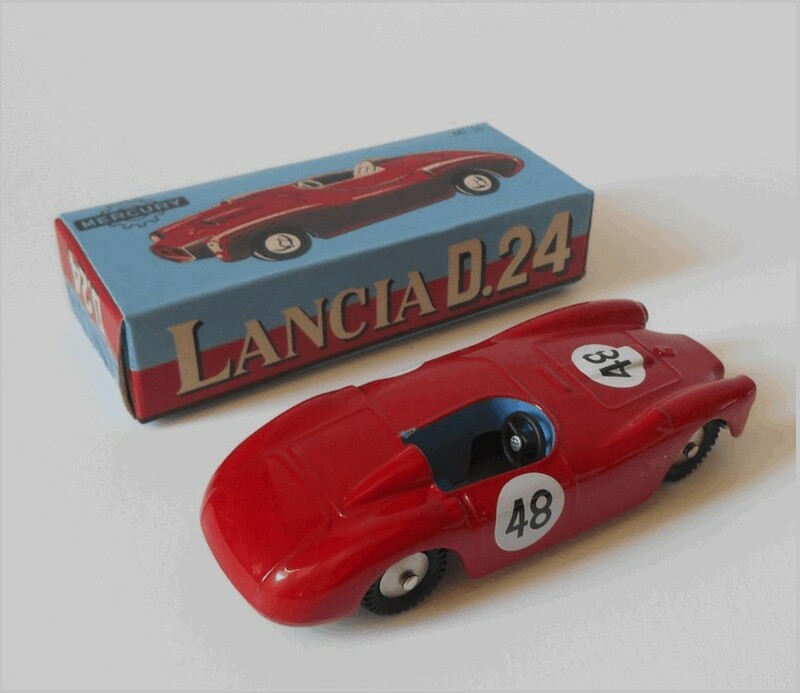 It quickly became the best selling car in the Lancia range with an annual production of over 60,000 units. 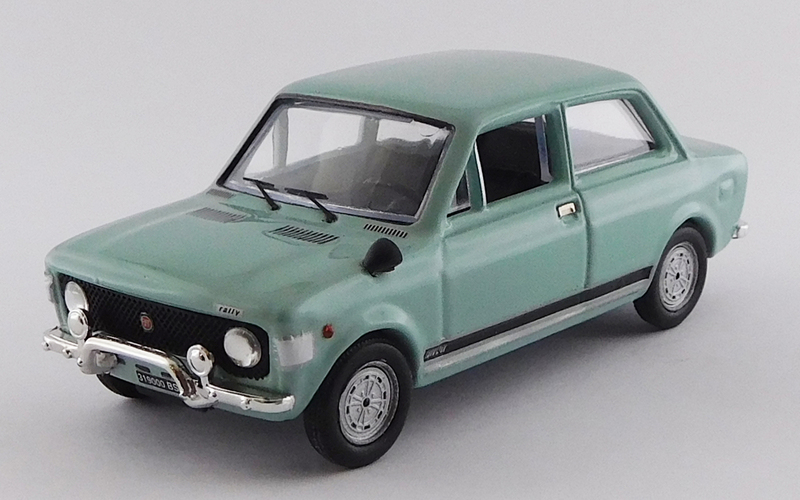 Initially assembled at the Fiat plant in Melfi in June 2005 production was moved to Sicily at the plant in Termini Imerese Palermo until the factory was closed by Fiat. 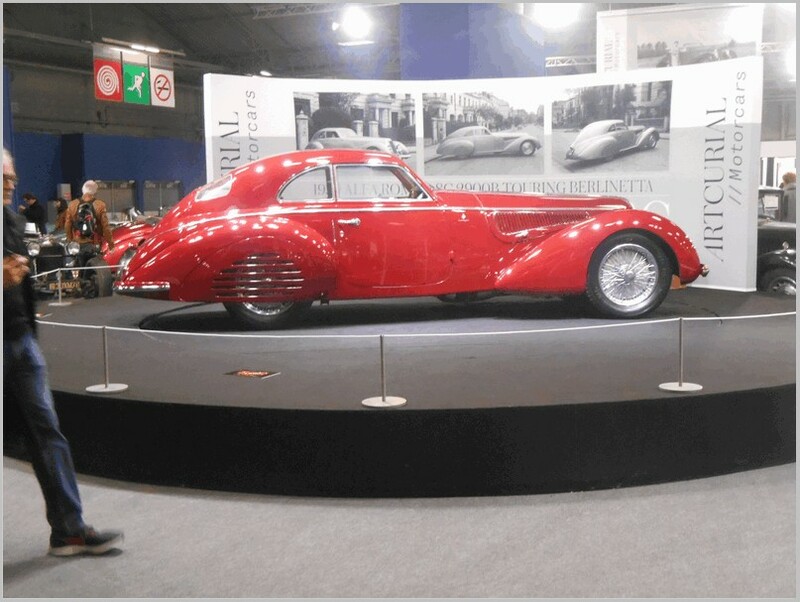 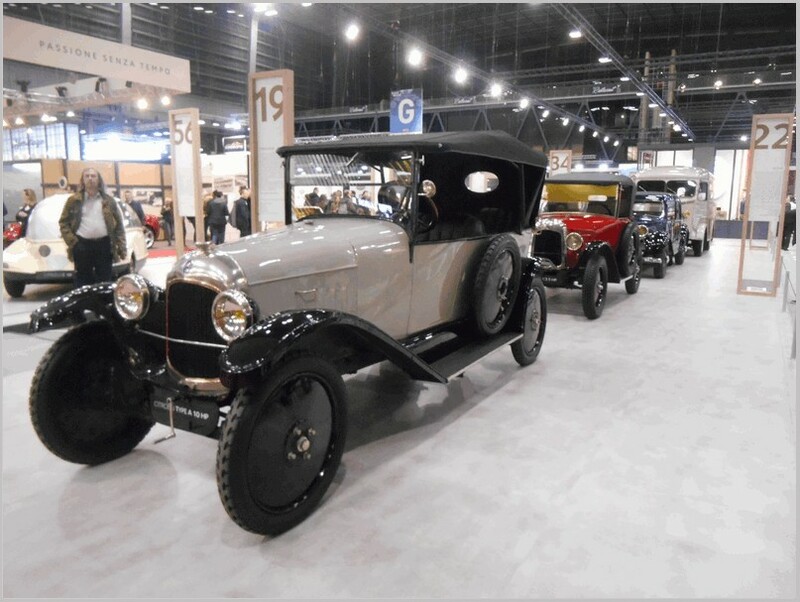 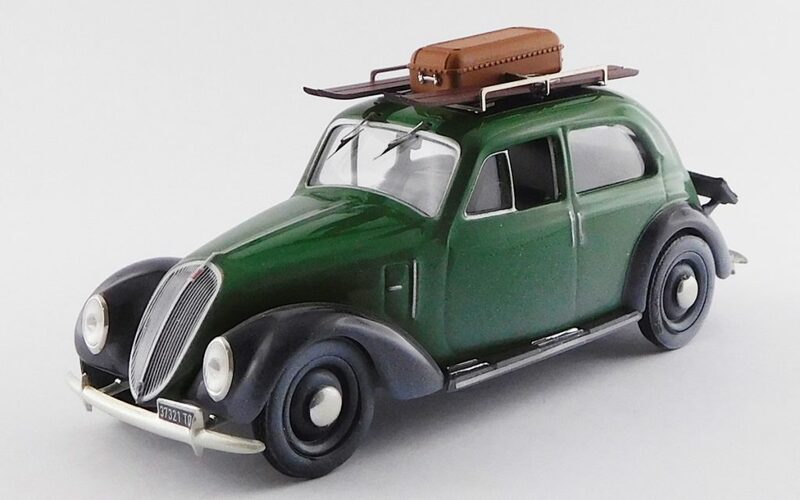 The car has a three-door body and the design was said to be inspired by the historic Lancia Ardea. 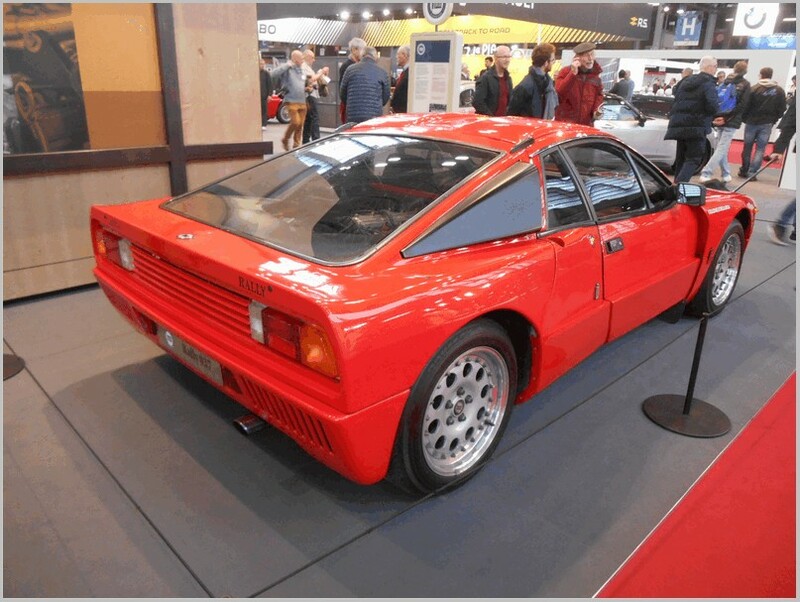 The unitary body used a shortened version of the Fiat Group B platform which underpinned the Fiat Punto , Fiat Idea and Lancia Musa. 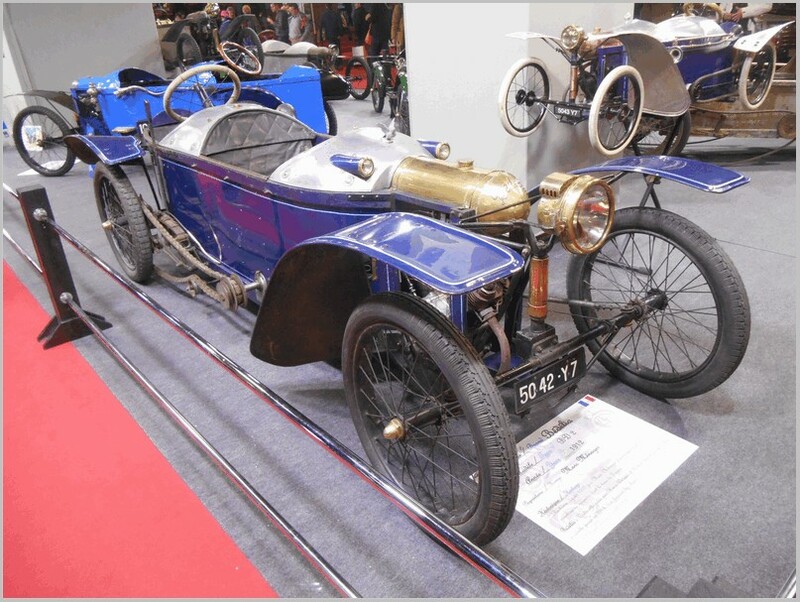 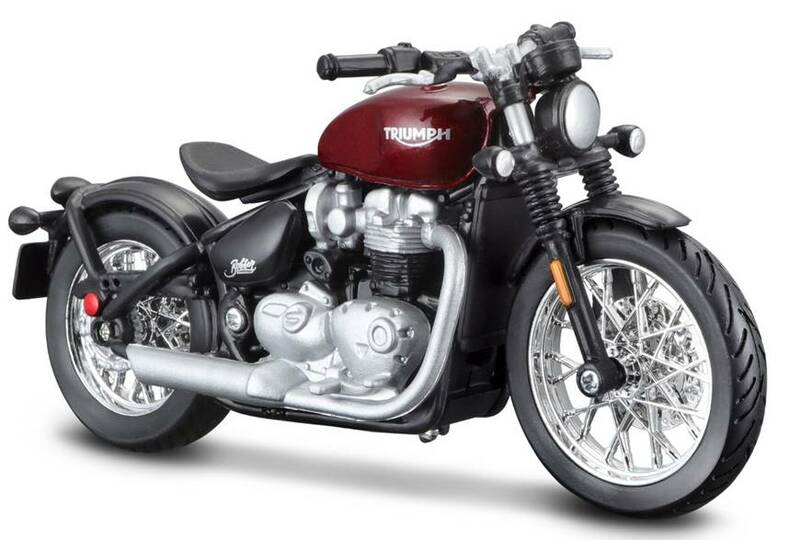 The engine is transversely mounted at the front, with front wheel drive. 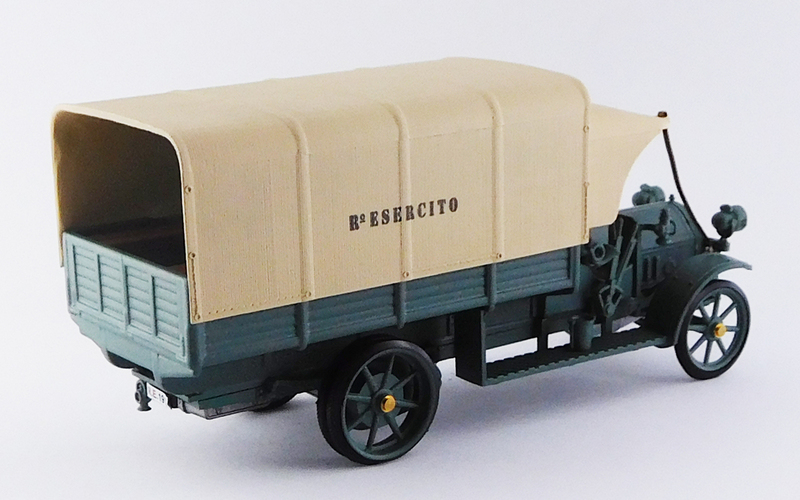 The usual smaller capacity Fire and Multijet engines were on offer. 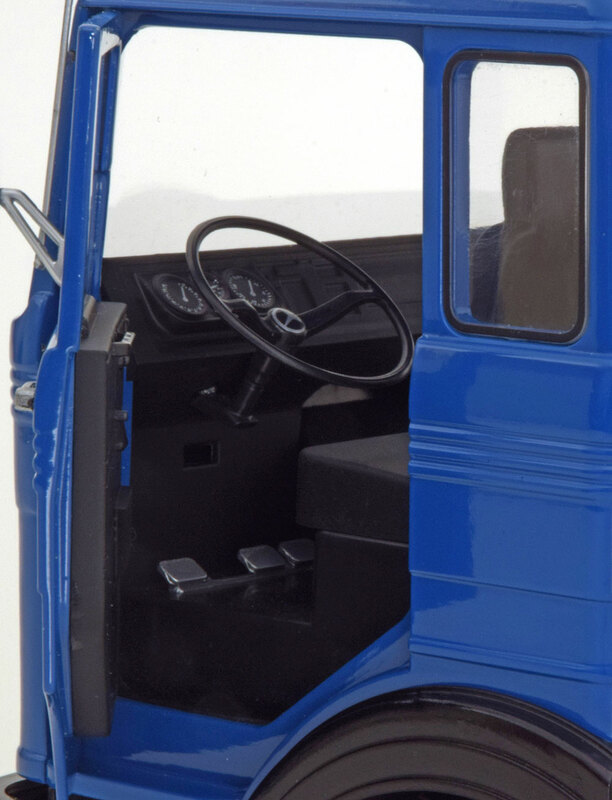 The interior had plastic inserts on door panels and the instrument panel is covered with Airtex fabric, leather or Alcantara depending on the model. 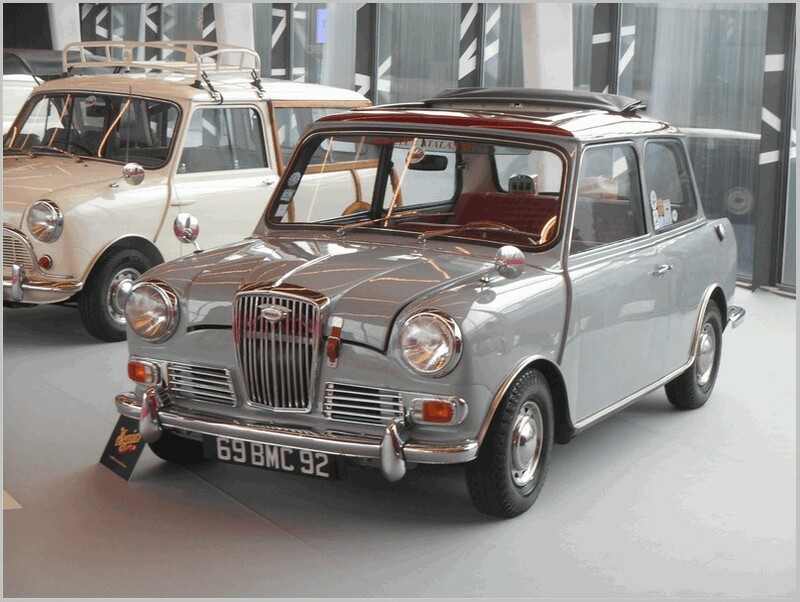 There is two-tone upholstery and plastic inserts mimic aluminium. 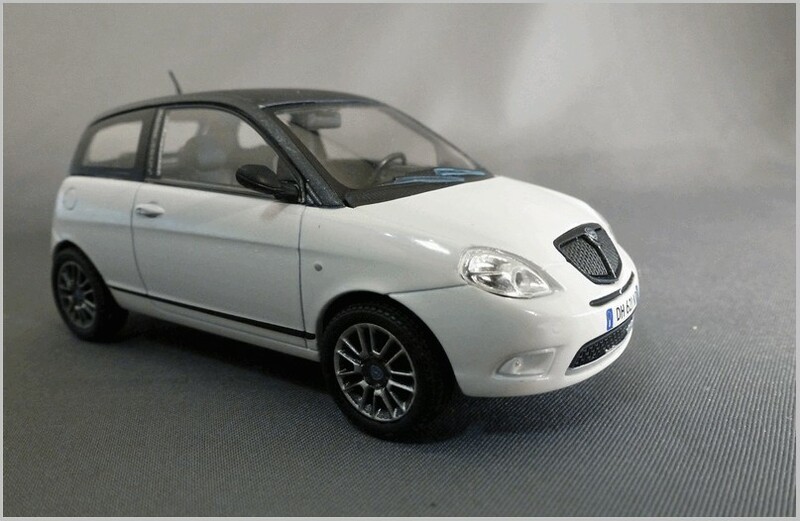 I don’t believe that the car was officially imported into the UK as the Lancia brand was withdrawn from the UK market in 1995 and has never re-appeared though the third generation Ypsilon which was made in Poland and based on the smaller Panda/500 minicar chassis was sold here badged as a Chrysler until 2015 when Chrysler pulled everything other than Jeep out of the UK market. 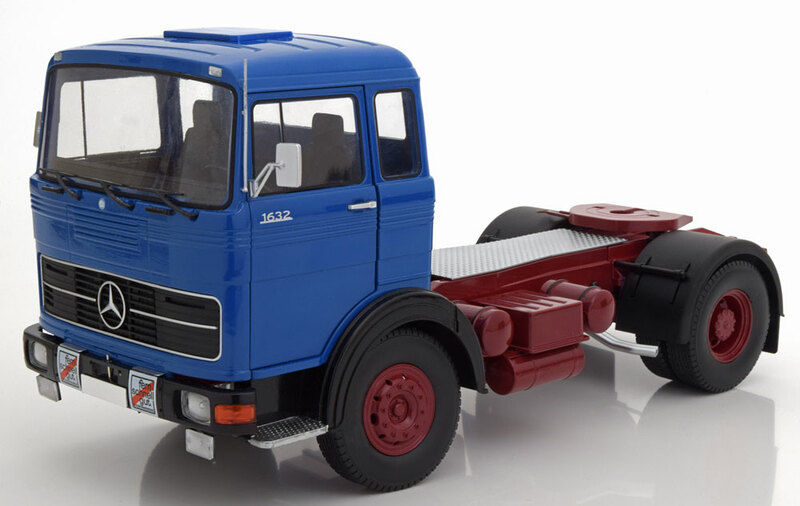 The model shown here is branded Abrex/Cararama and is diecast to 1:43 scale in China presumably at the Hongwell plant in Hong Kong. 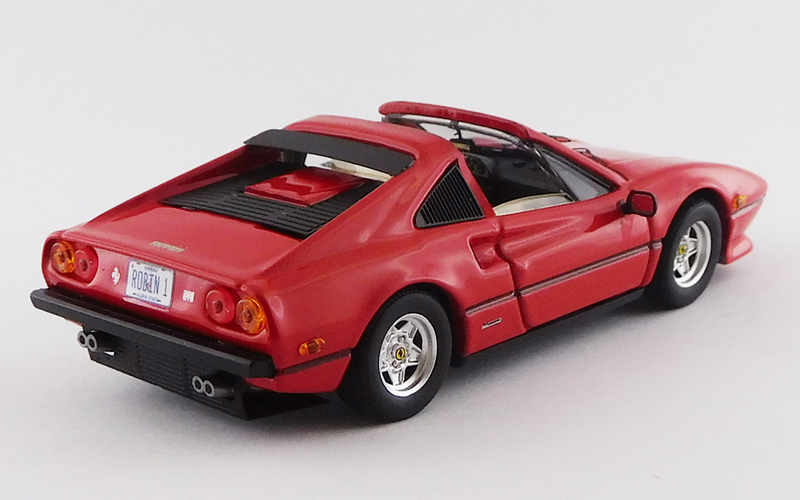 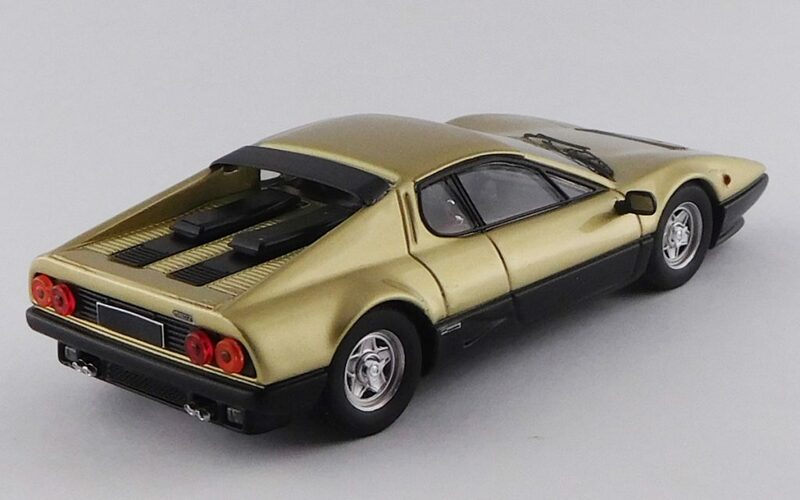 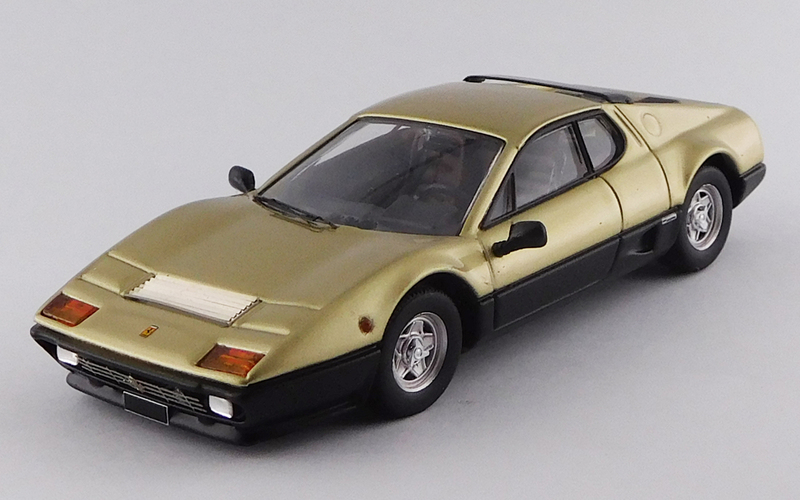 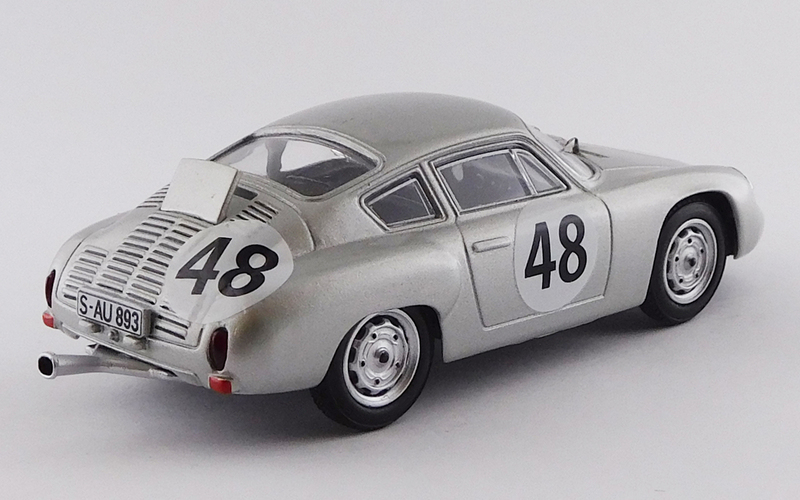 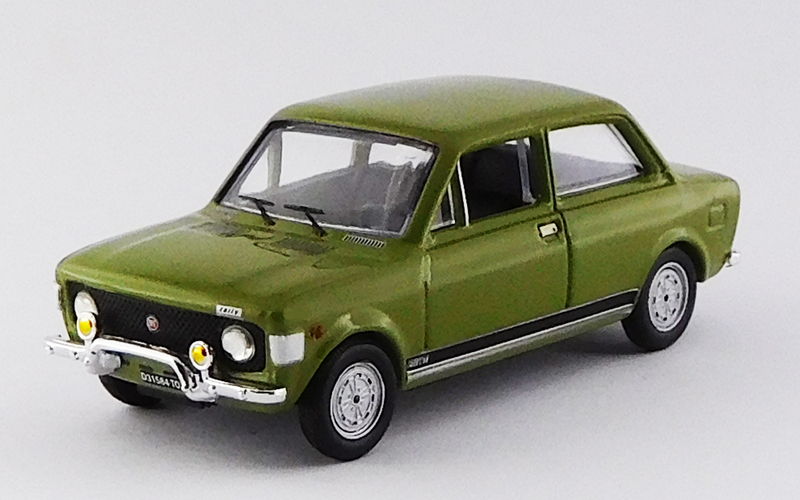 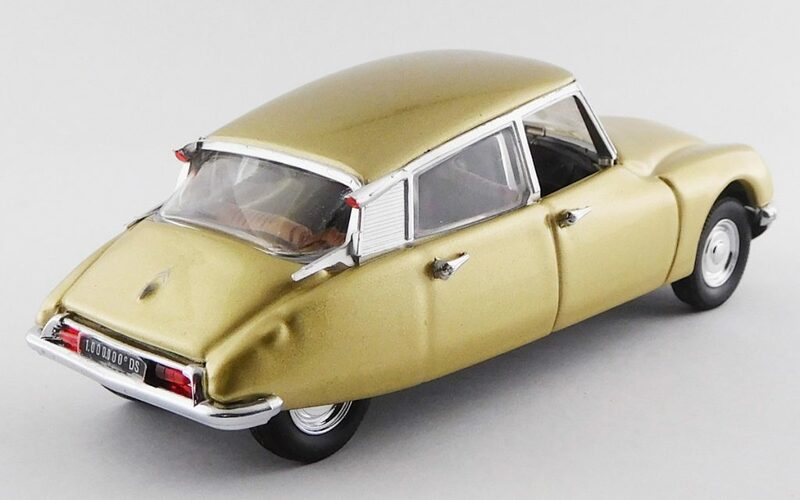 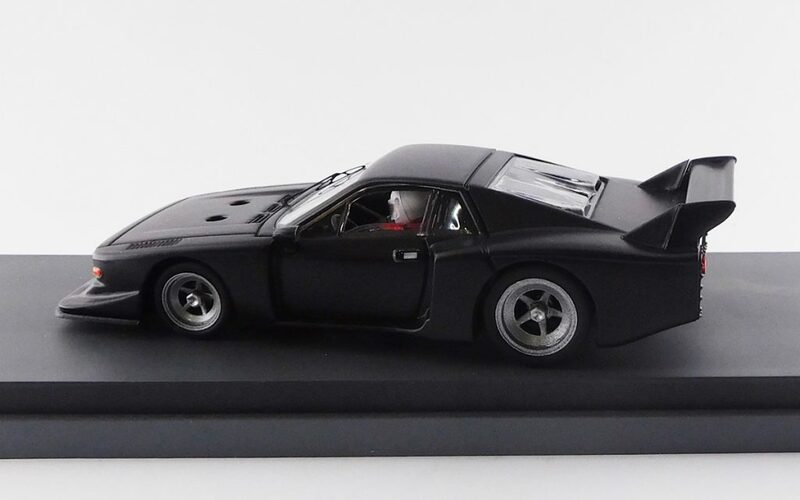 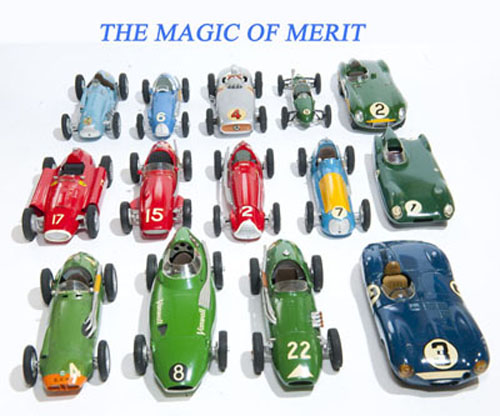 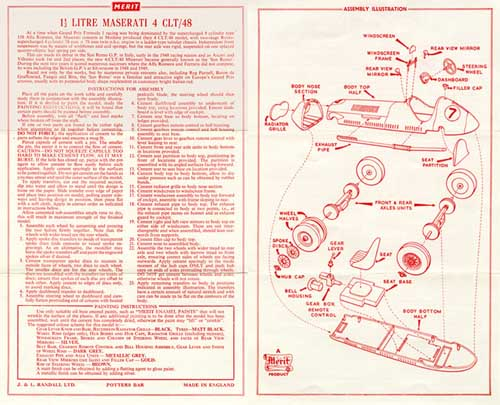 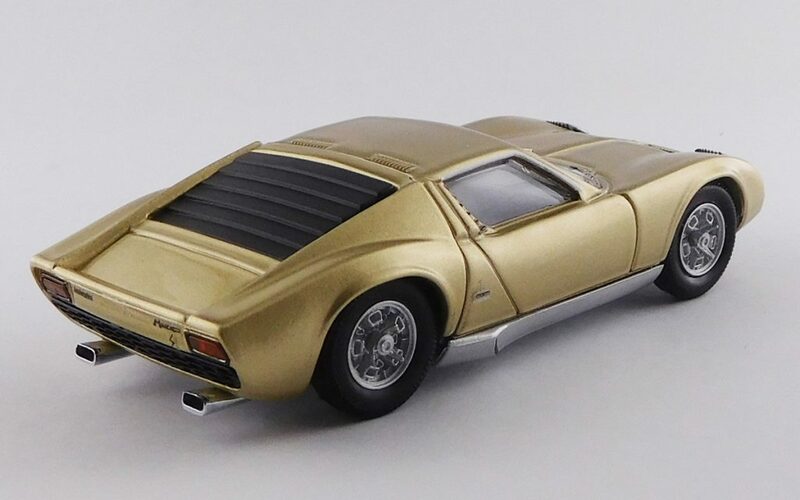 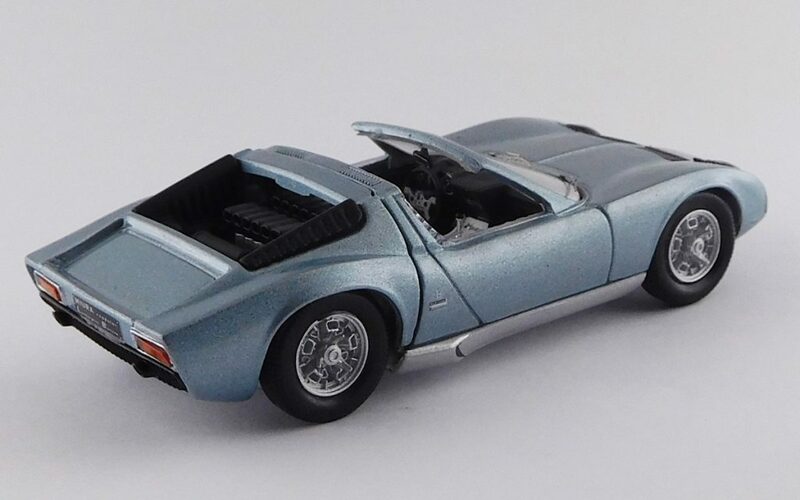 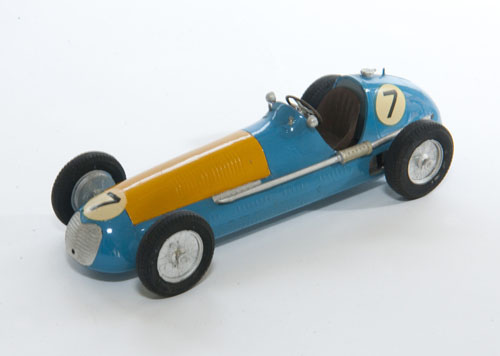 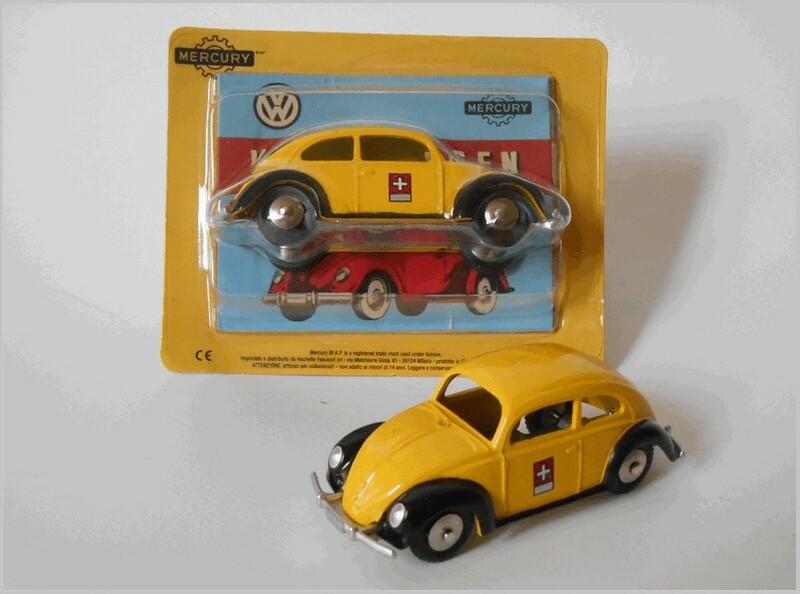 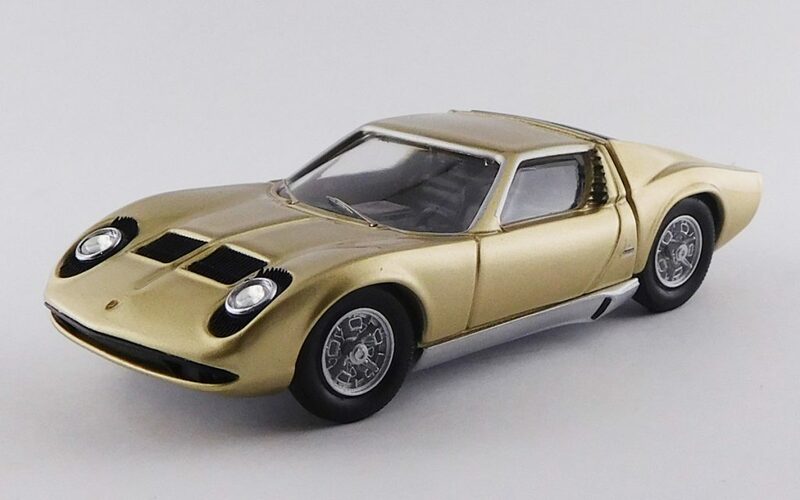 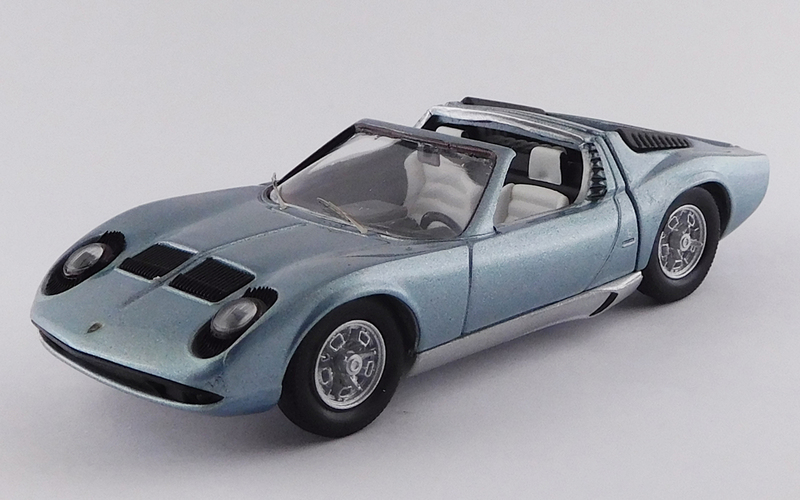 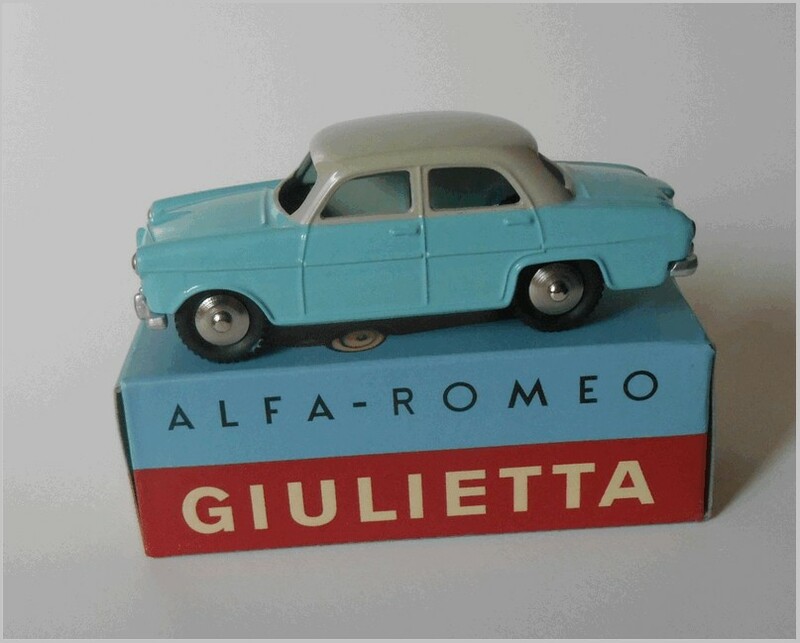 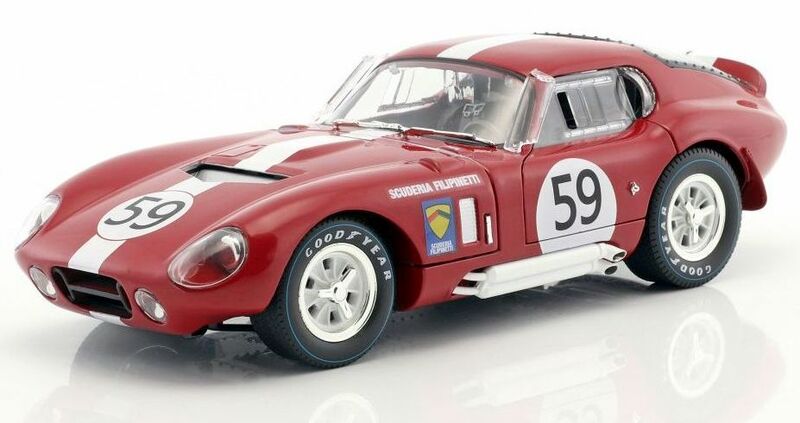 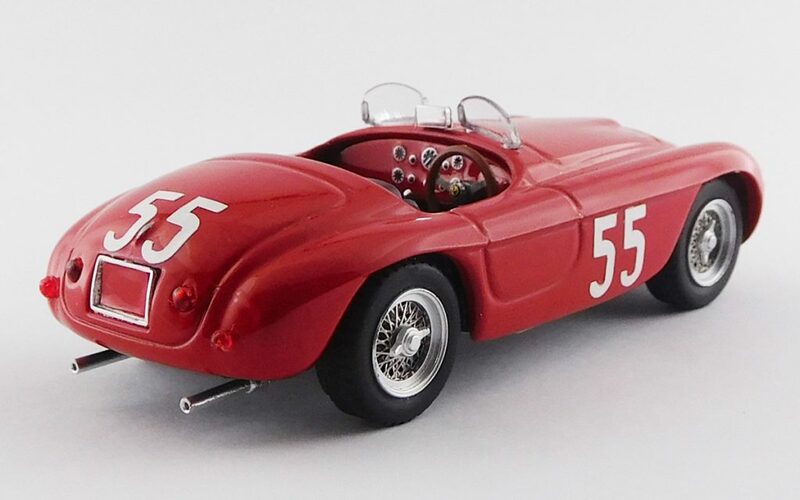 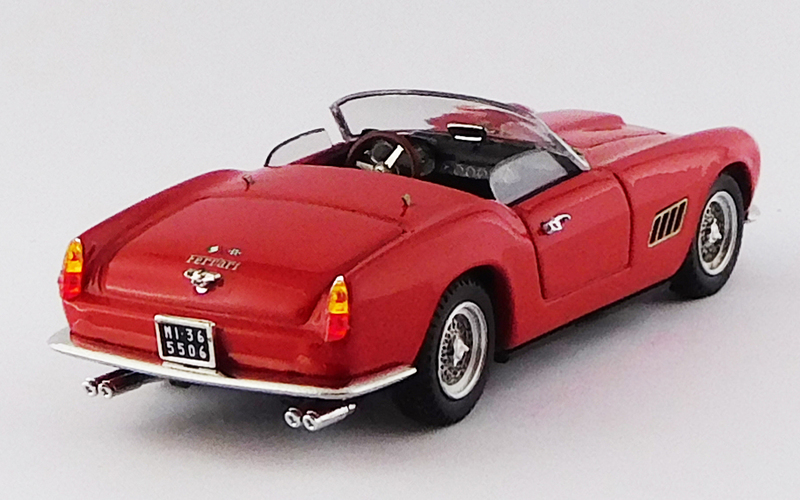 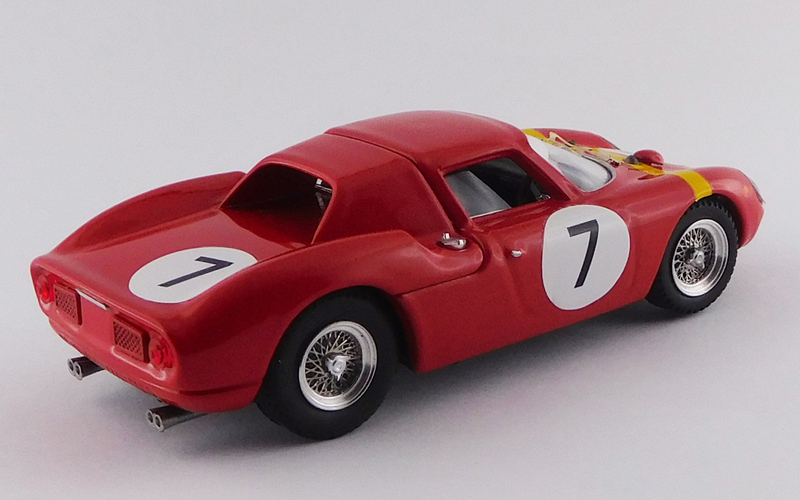 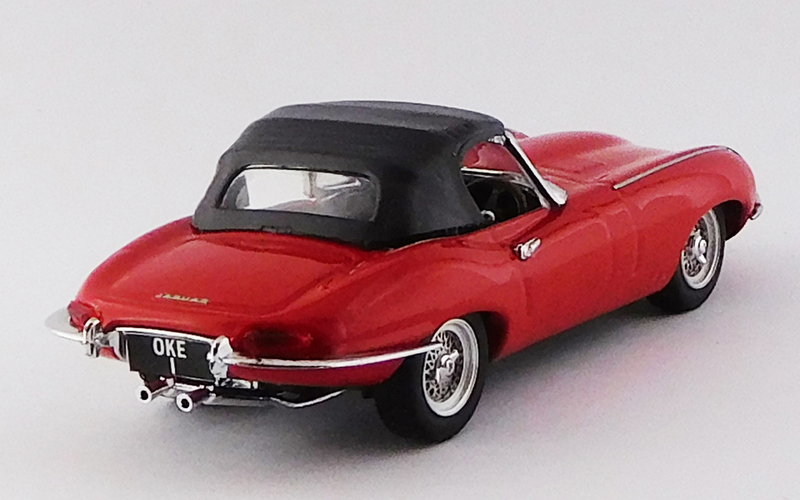 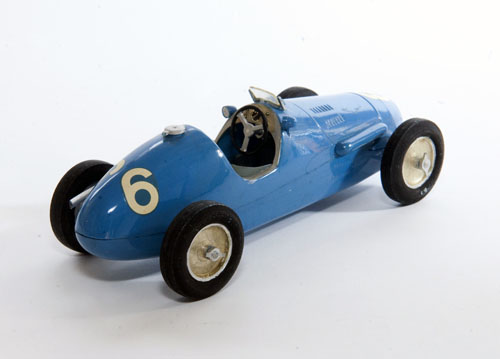 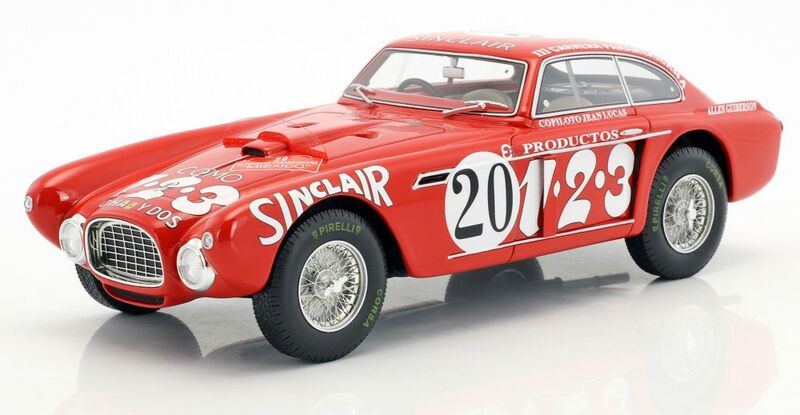 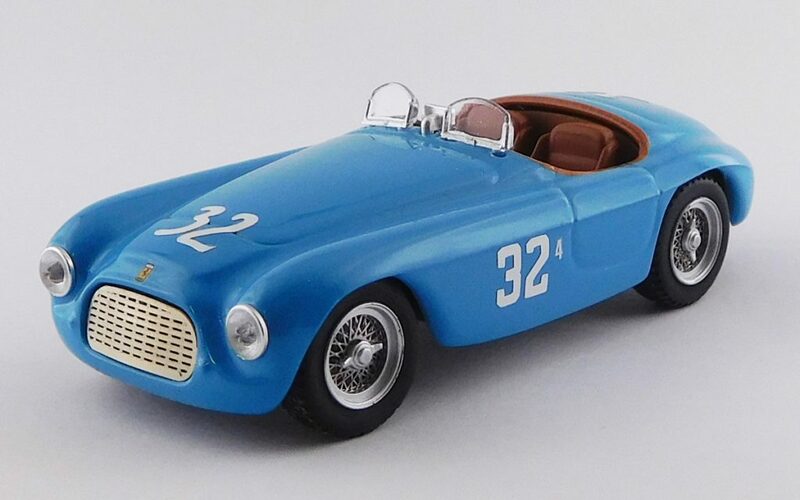 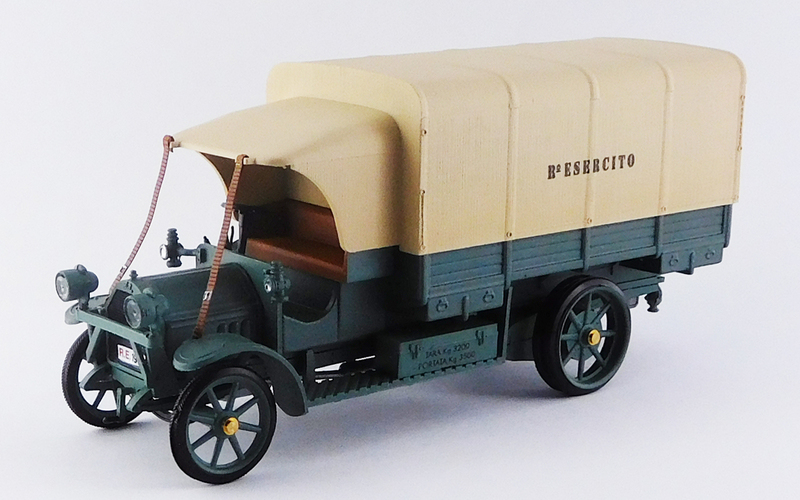 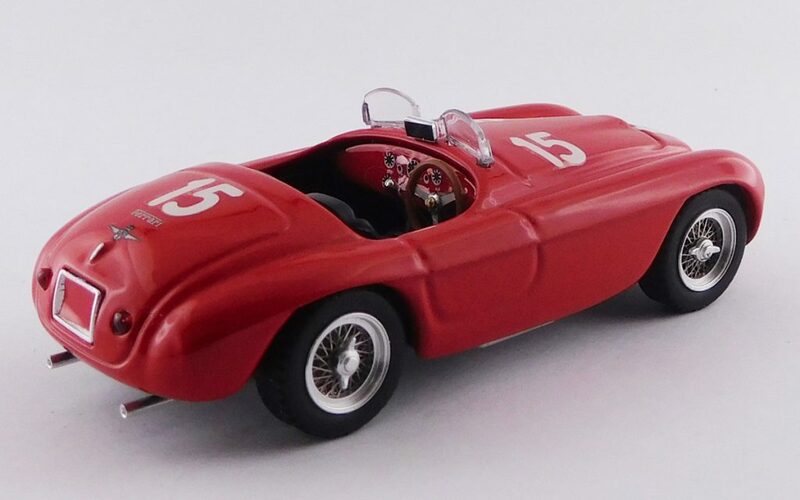 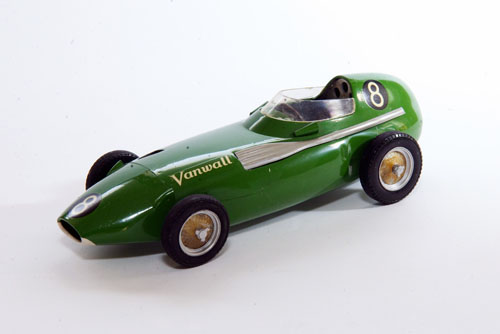 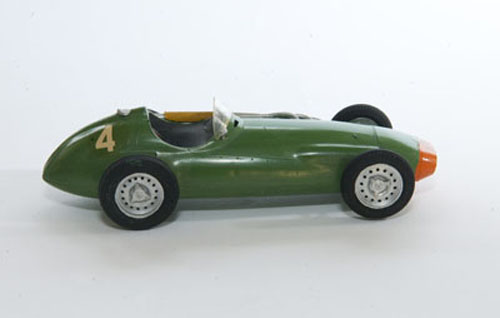 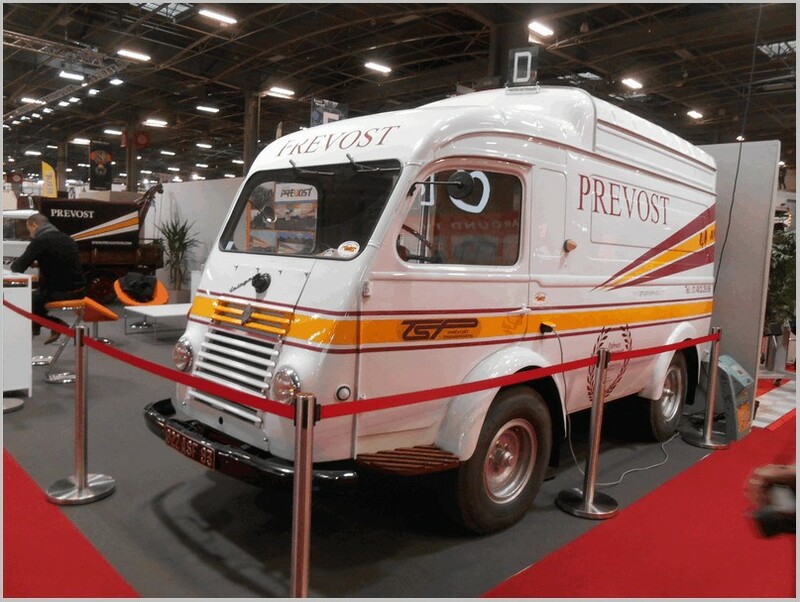 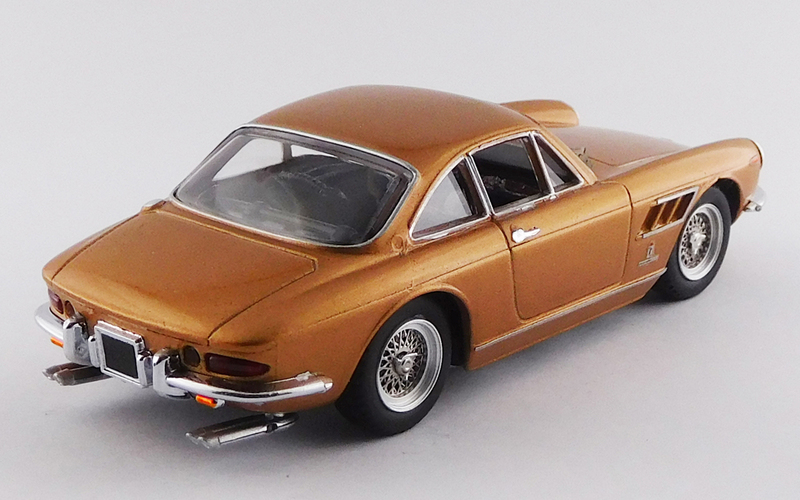 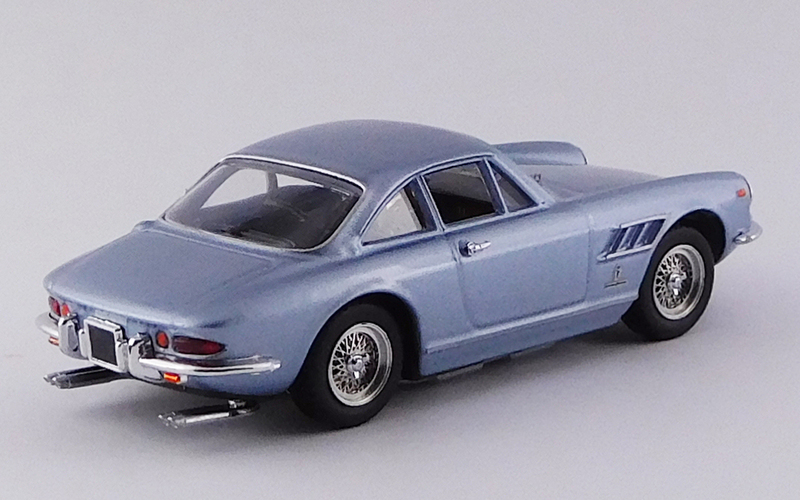 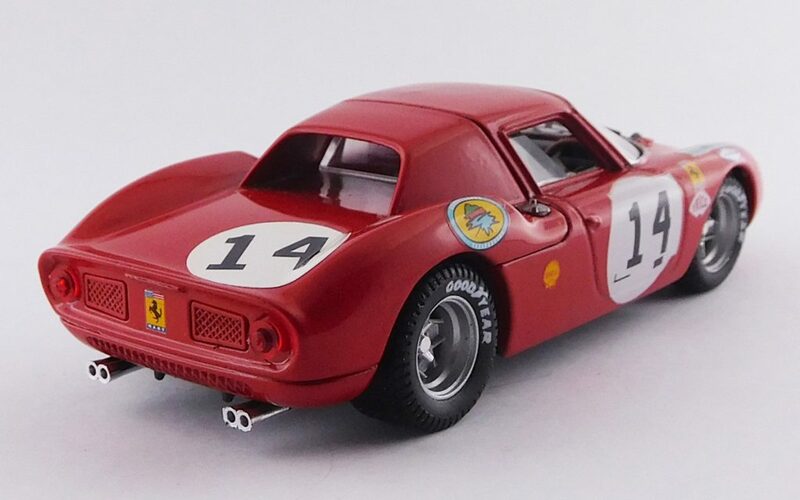 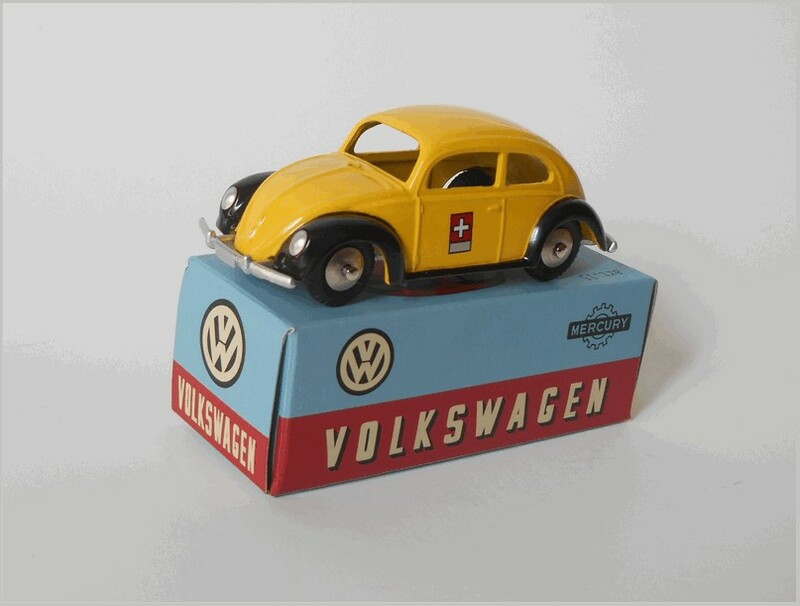 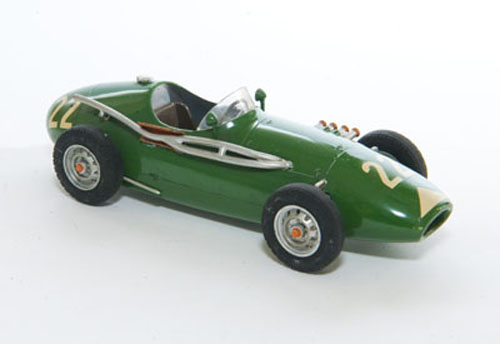 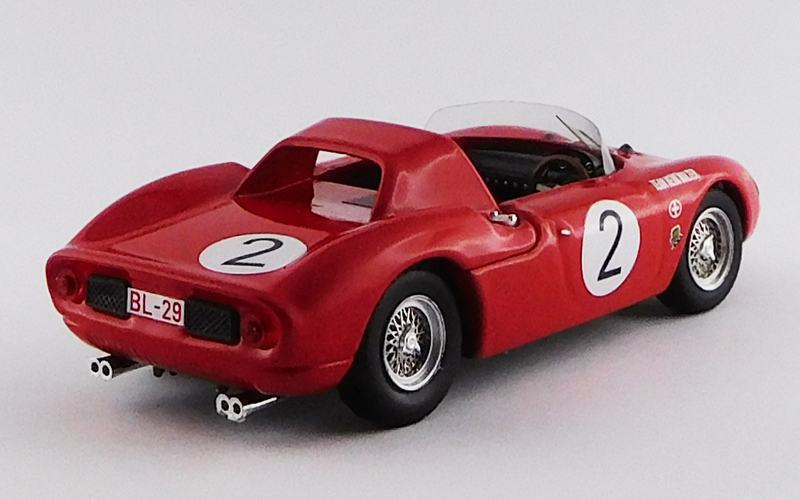 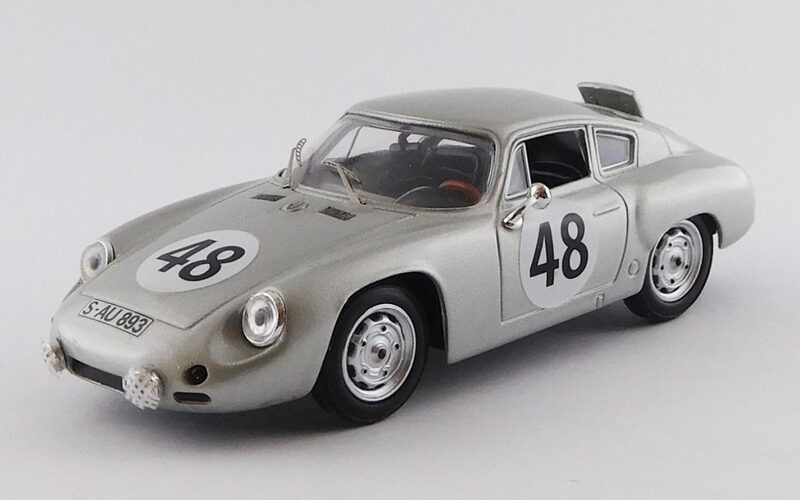 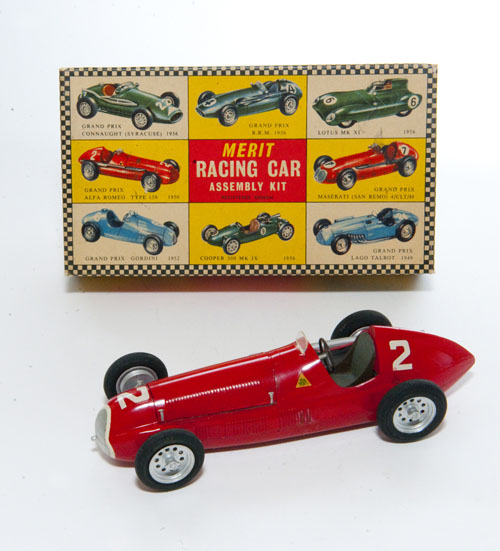 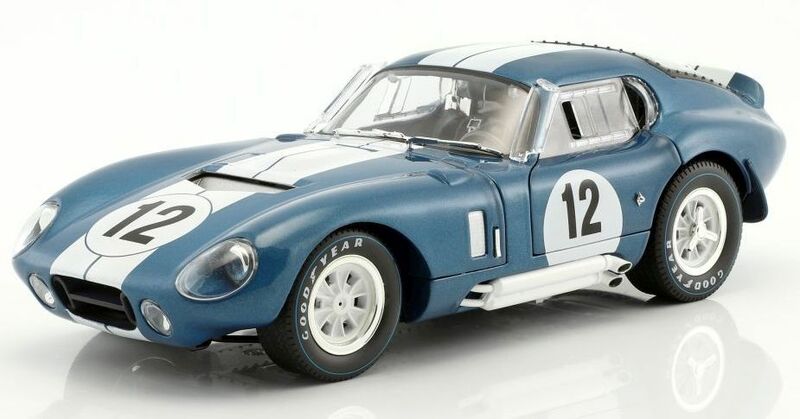 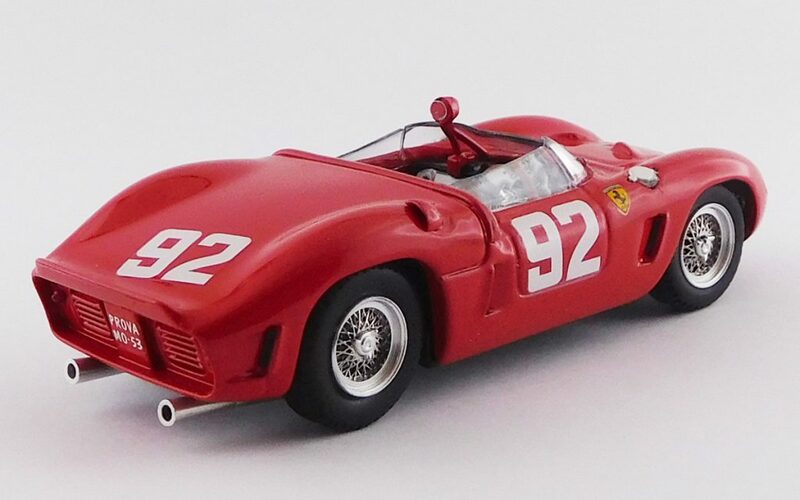 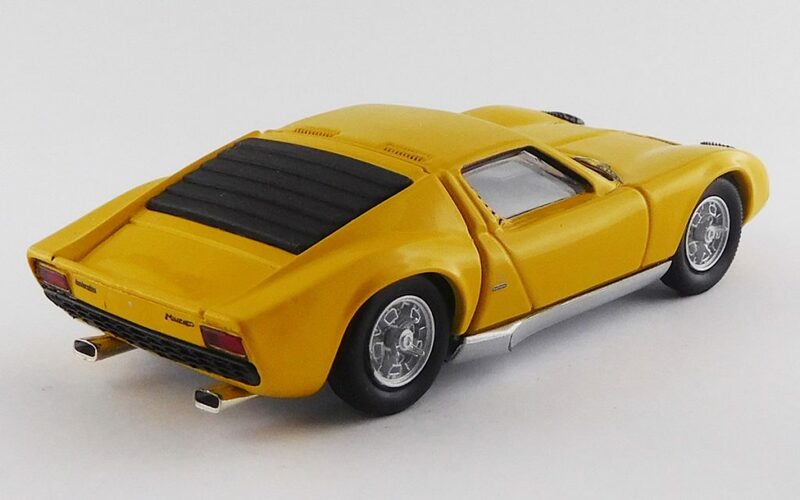 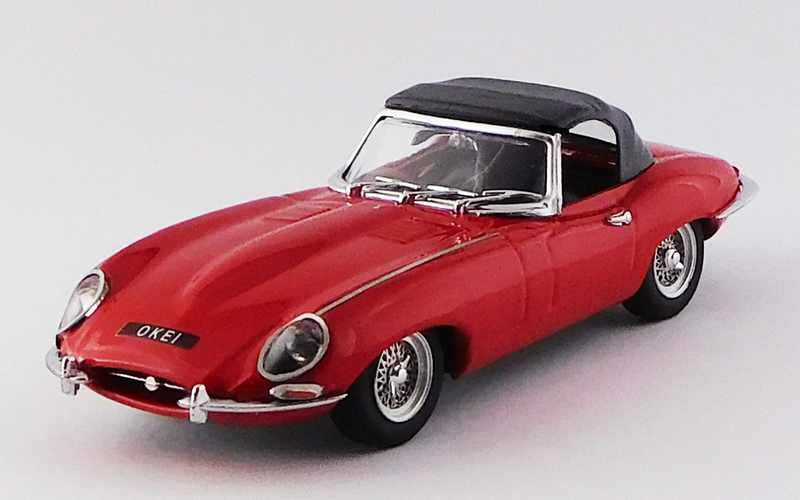 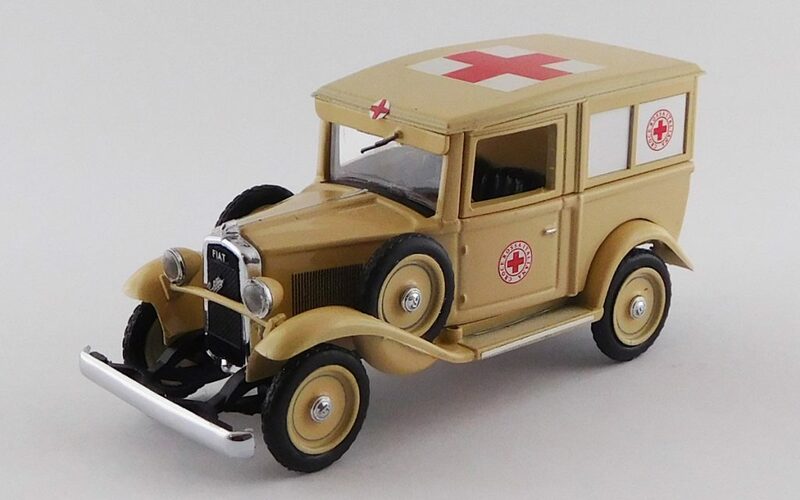 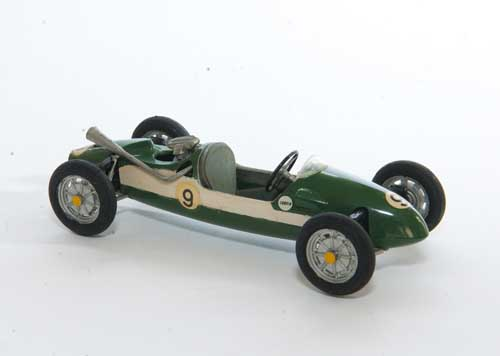 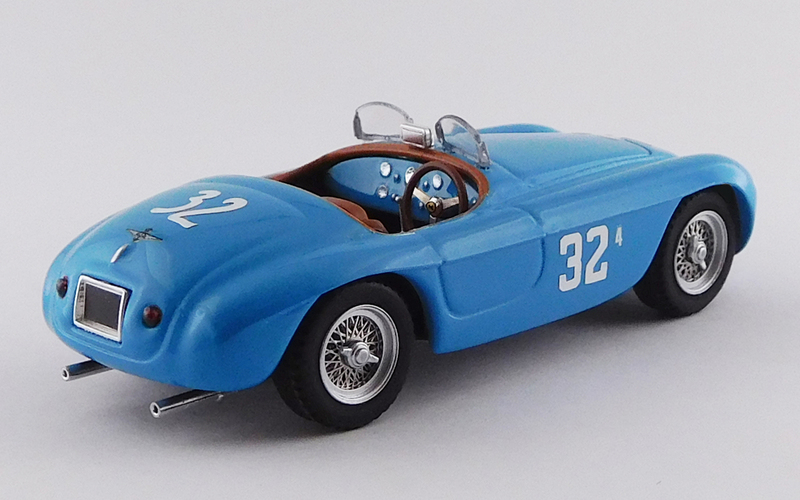 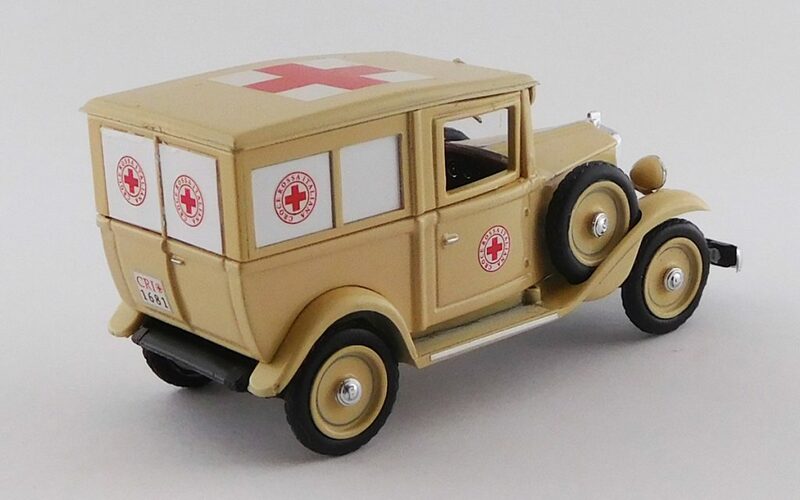 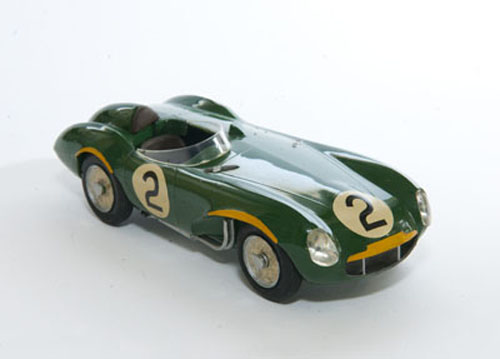 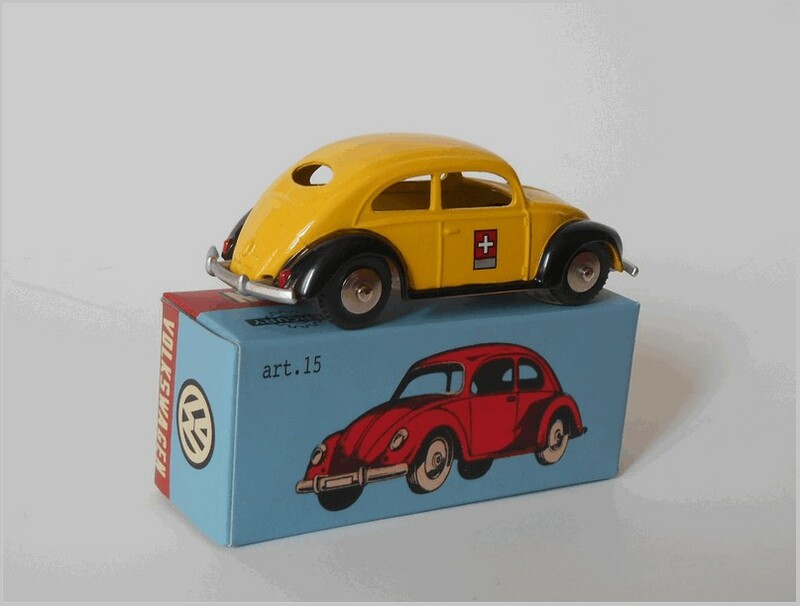 It is packed simply in a cardboard box with clear plastic panel to view the model and when it can be found in the UK it is often sold for significantly less than an Oxford Diecast 1:43 model. 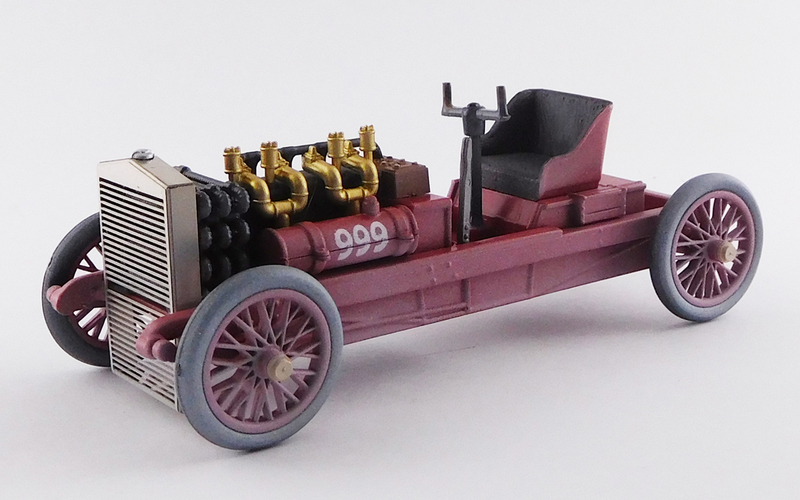 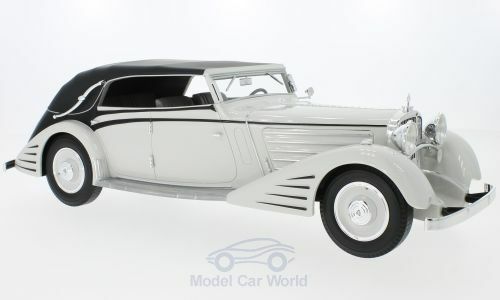 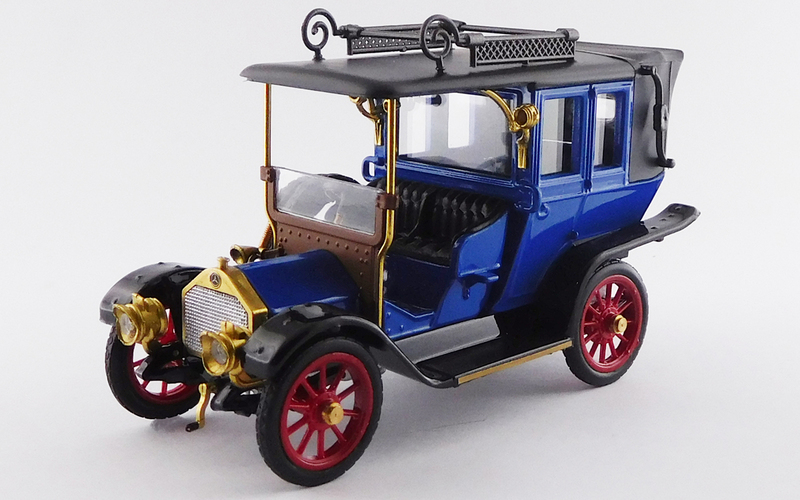 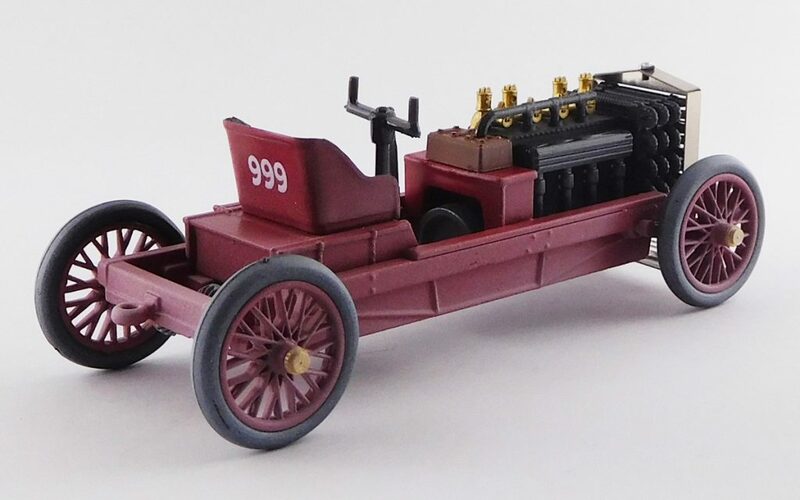 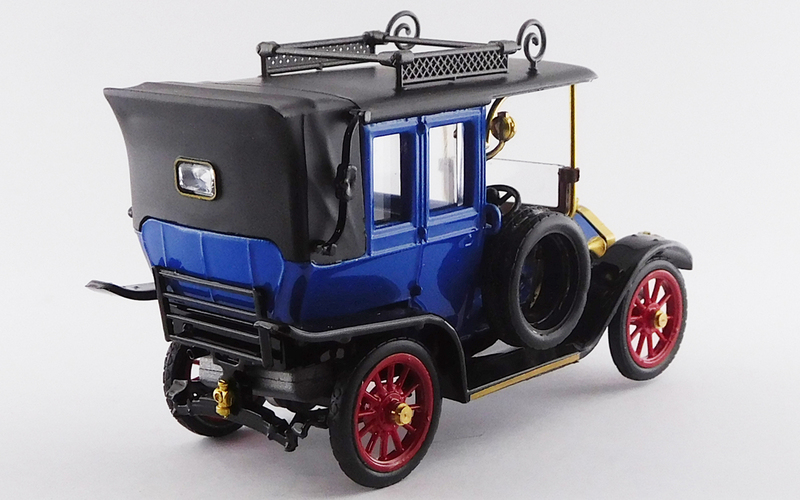 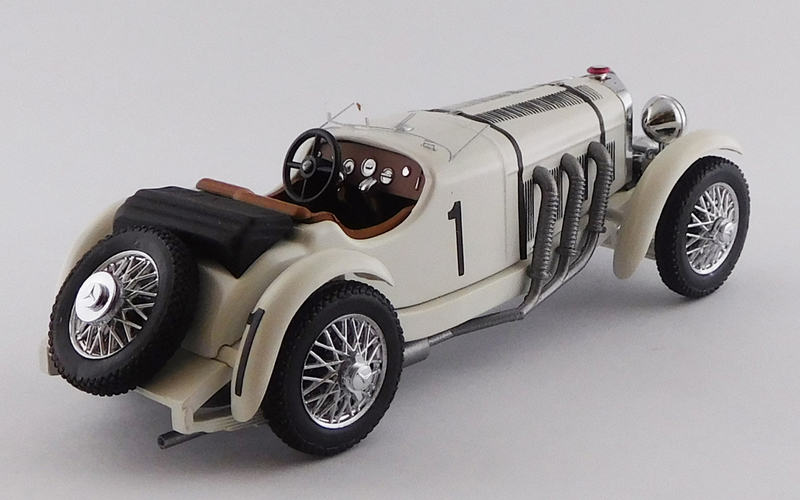 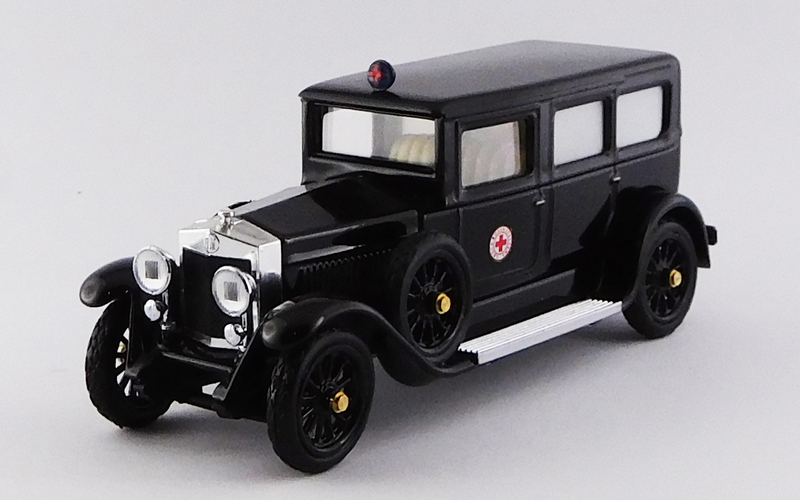 Like most Cararama models it is an excellent casting which has been well finished and detailed. 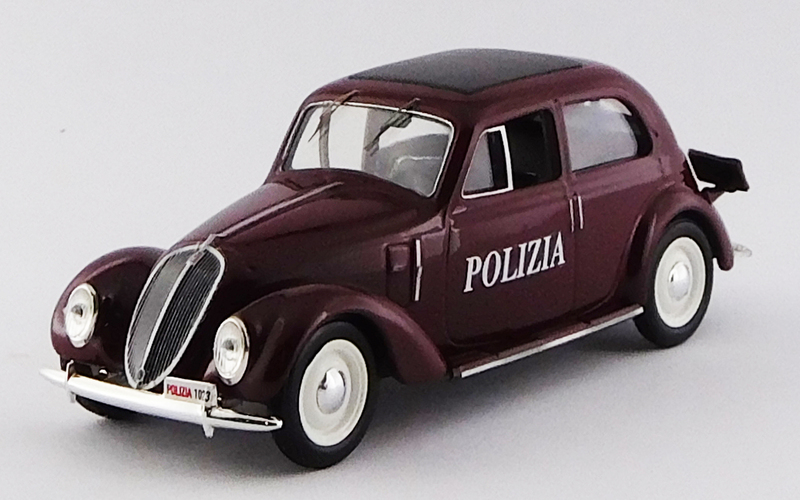 Looking at the front the Italian number plate with the EU symbol is very neatly printed as is the Lancia badge on the nicely reproduced grille. 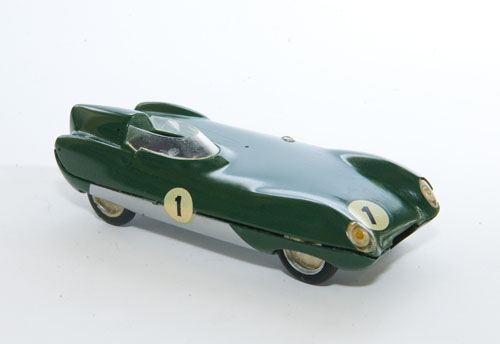 The main and subsidiary lights at the front are well modelled and separately inserted. 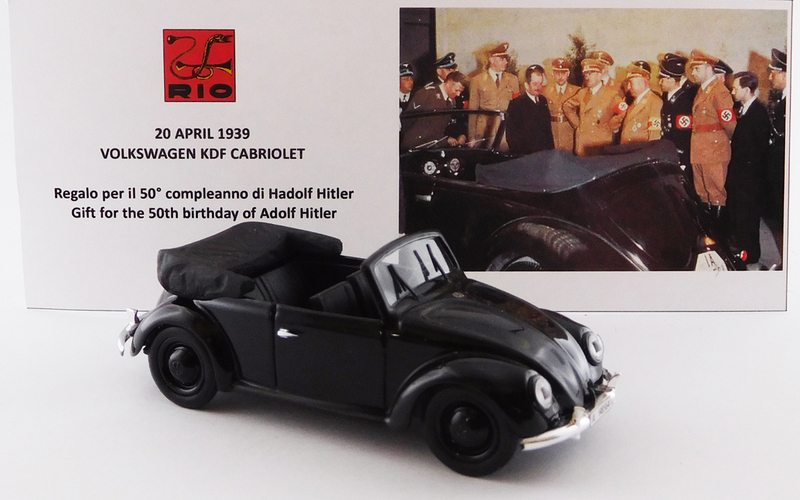 The interior is a black plastic moulding which has a lot of detail with a good dashboard and central console as well as nicely moulded door cards. 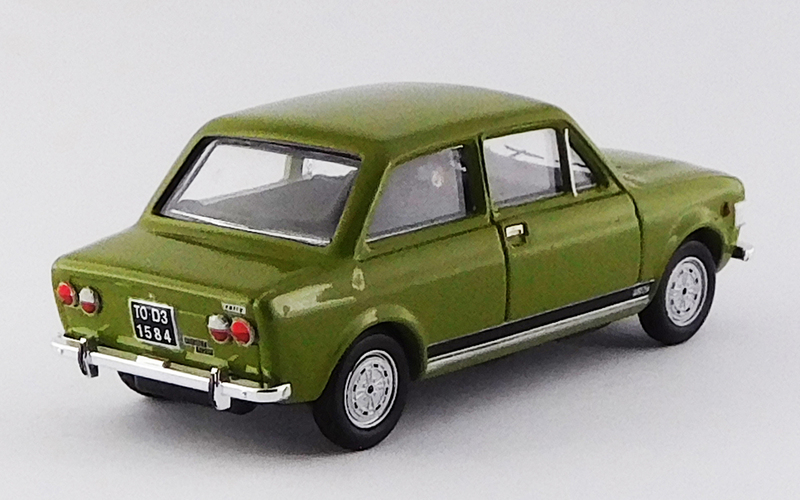 There is no printing to highlight the interior and no attempt is made to provide two tone upholstery. 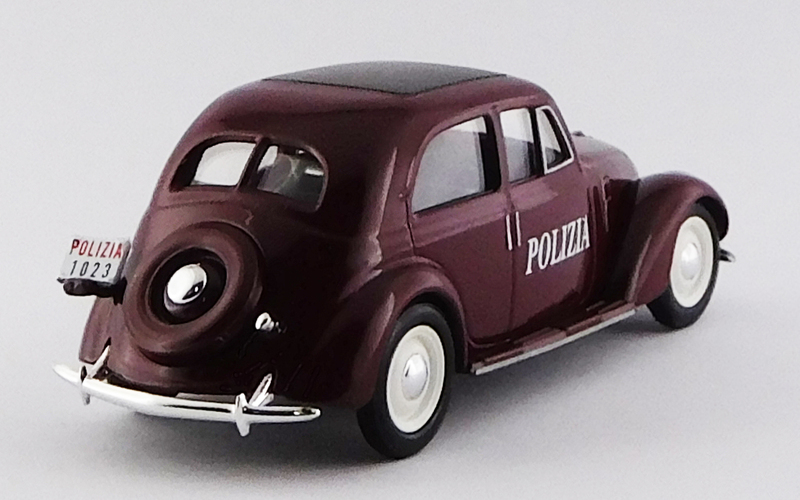 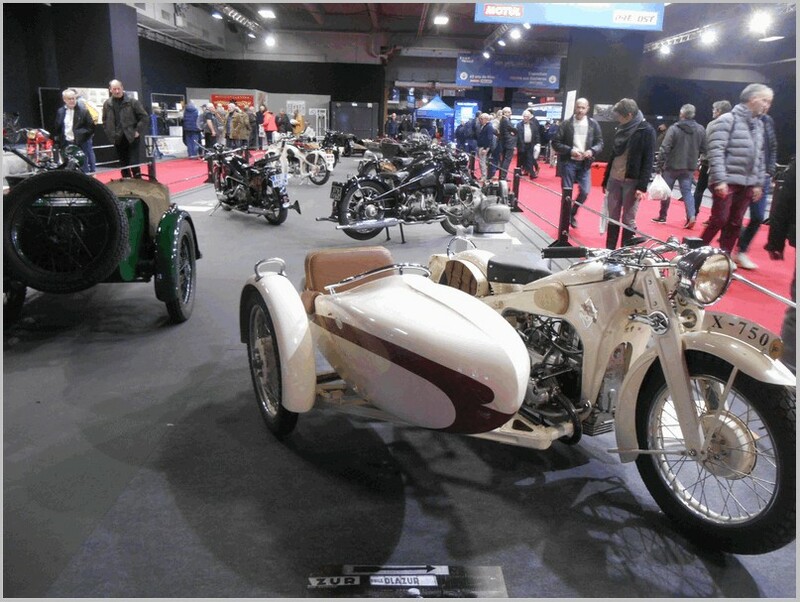 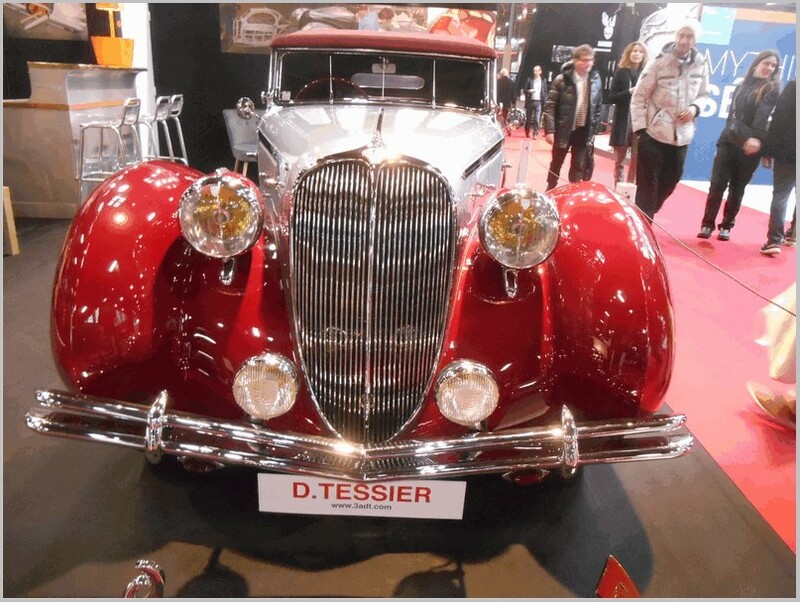 Along the side the wing mirrors are beautifully moulded and the alloy wheels well captured down to the small Lancia roundel printed in the centre. 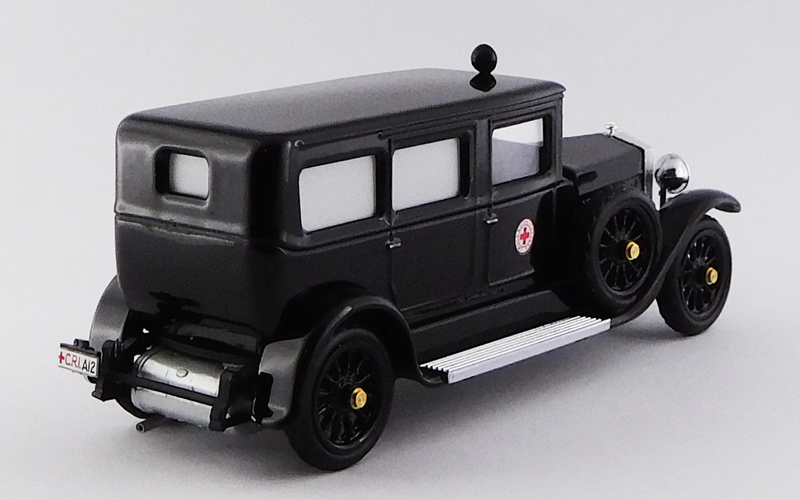 The black window surrounds and pillars are nicely done, printed on the plastic glazing insert. 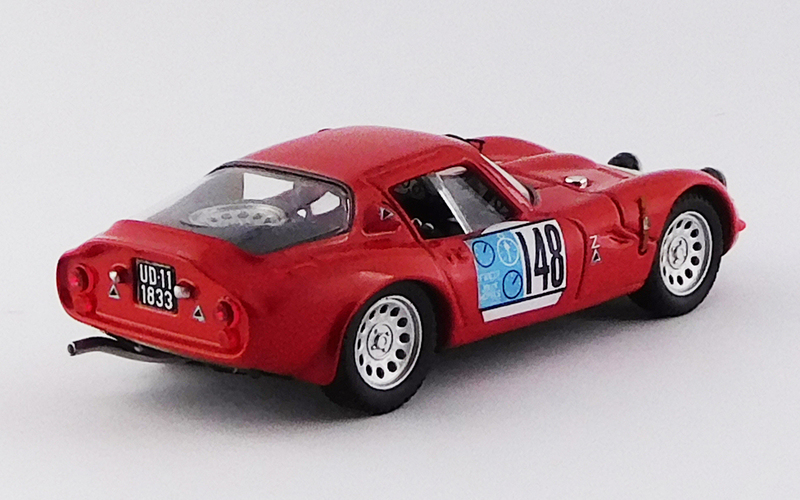 The momo DESIGN logo is neatly printed on the B pillar. 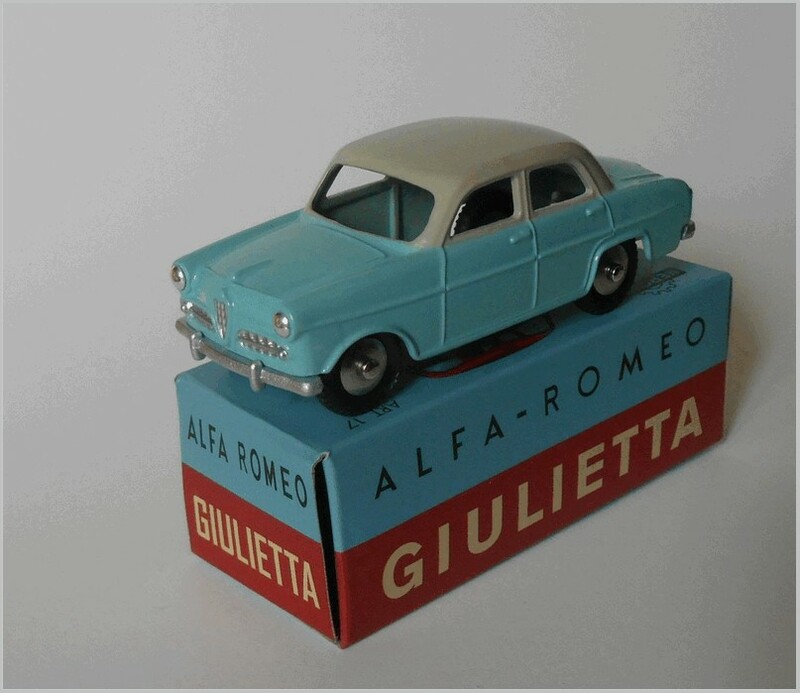 The door handles are moulded into the casting but with undercutting giving them a realistic shape. 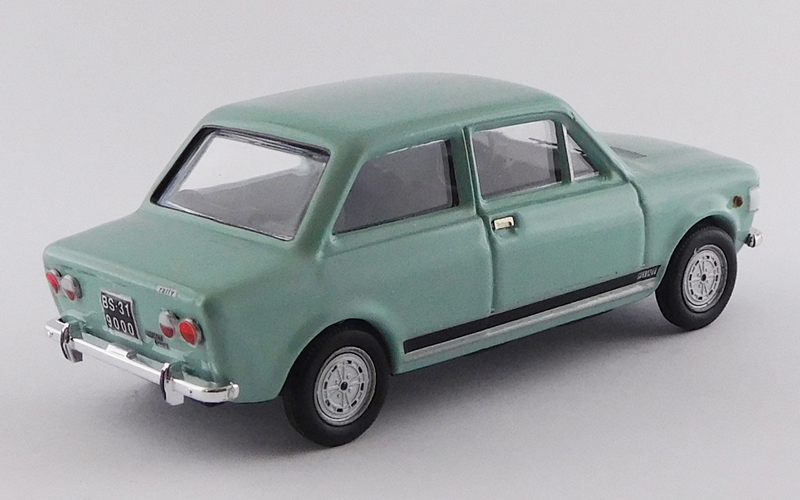 The anthracite coloured silk effect roof and rear hatch is painted really effectively and the roof has the typical Fiat group small aerial to the rear. 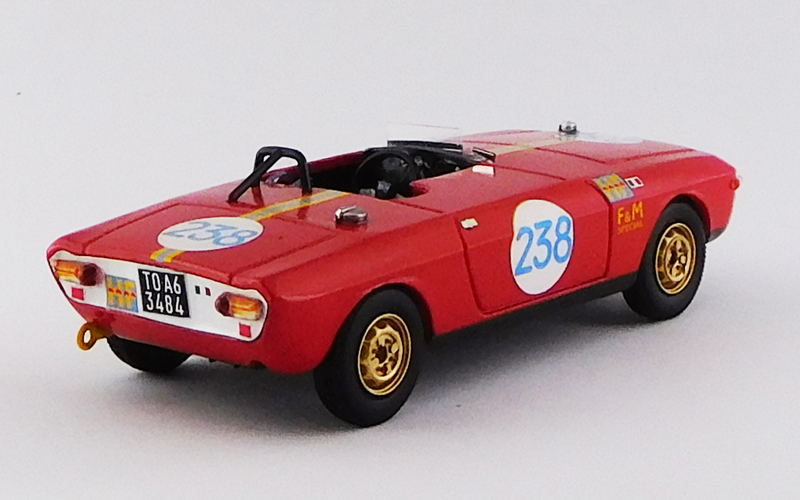 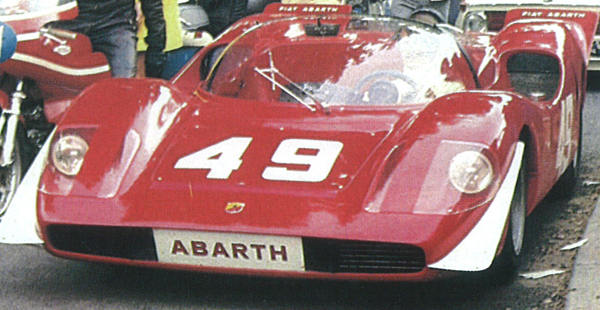 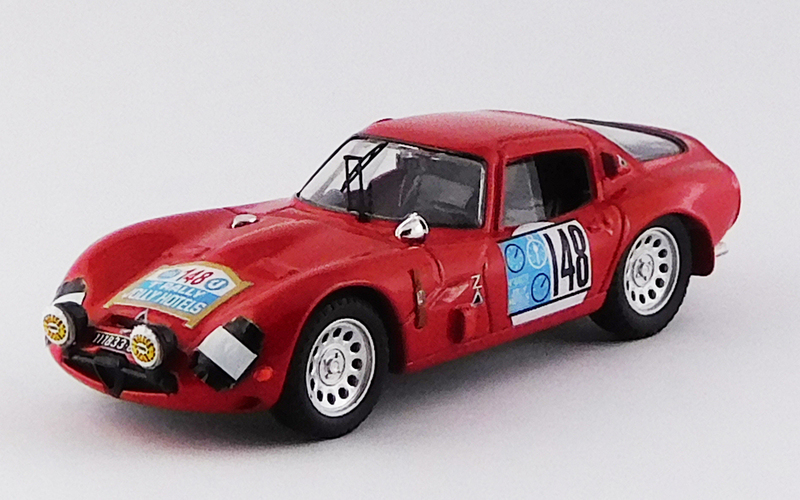 At the rear the high level brake light, number plate and Lancia badging is all printed finely. 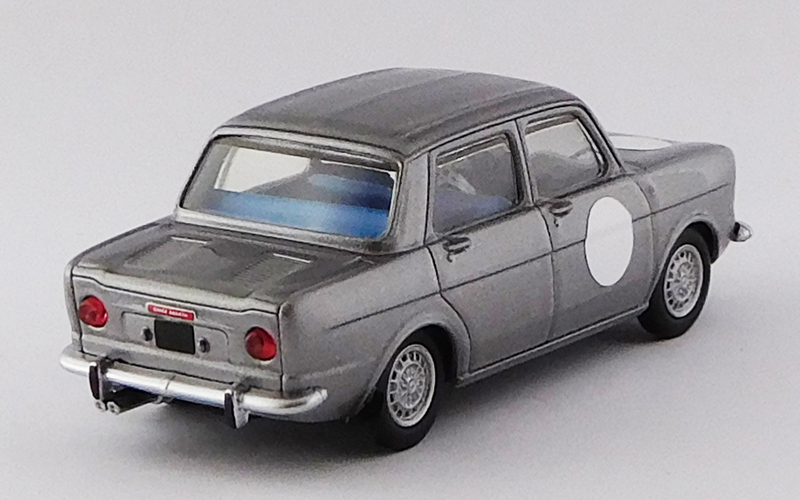 The rear lights are separately inserted and all painted the correct colours on the reverse. 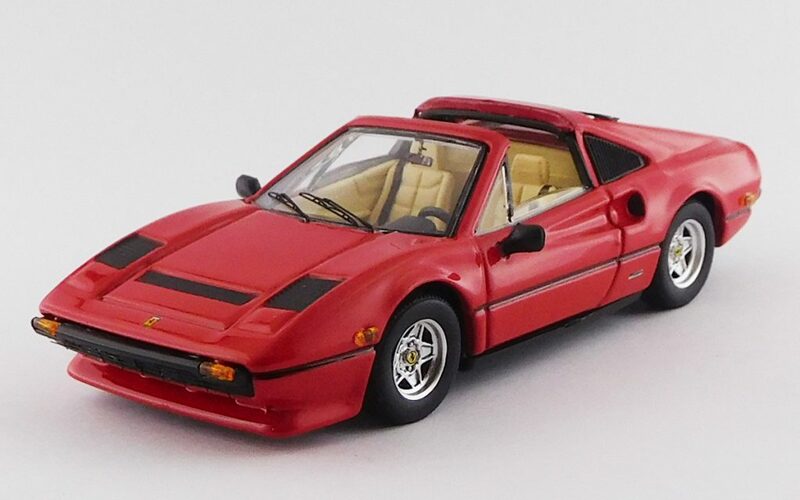 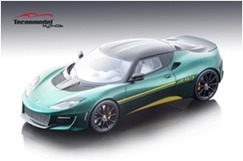 Altogether an excellent budget model of an interesting car. 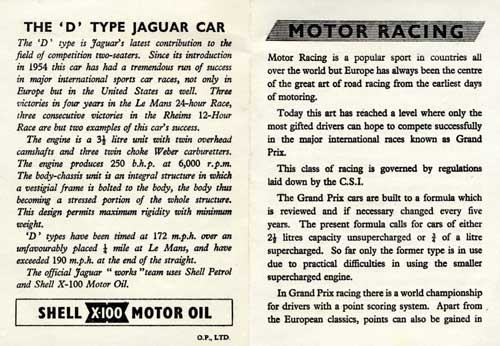 All text by, and copyright of, the Author. 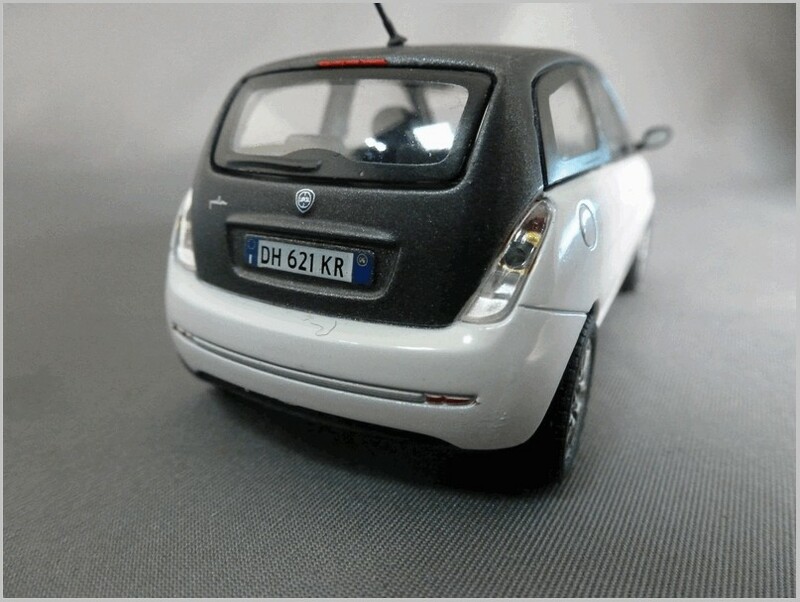 Photographs from the manufacturer unless otherwise stated. 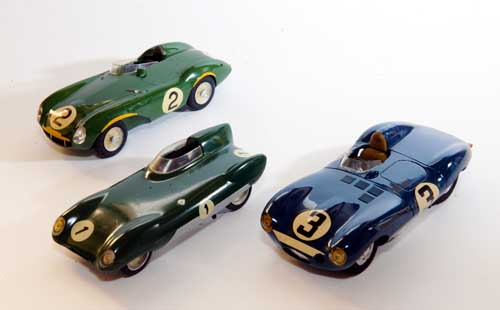 The models shown below should all have been released by the time this article is published. 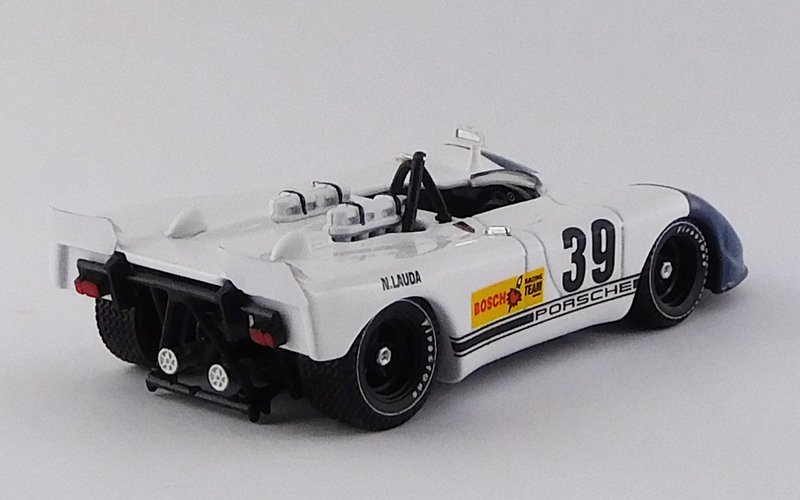 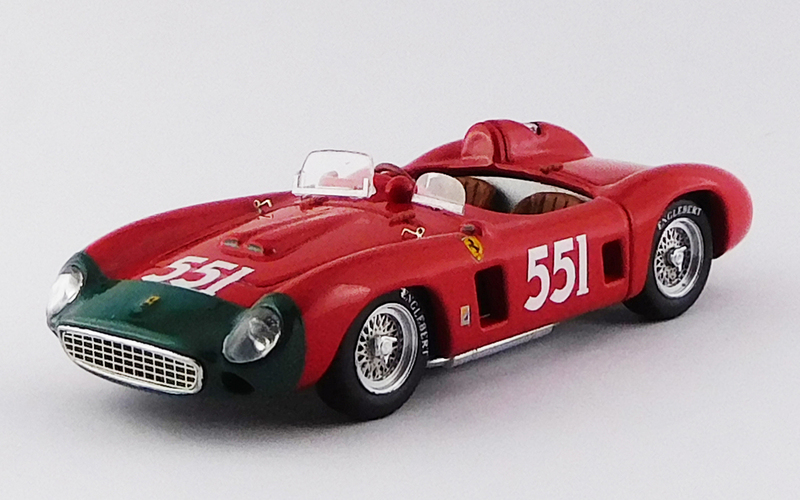 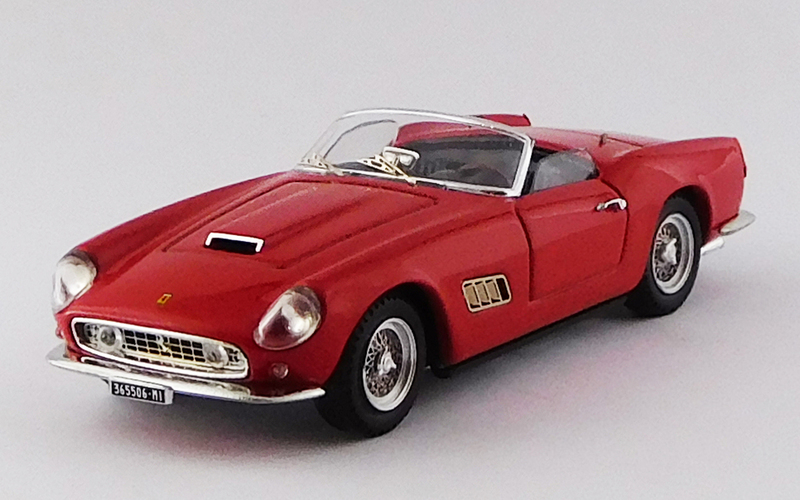 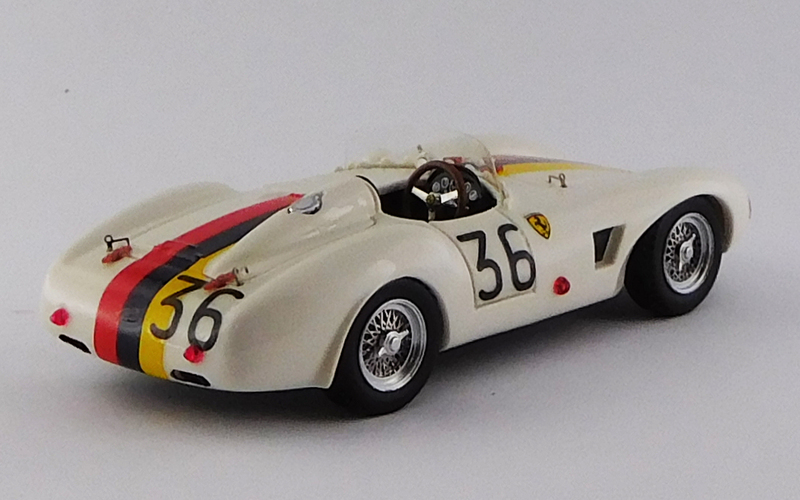 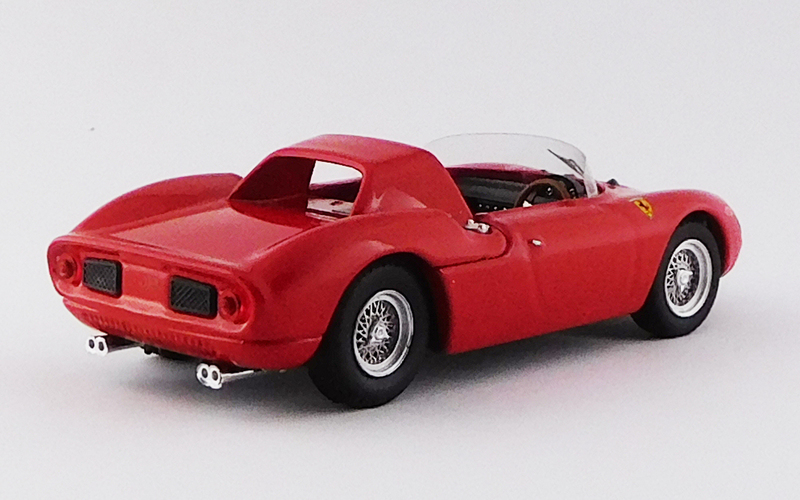 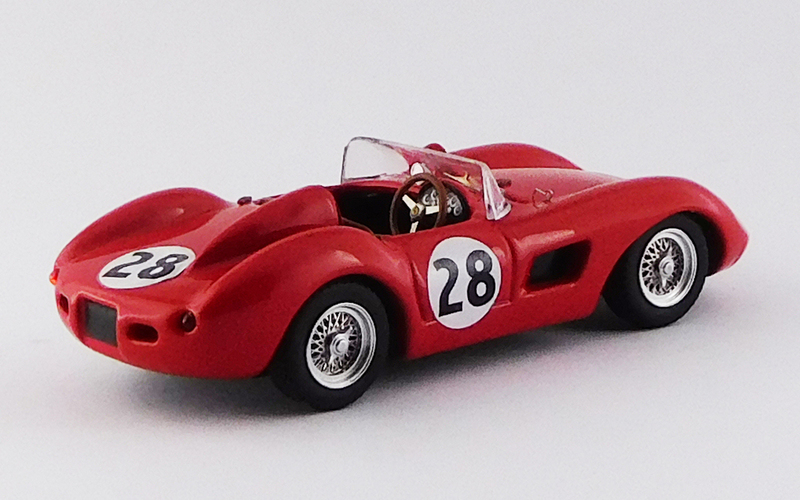 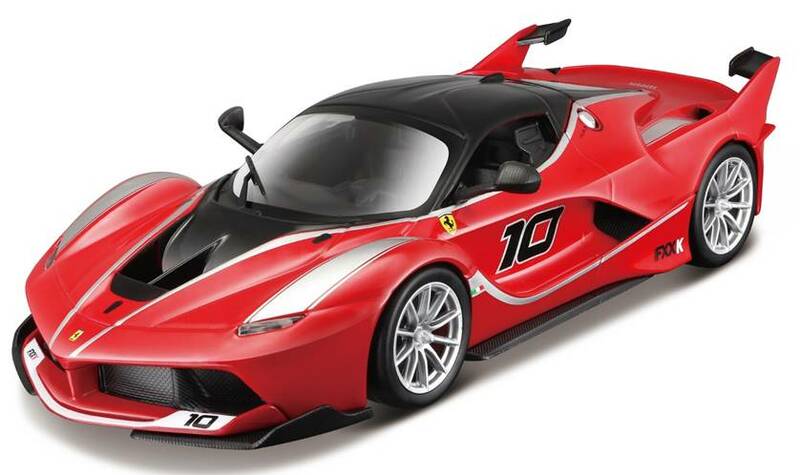 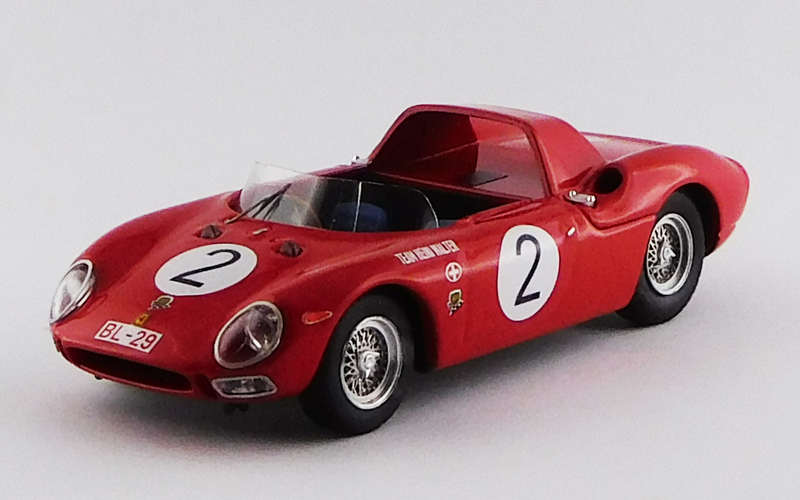 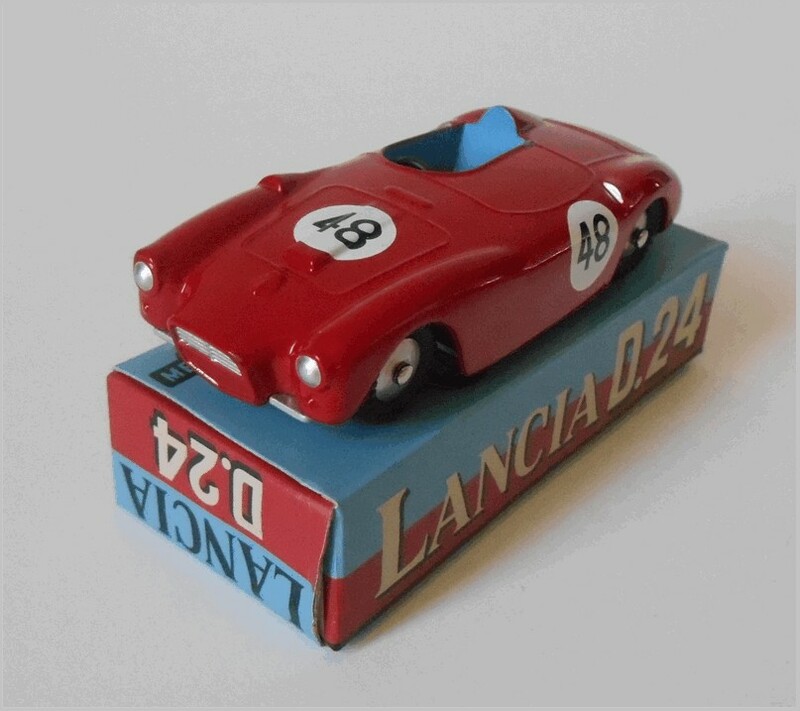 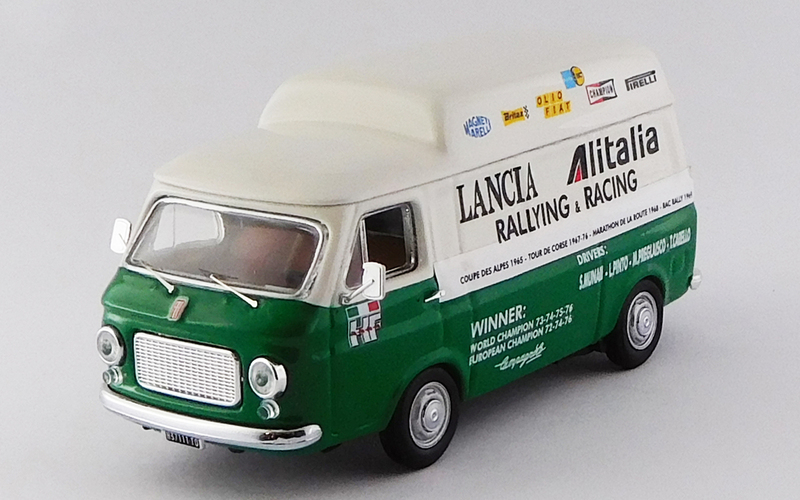 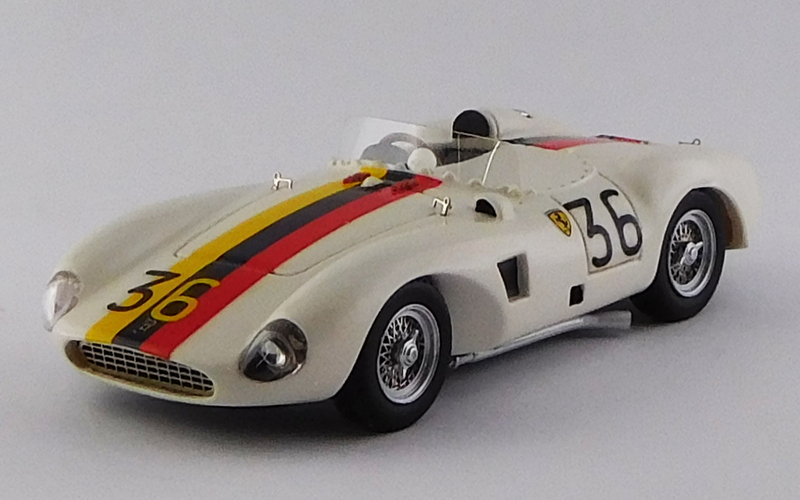 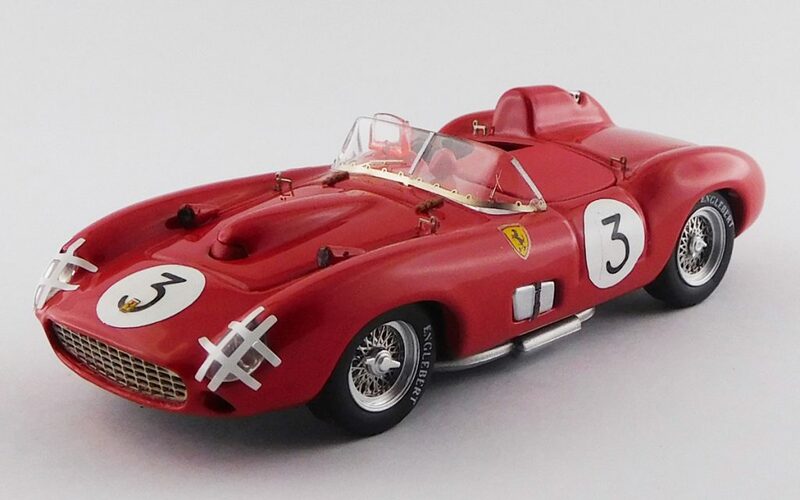 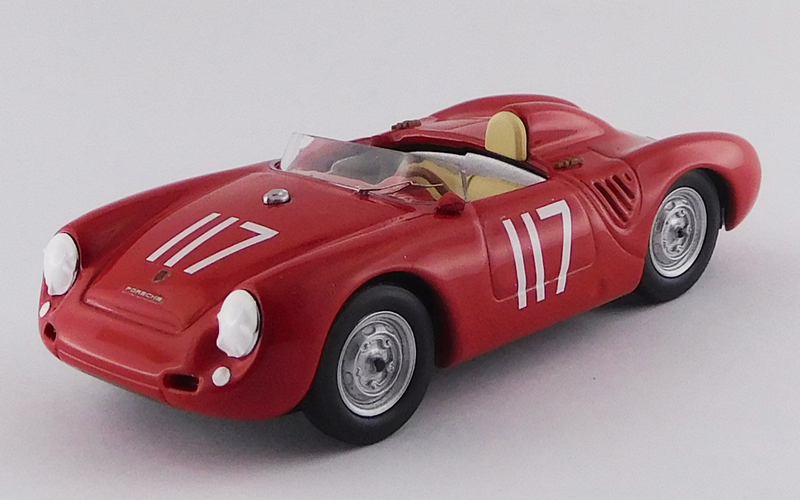 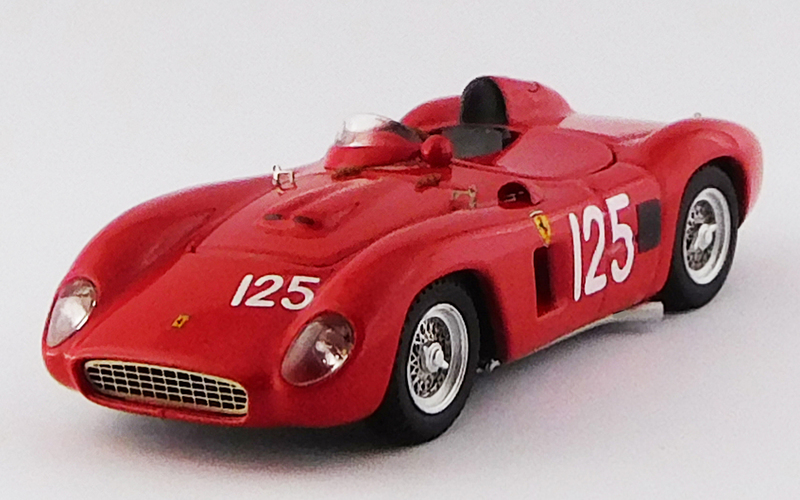 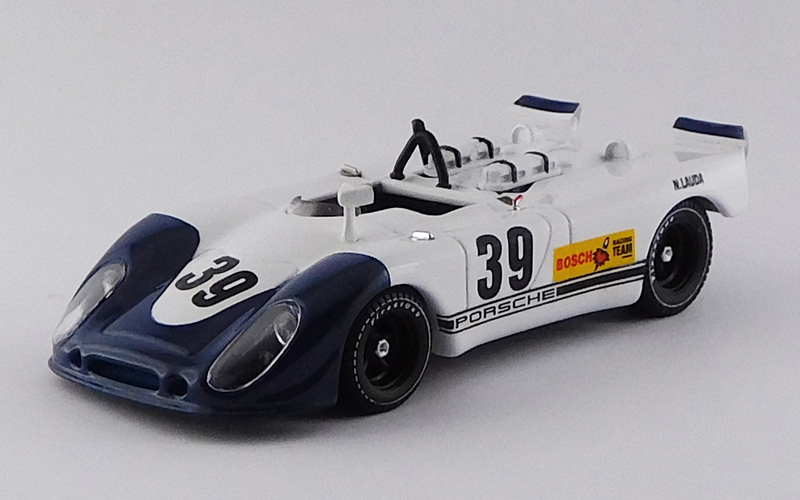 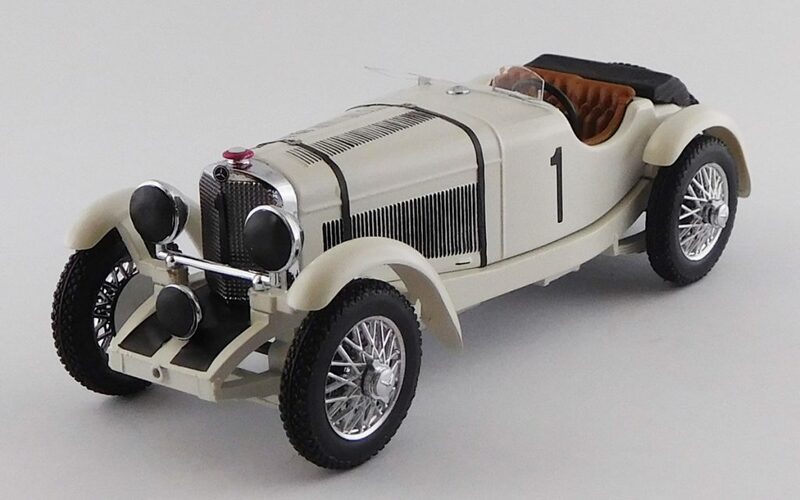 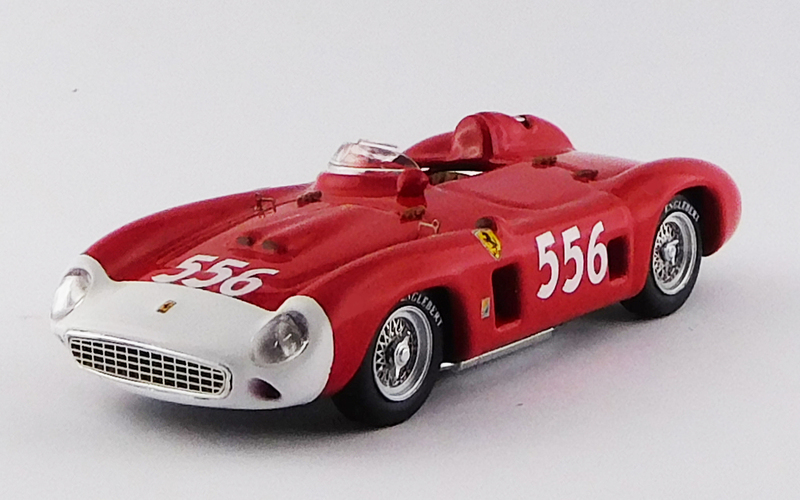 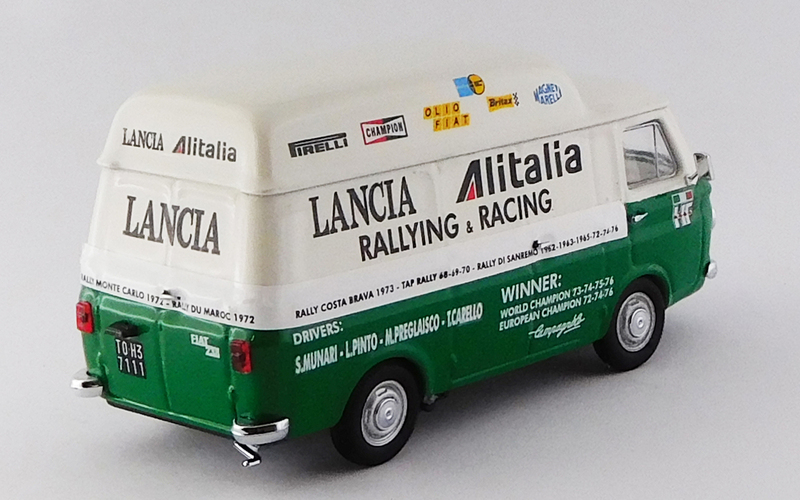 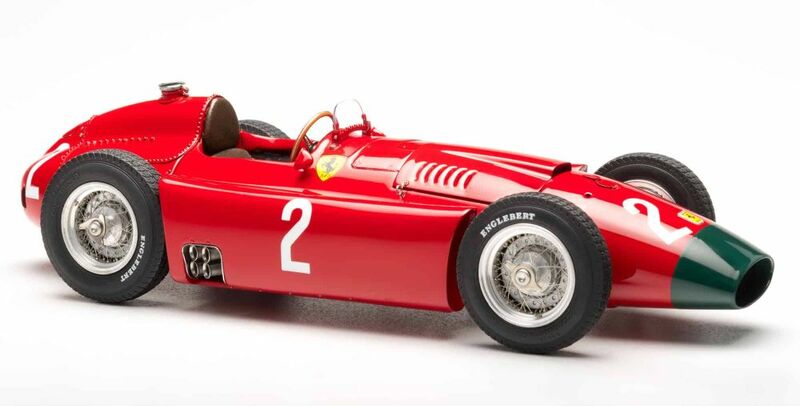 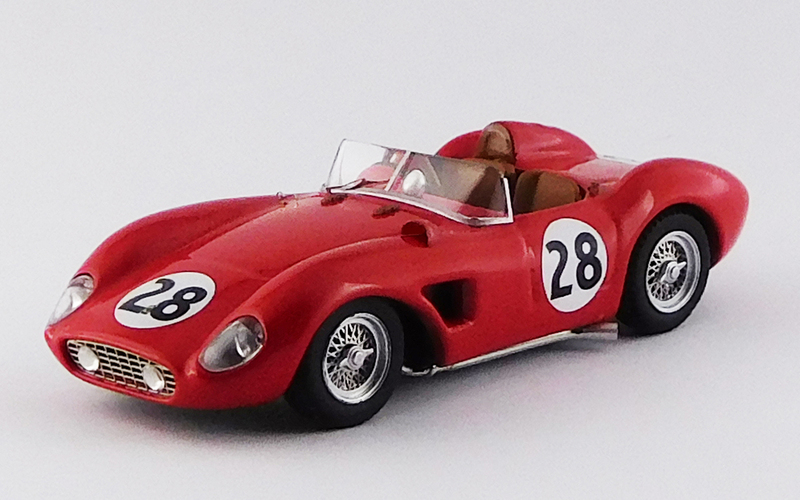 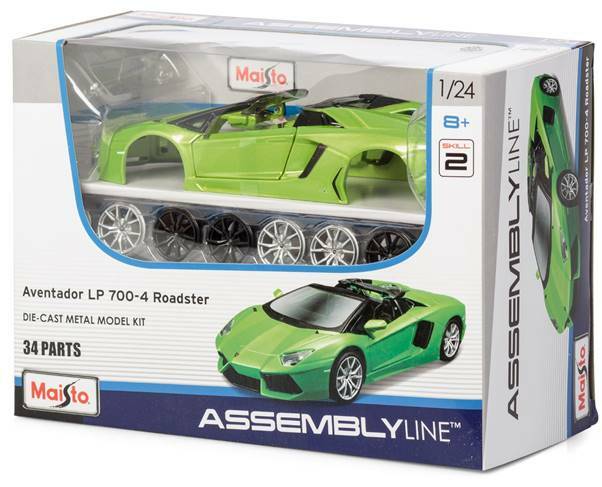 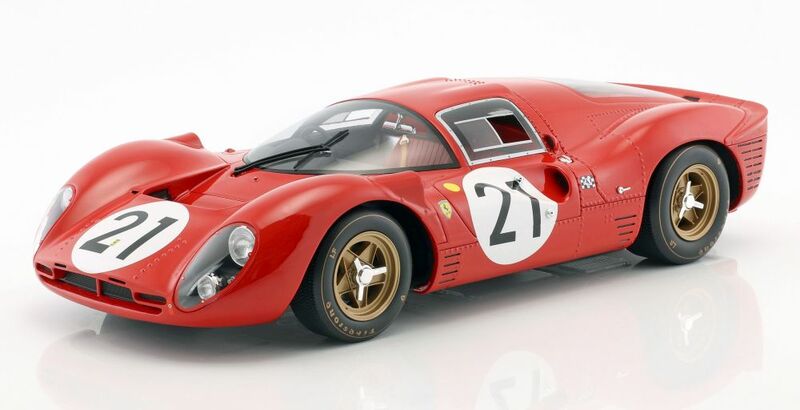 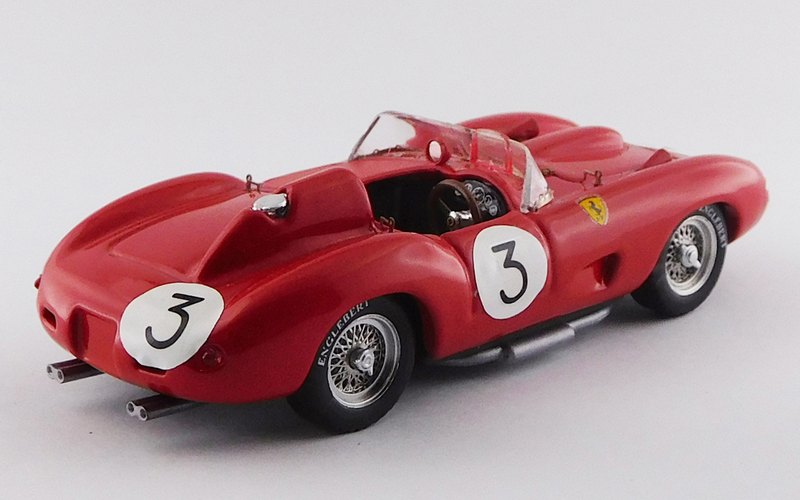 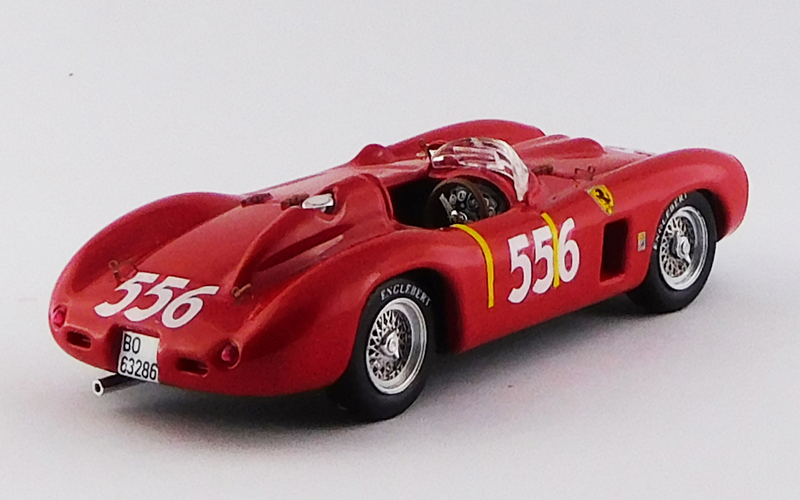 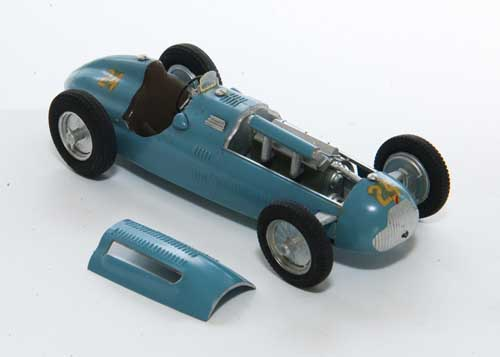 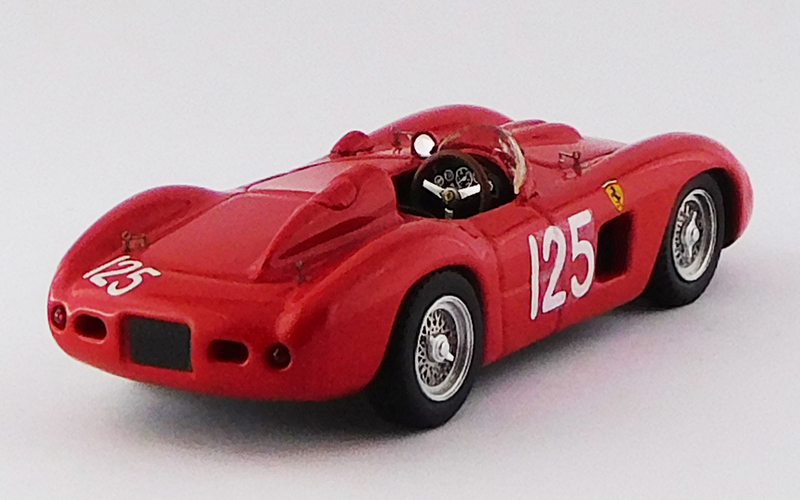 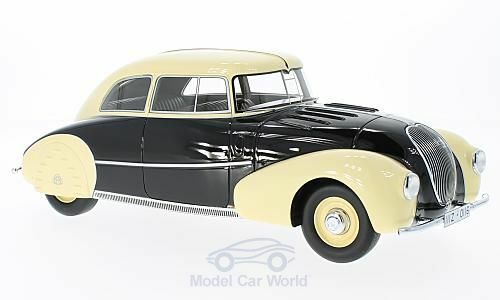 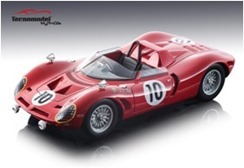 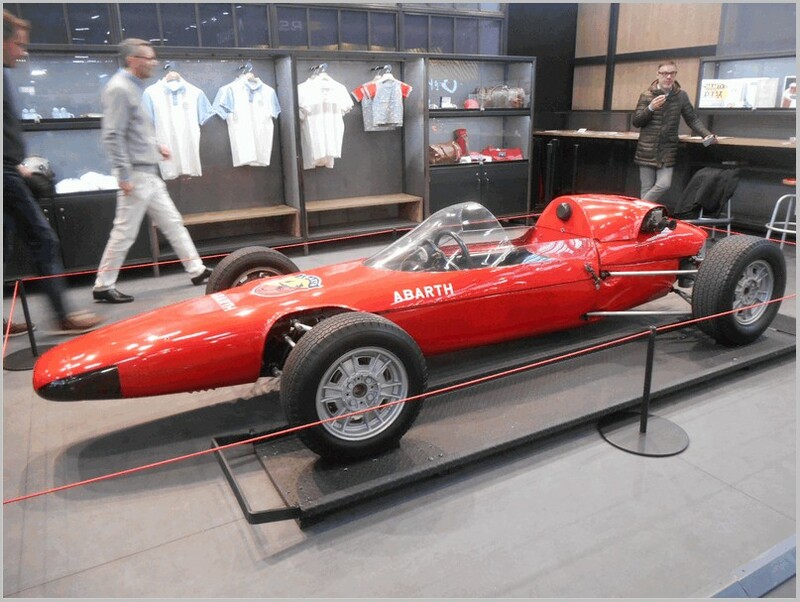 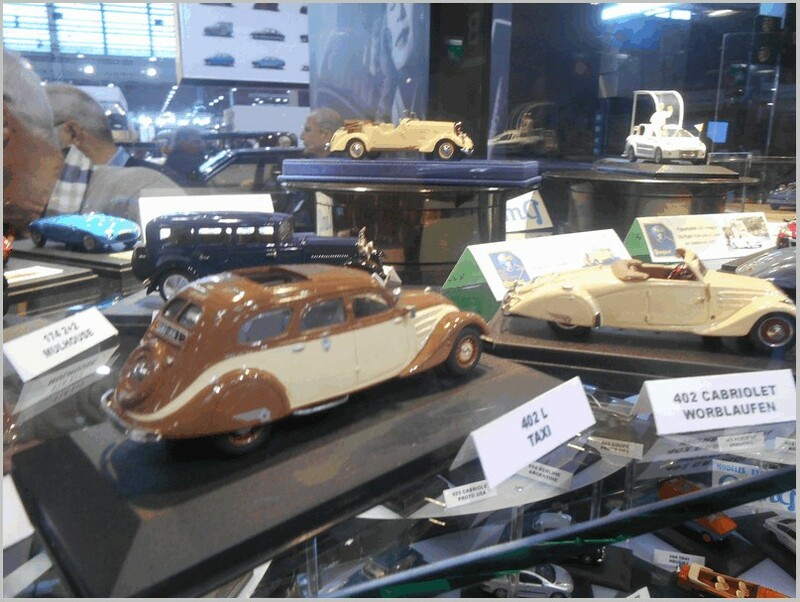 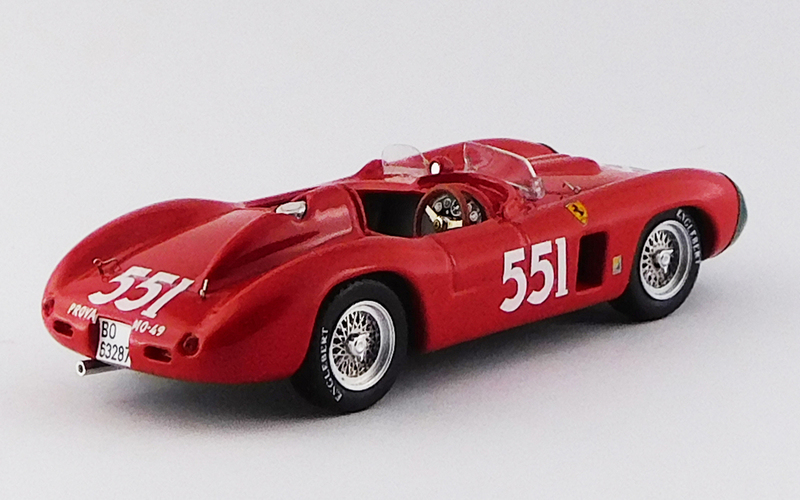 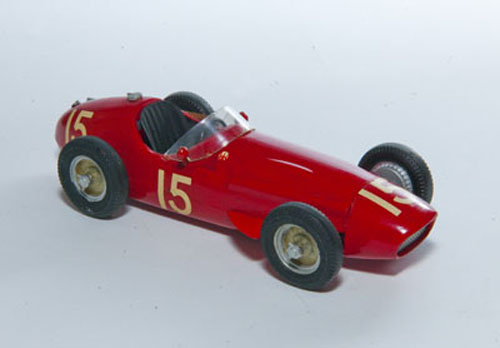 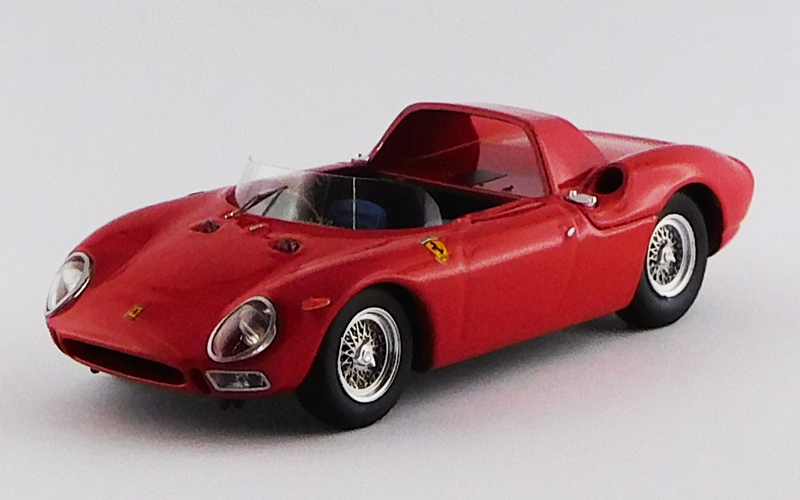 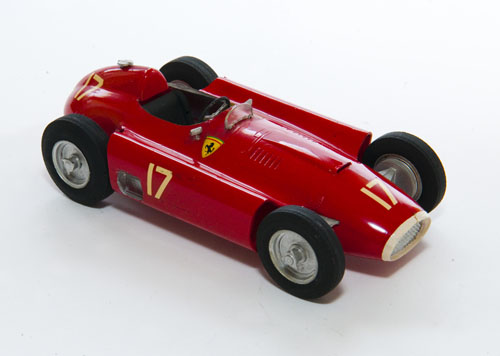 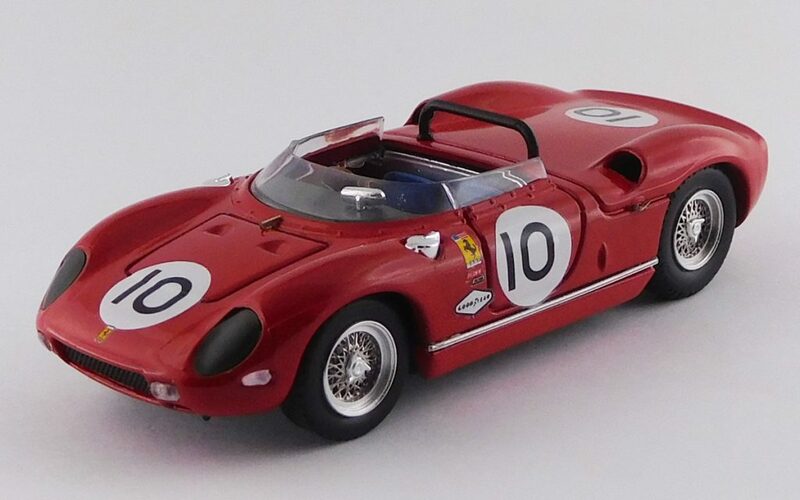 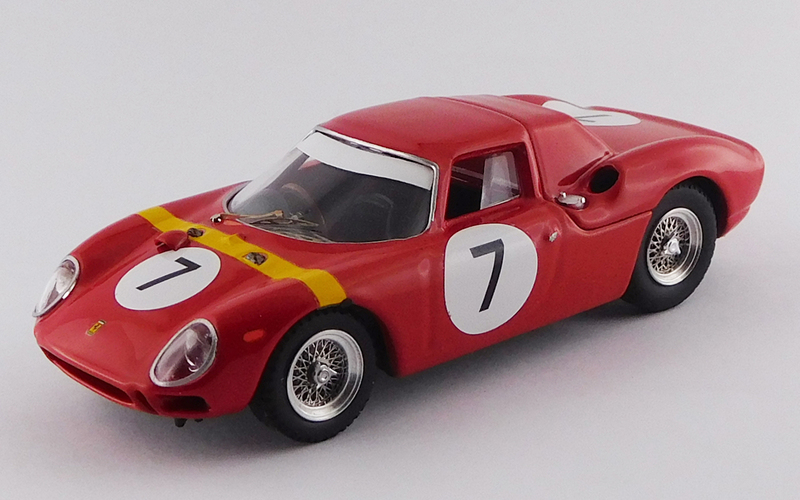 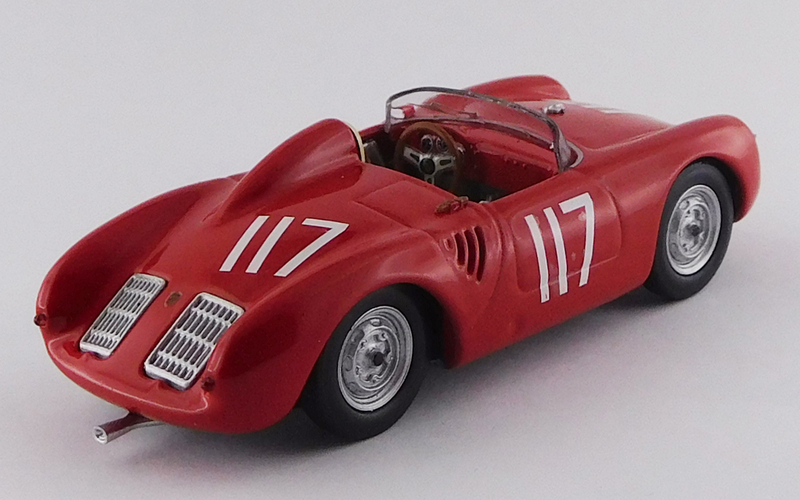 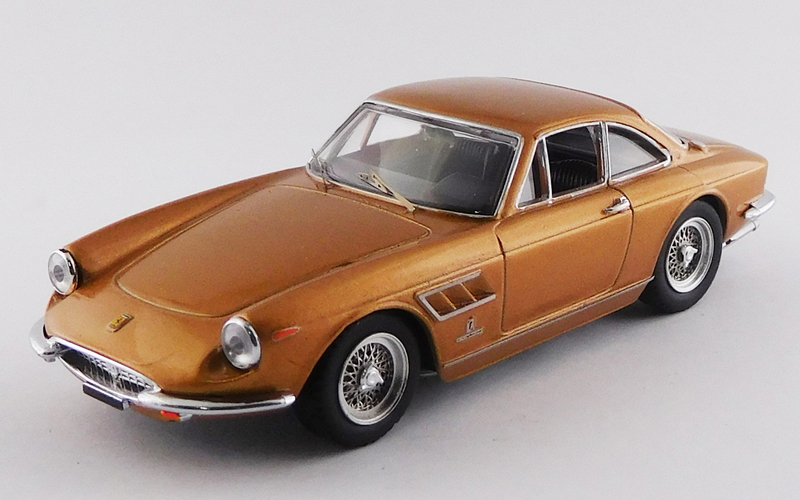 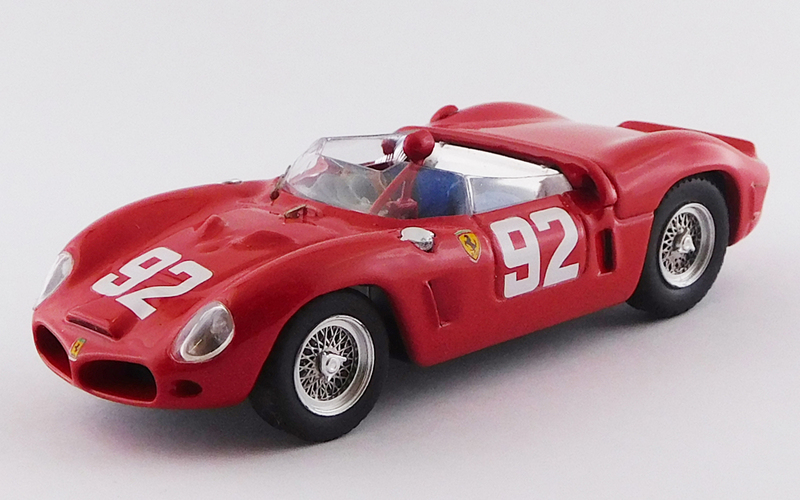 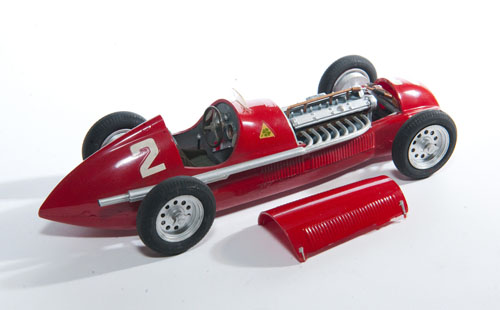 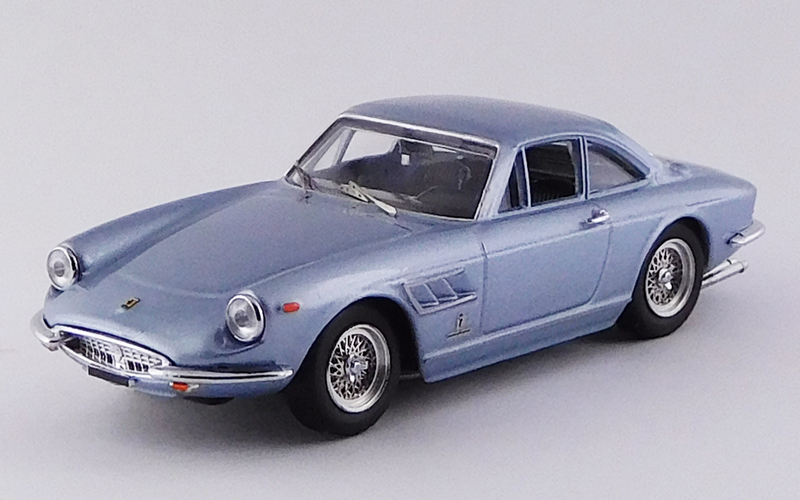 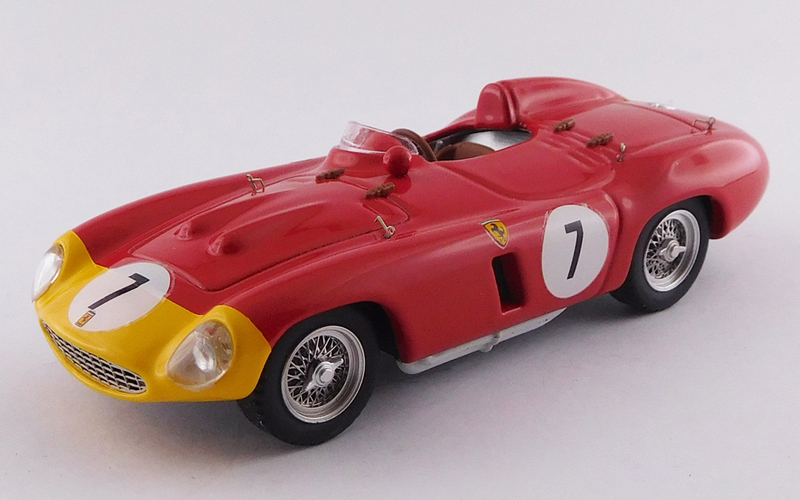 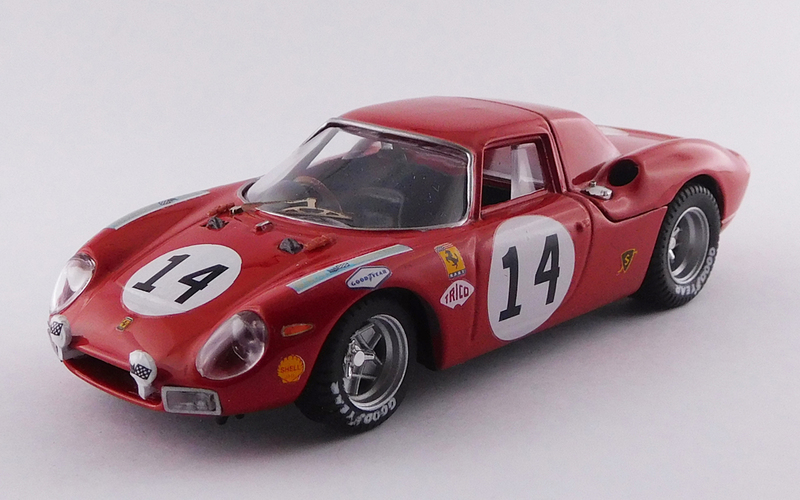 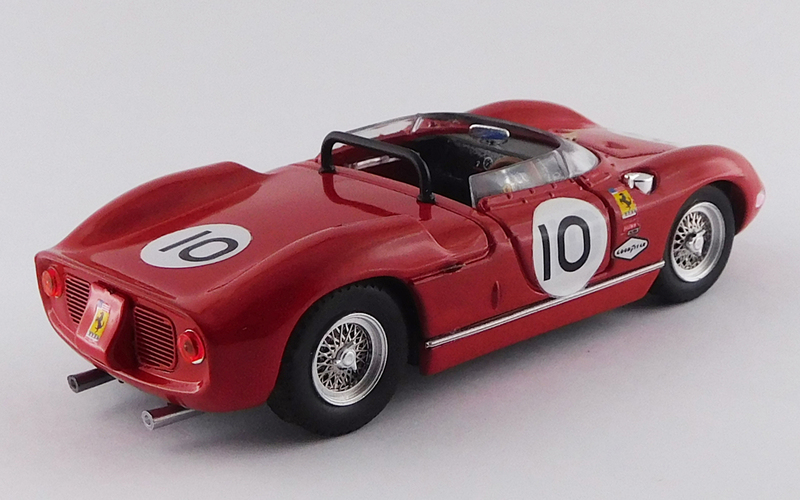 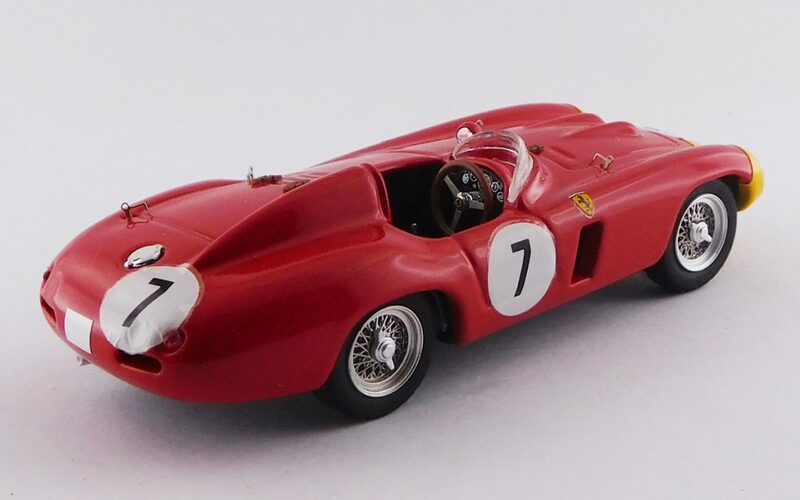 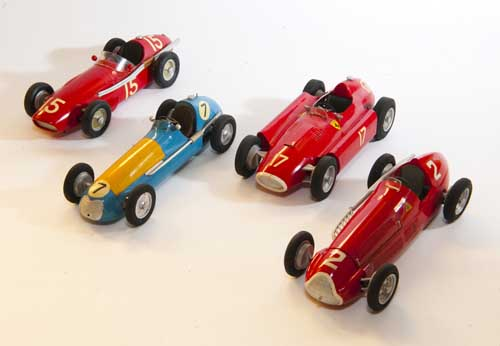 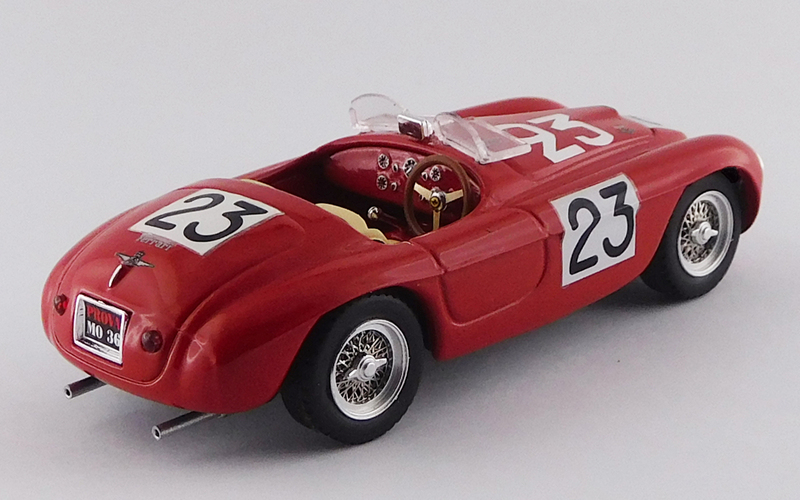 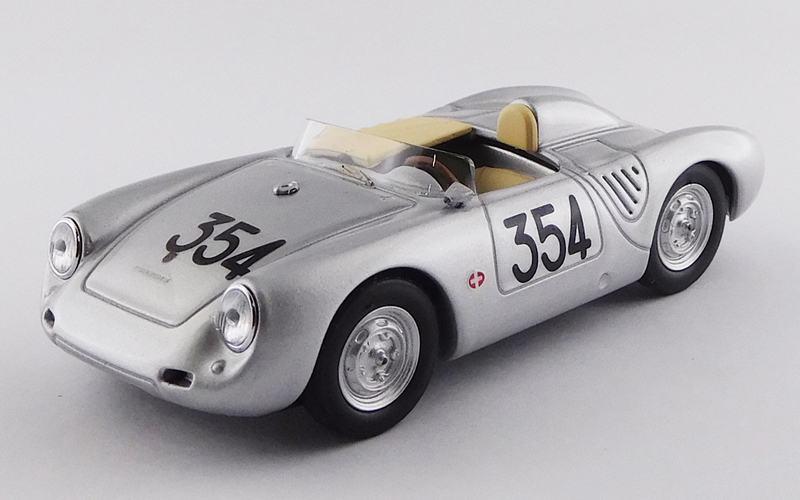 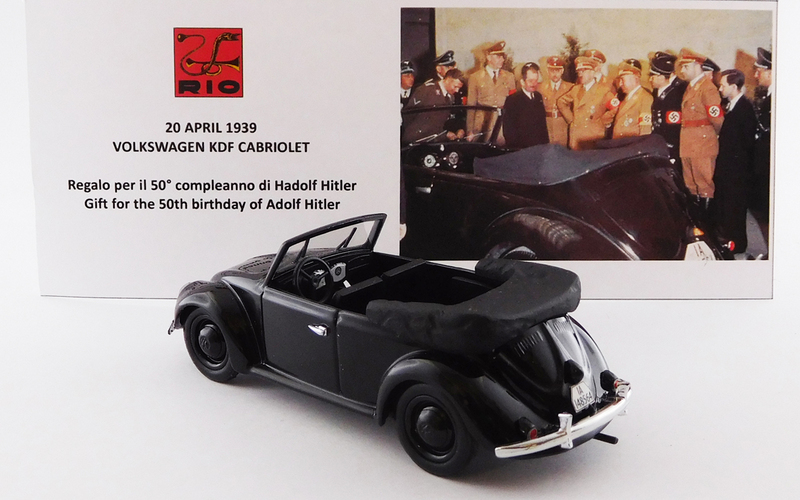 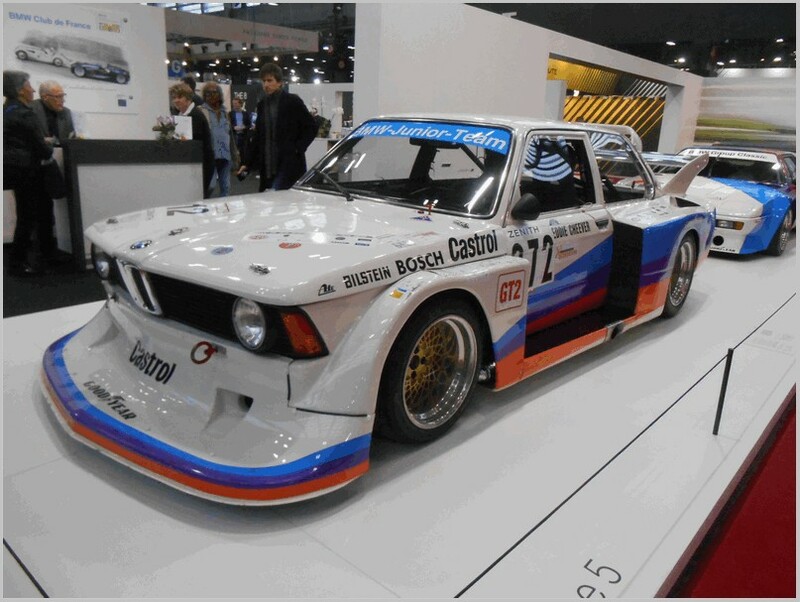 All the models shown are diecast unless stated otherwise and are made to 1:43 scale in Italy. 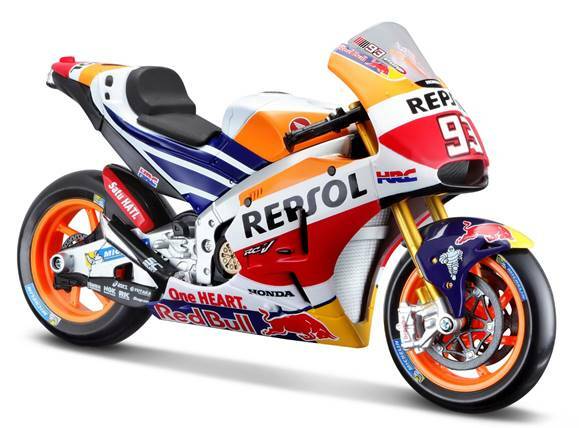 Its hard to believe but they don’t learn from others. 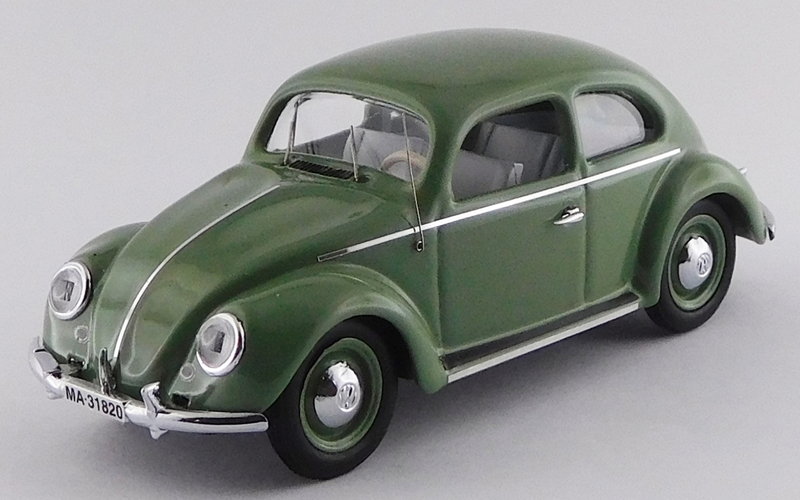 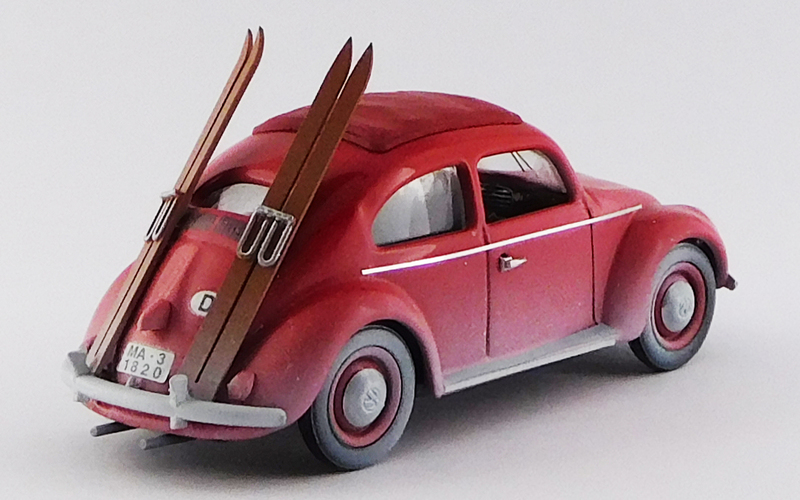 Yet again the two Beetle models introduced this month have a number of faults. 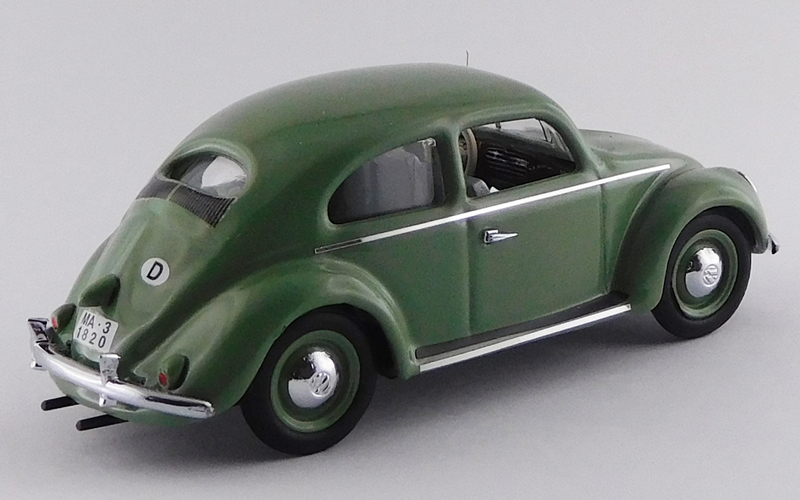 The oval rear window is right for 1953/1954, but the triangular ventilators in the front door are missing. 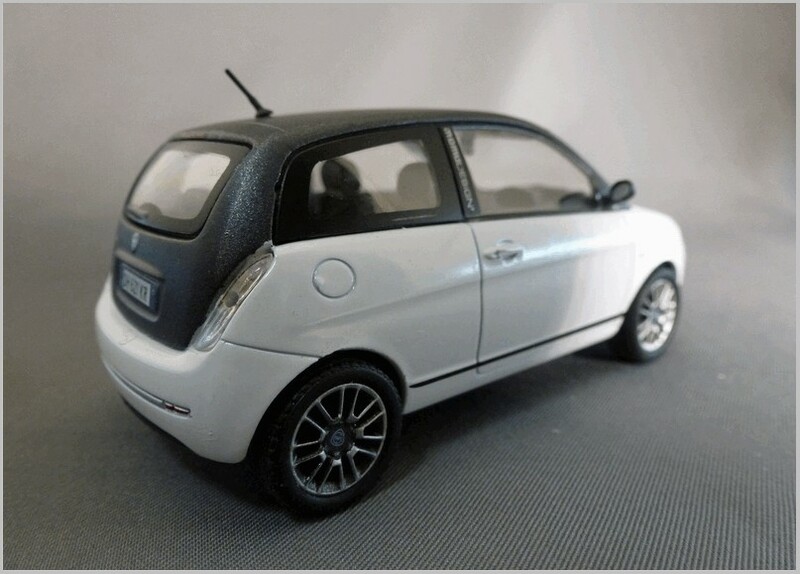 The small brake lights at the rear are also incorrect. 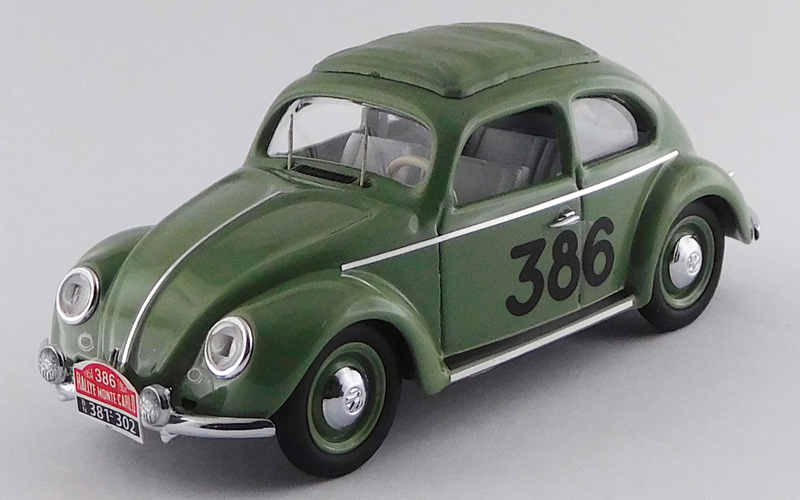 The bumpers are from a 1948 model, the twin exhaust pipes from 1956, and as a special “highlight” the air intake slots between the windscreen wipers were not introduced until 1968! 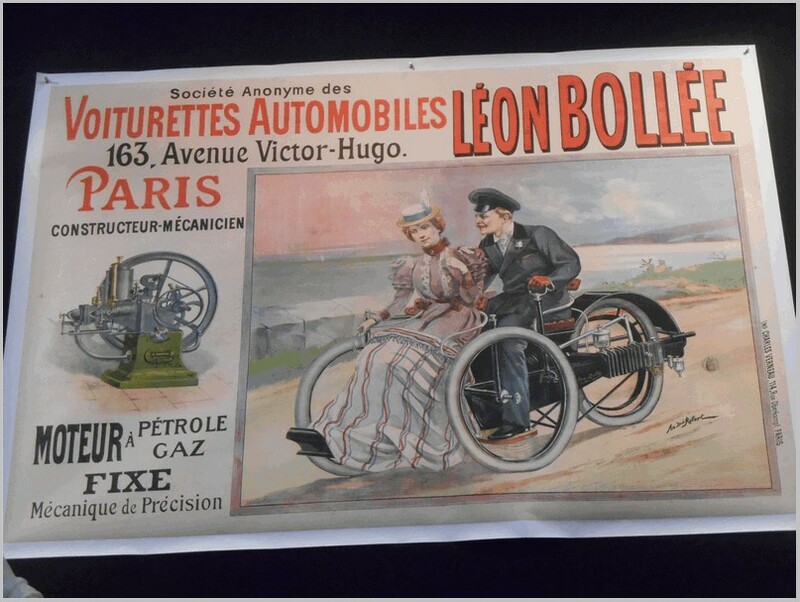 All photographs provided by the manufacturer. 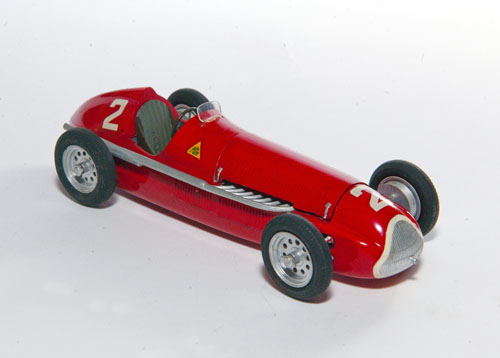 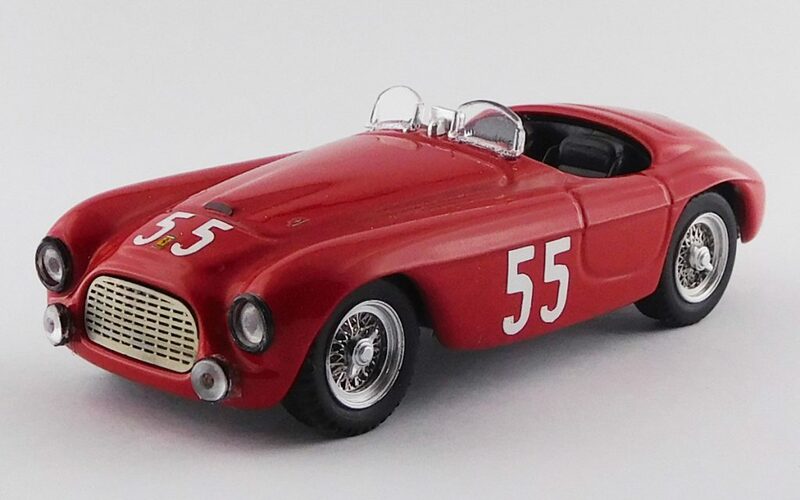 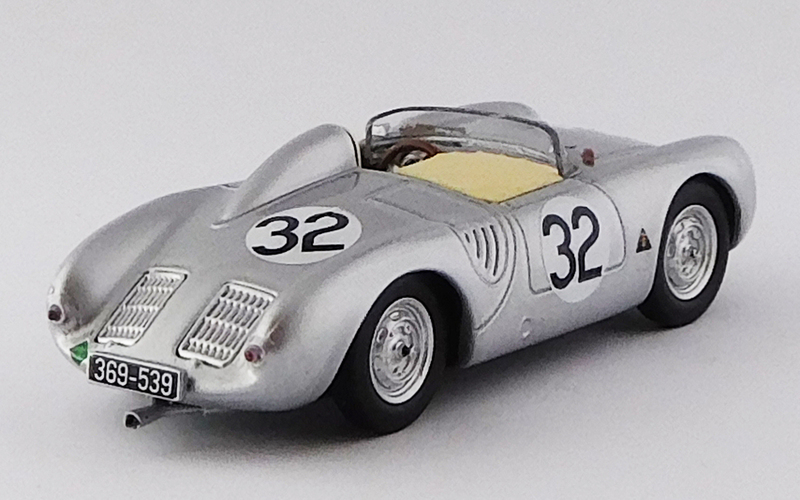 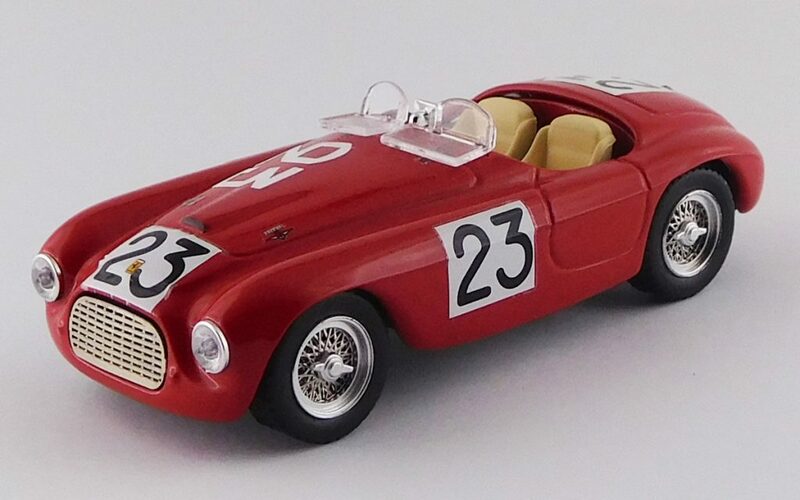 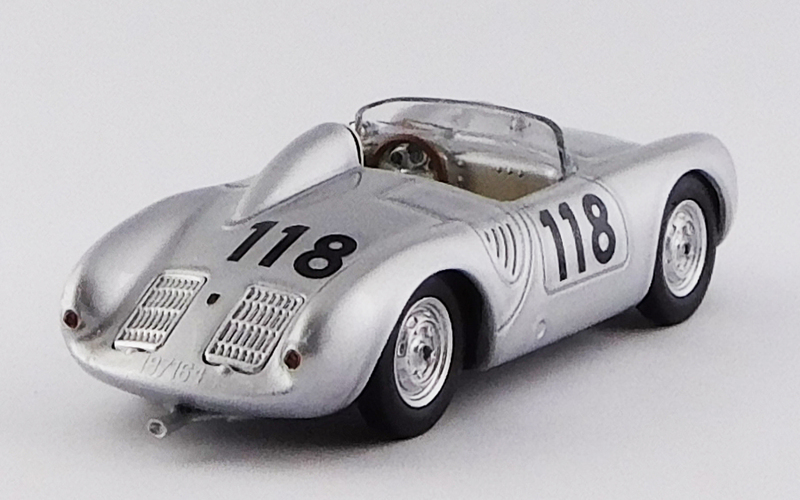 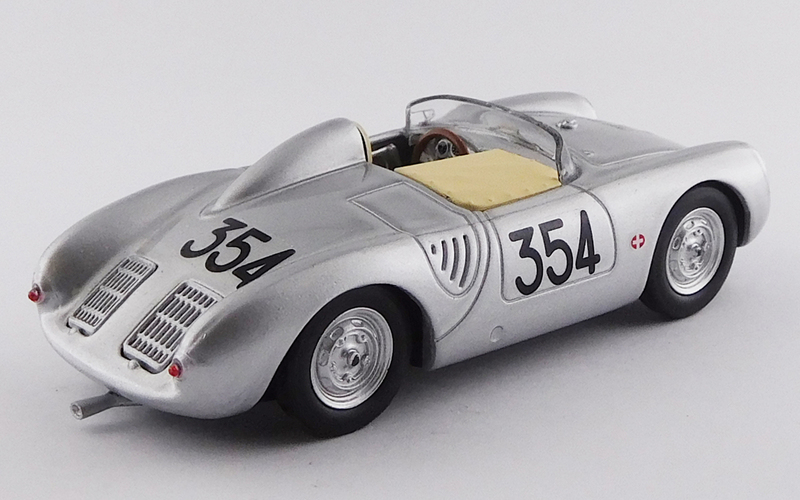 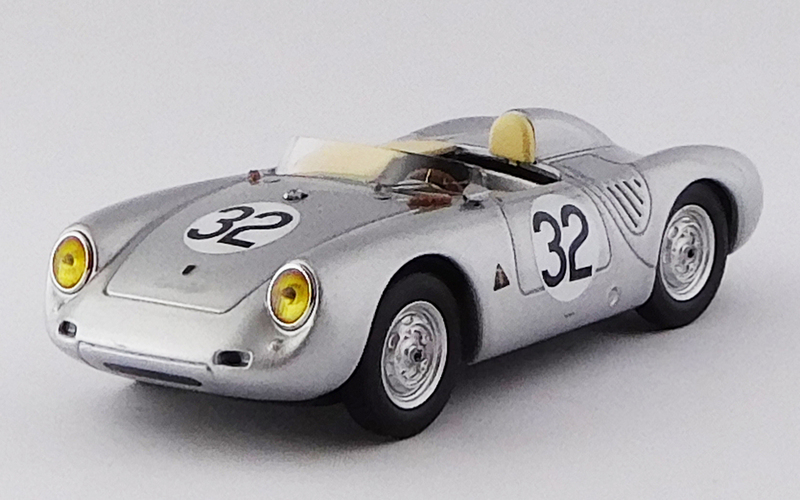 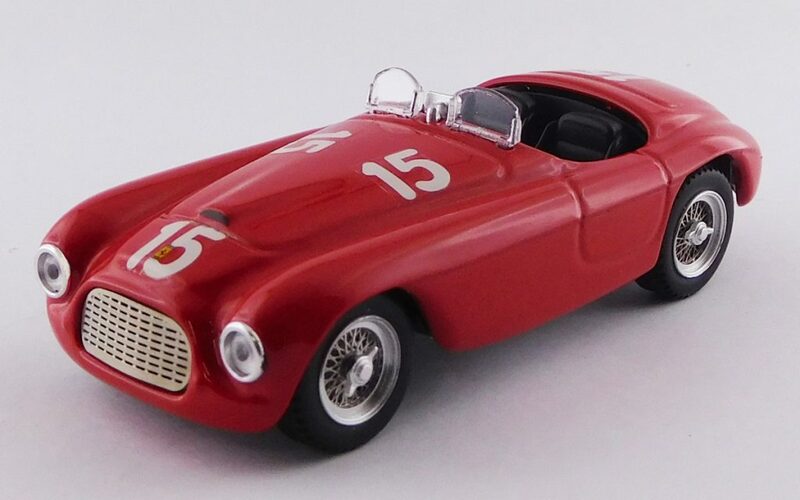 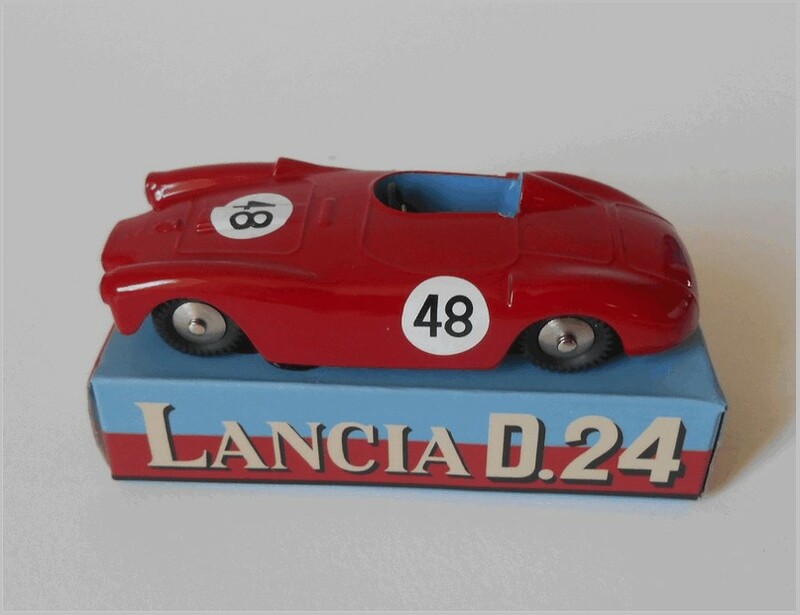 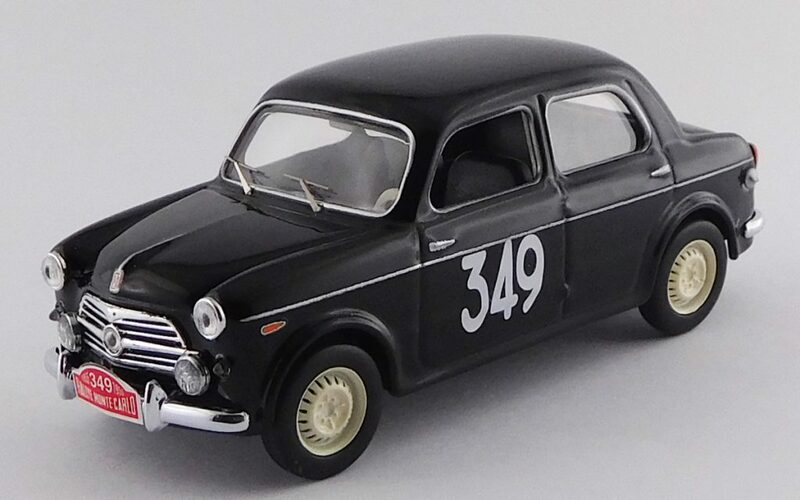 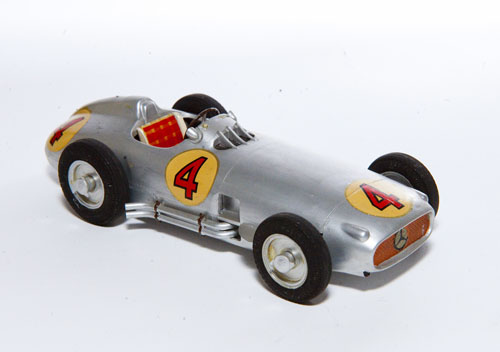 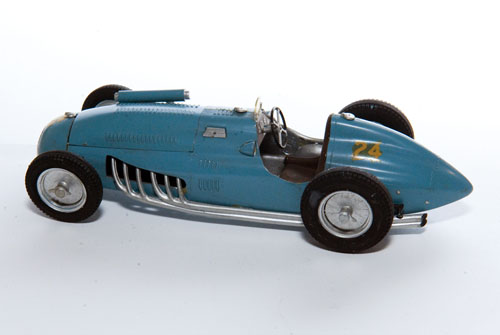 All the models listed below are made in diecast metal to 1:43 scale in Italy unless otherwise stated. 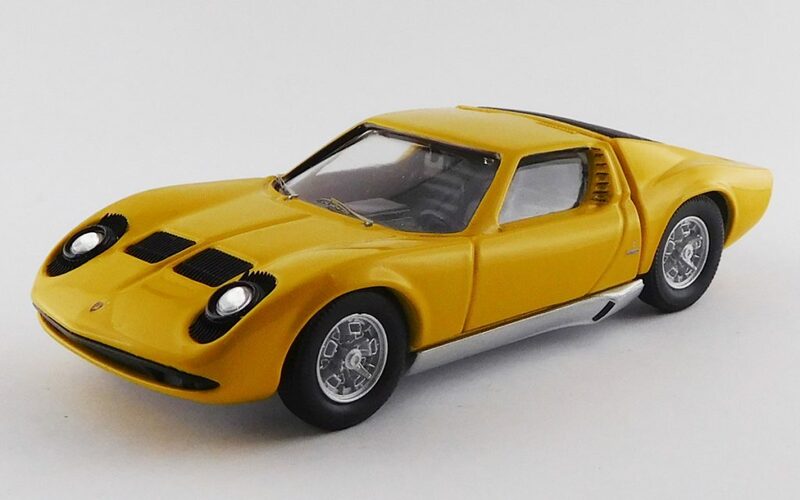 This is again a very strange looking model. 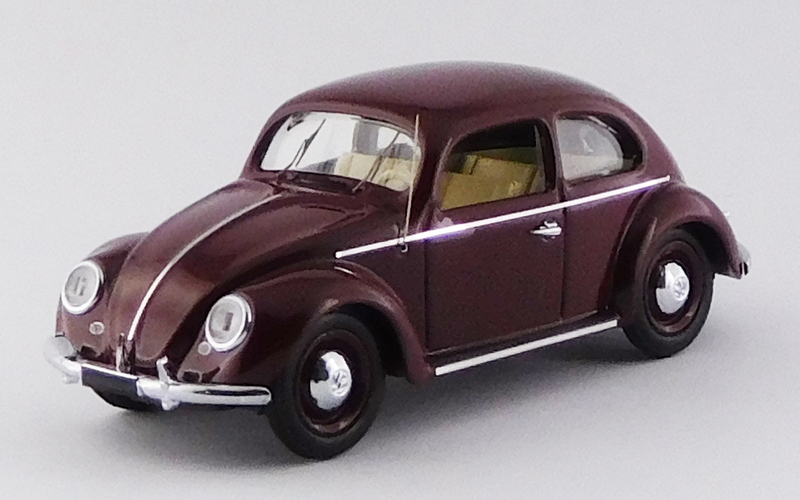 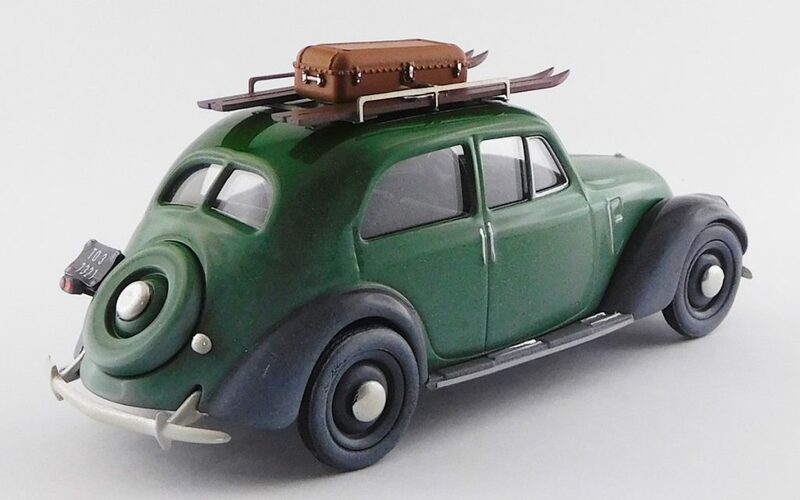 This Beetle has an oval rear window from 1953, but lacks the quarter lights in the doors and has the bumpers of a 1948 car. 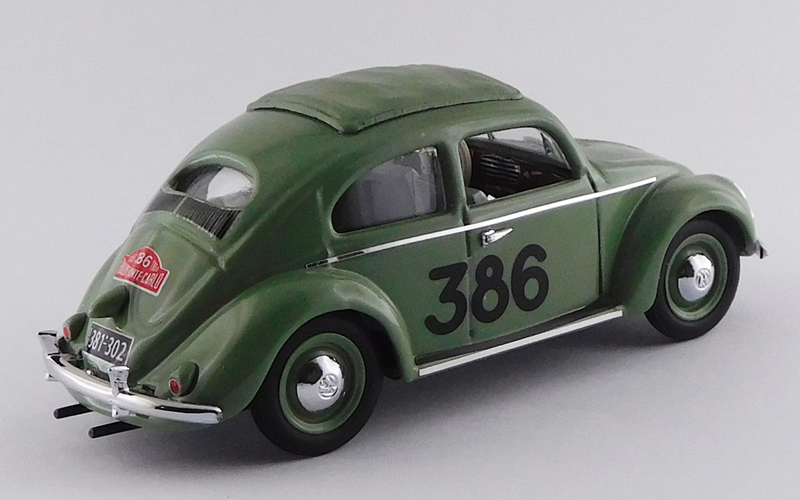 In between the windscreen wipers there are air intake slots like those fitted to the Beetle from 1968 onwards. 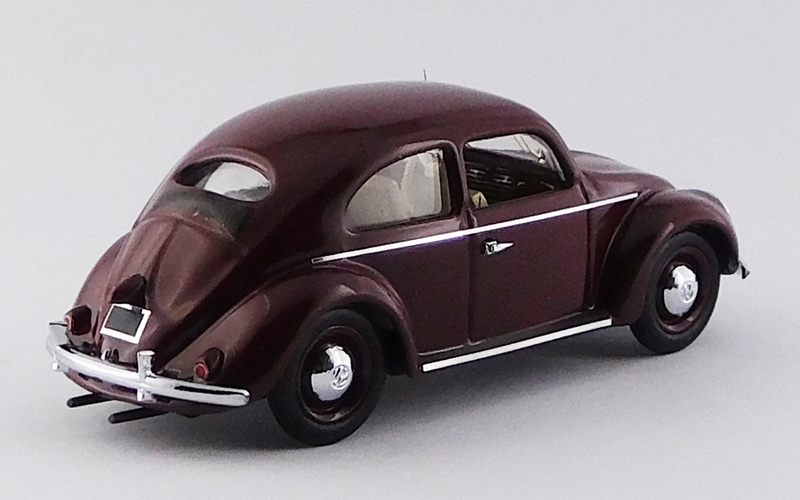 The rear lights are round, in original it were oval to this time. 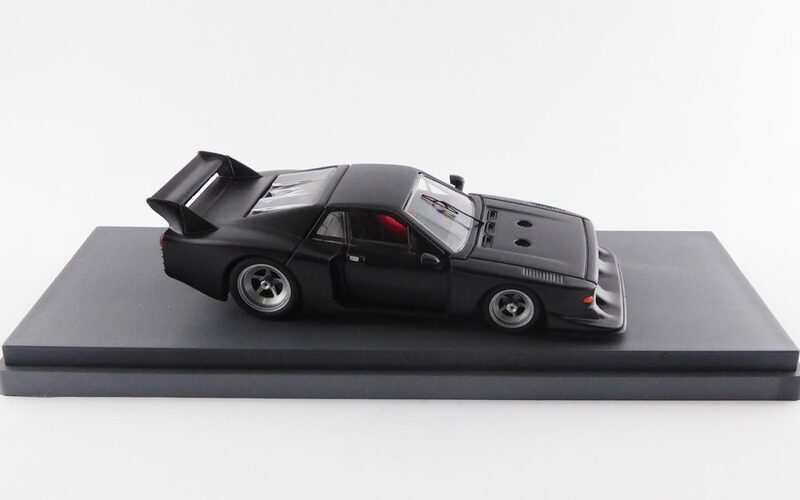 The model has been put together with no regard for accuracy. 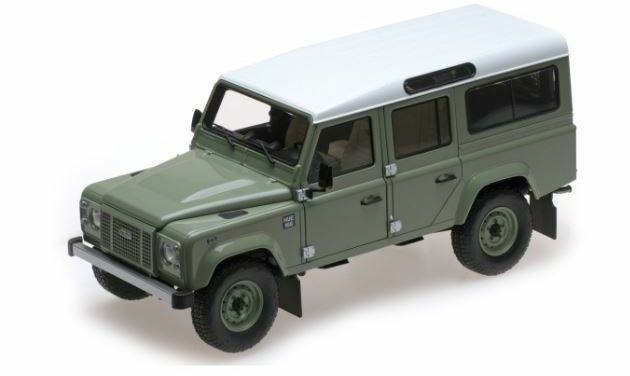 Once again a very strange looking model and unauthentic. 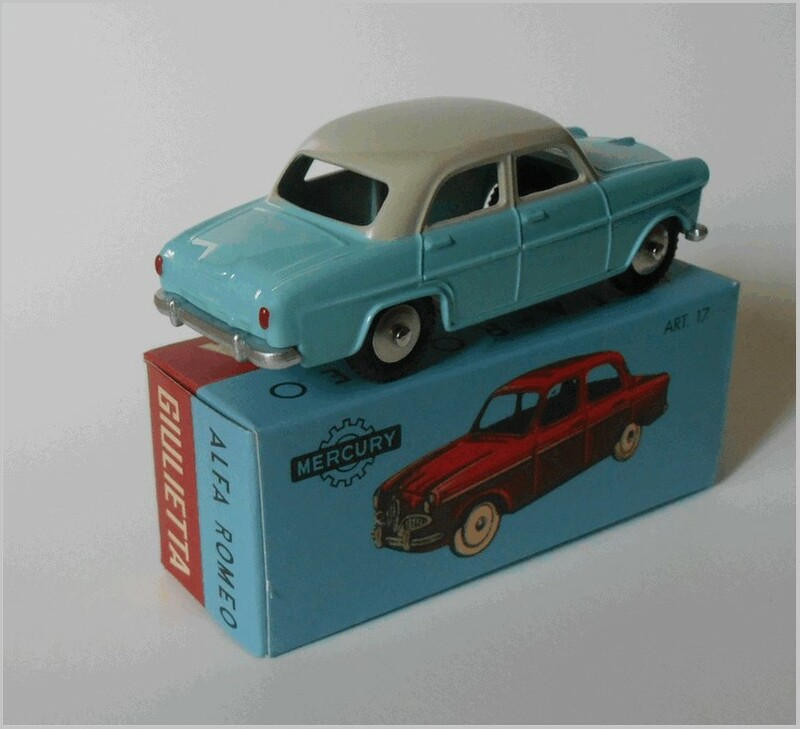 Oval rear window from 1953, but no quarter lights fitted at that time.bumpers of a 1948 car. 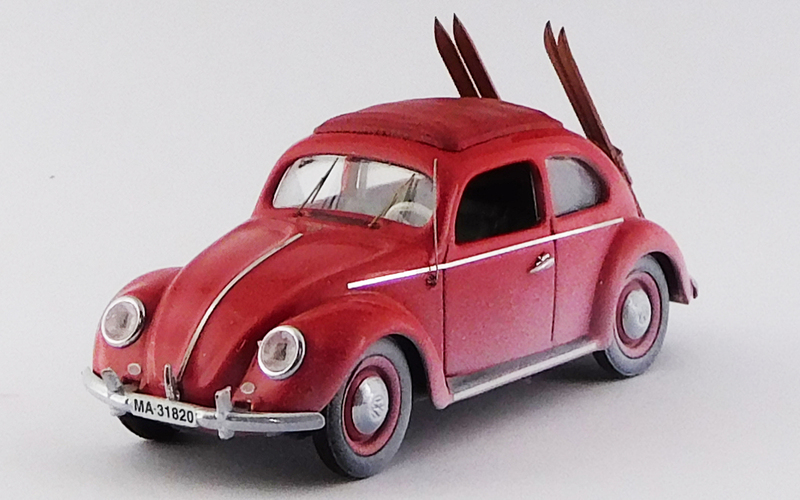 In between the windscreen wipers there are air intake slots like those fitted to the Beetle from 1968 onwards. 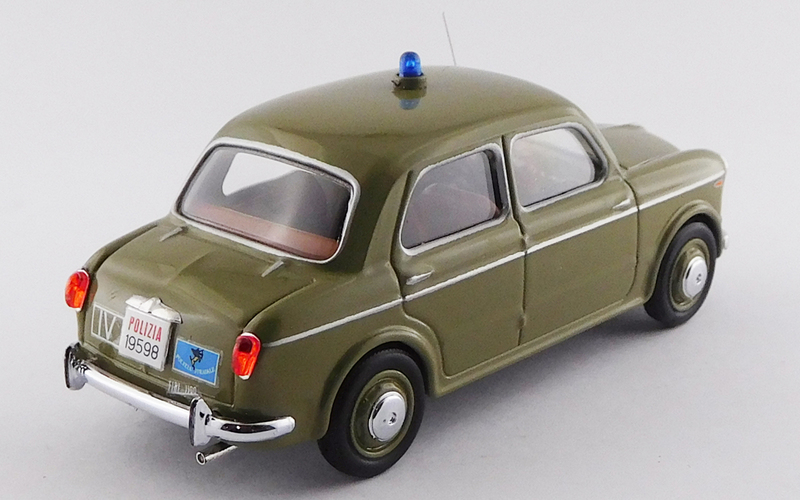 The rear lights are round, in original it were oval to this time. 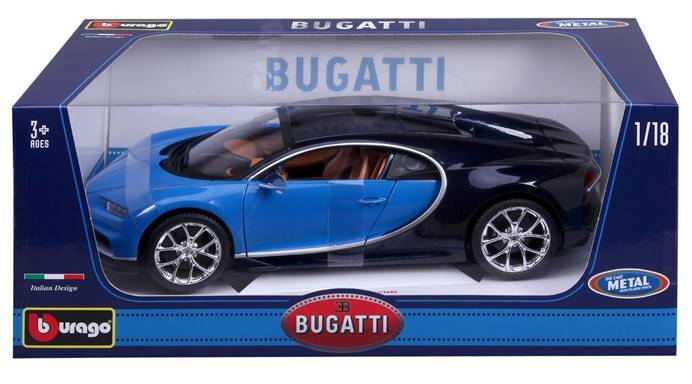 The model has again been put together with no regard for accuracy.